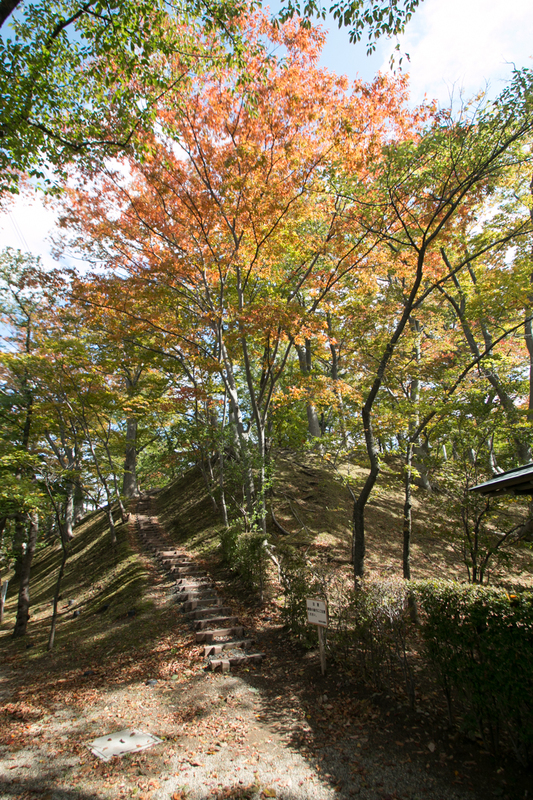 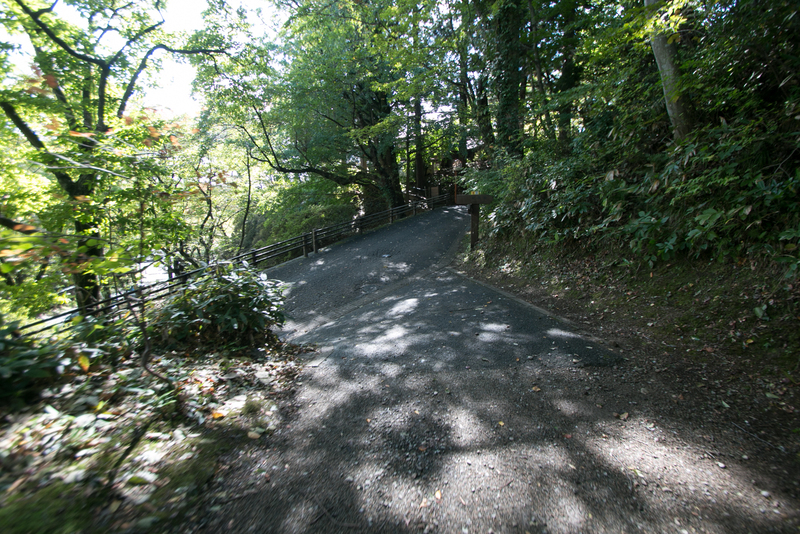 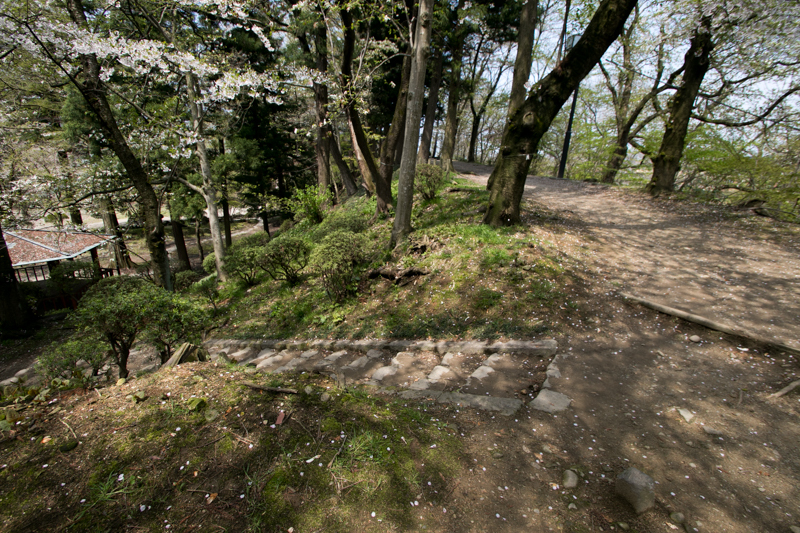 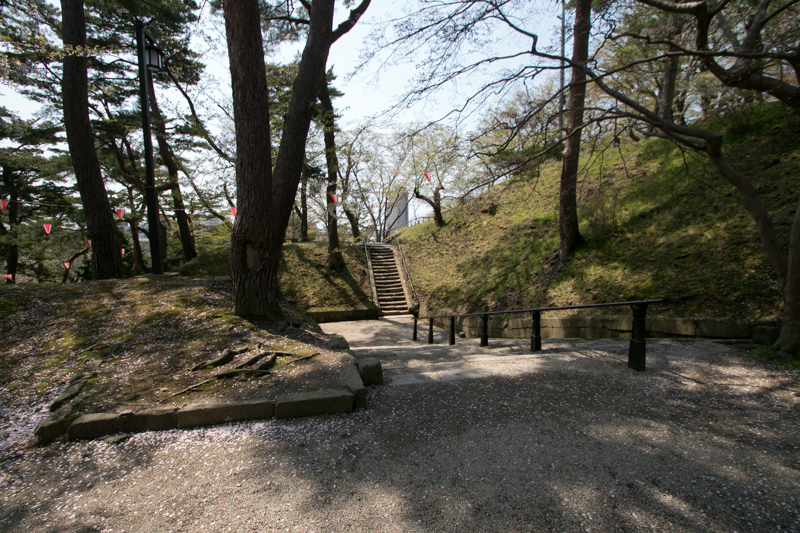 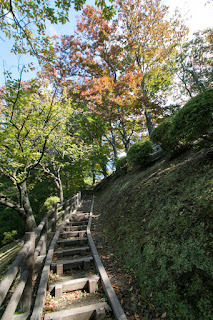 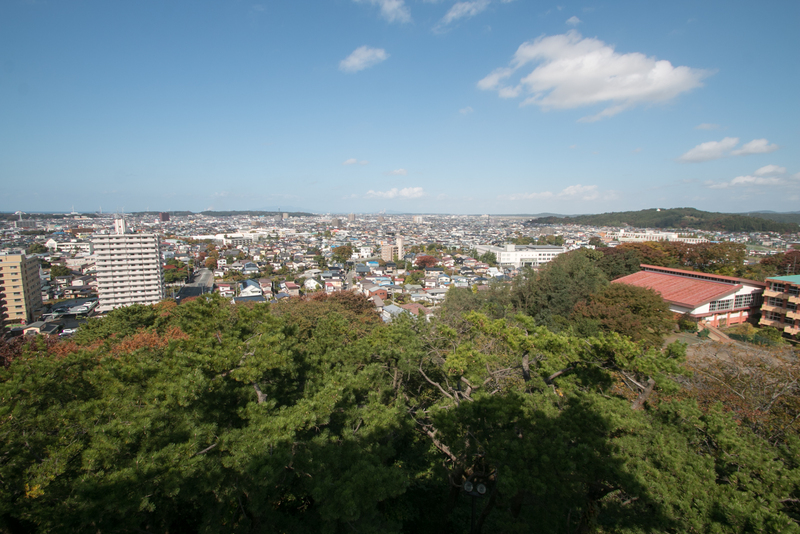 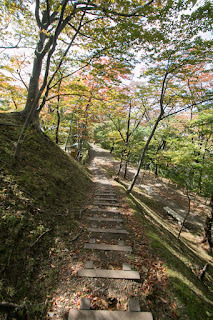 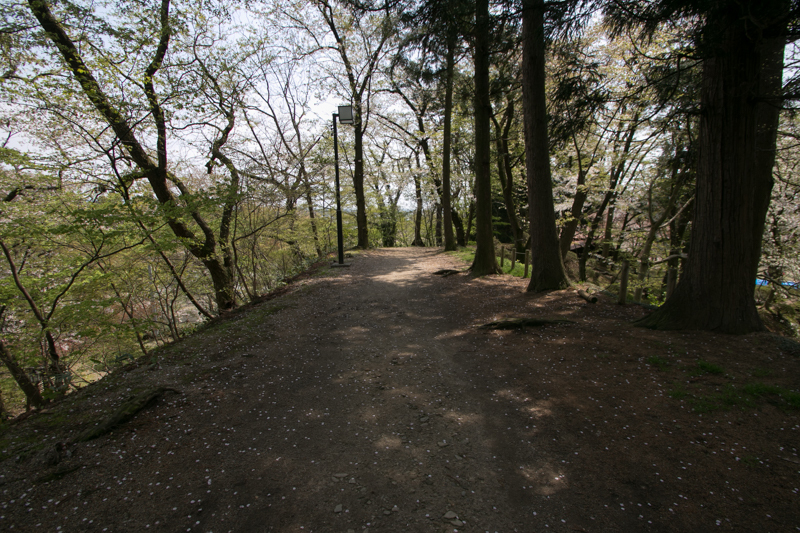 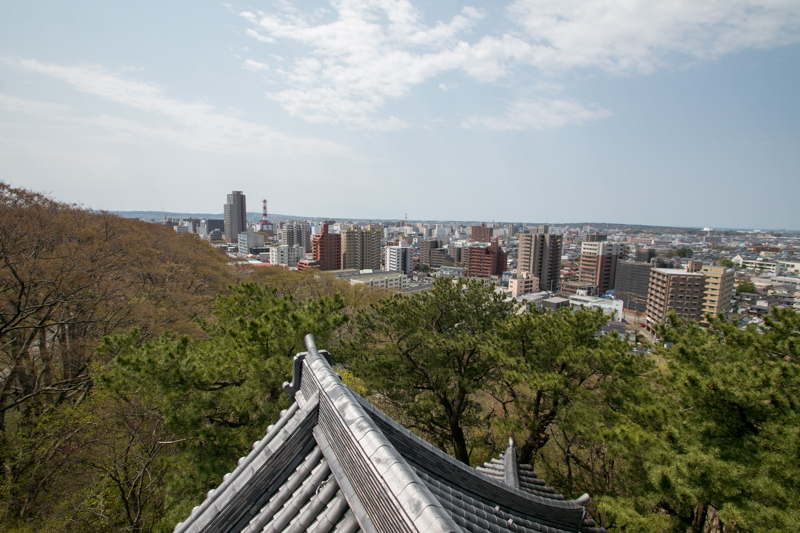 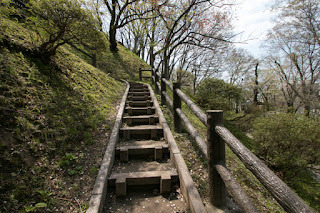 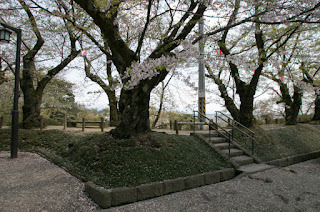 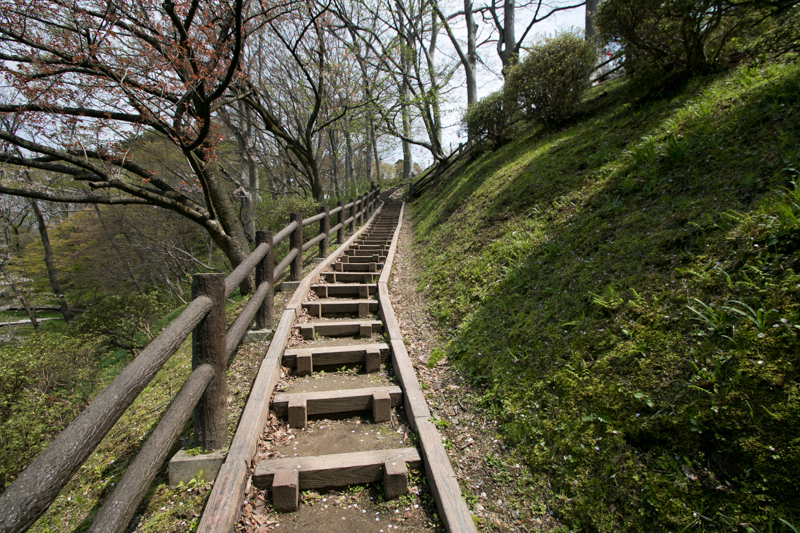 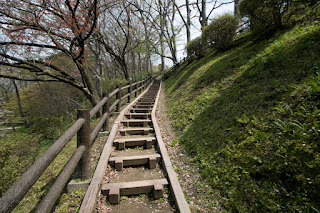 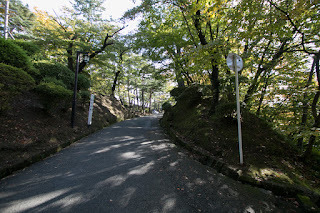 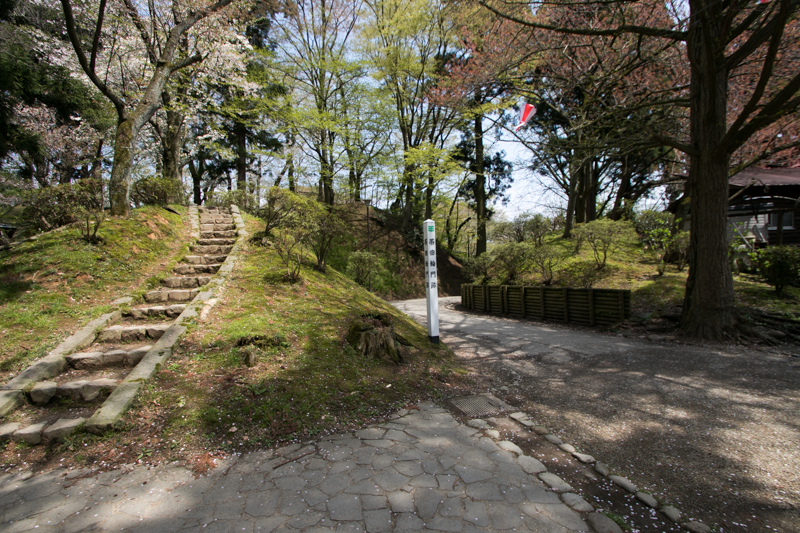 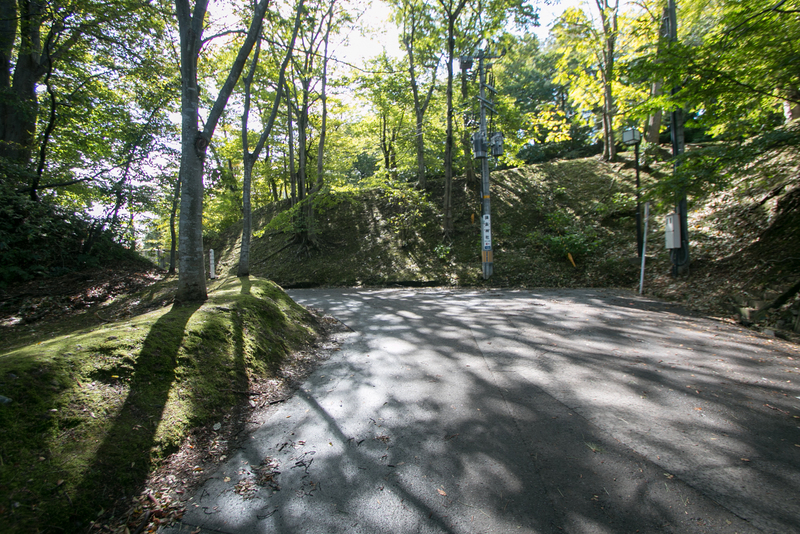 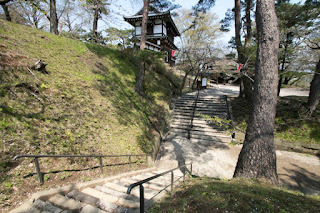 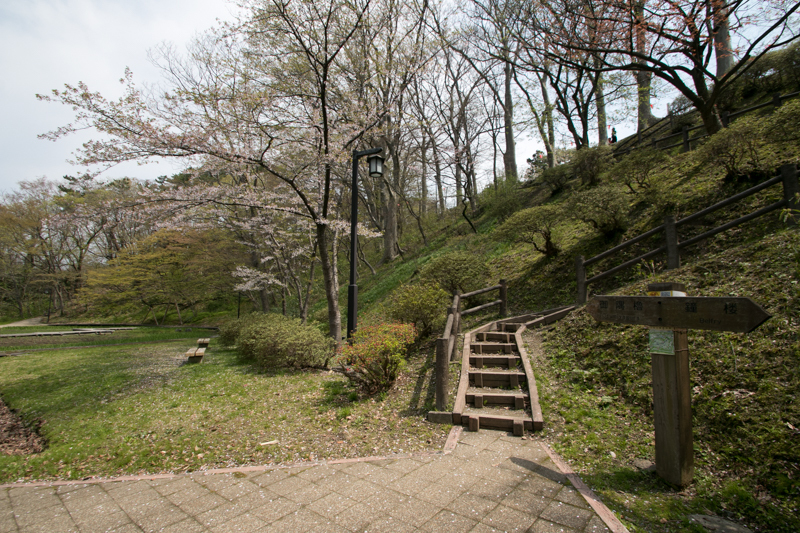 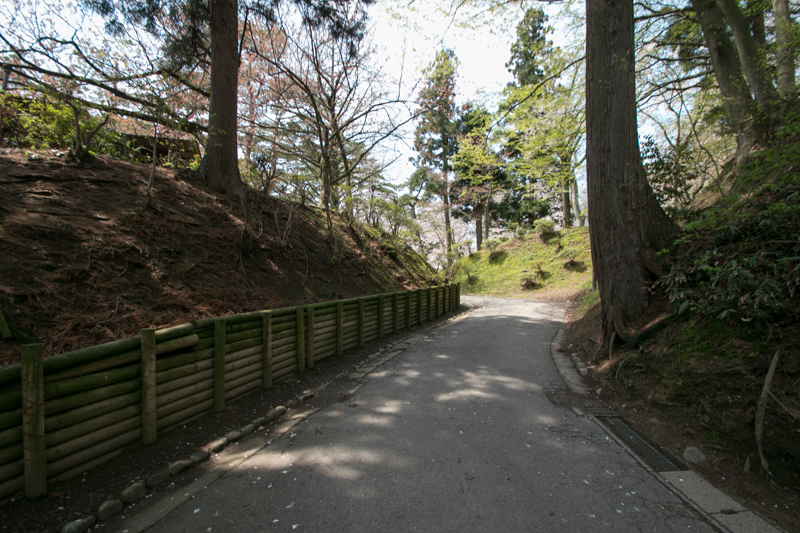 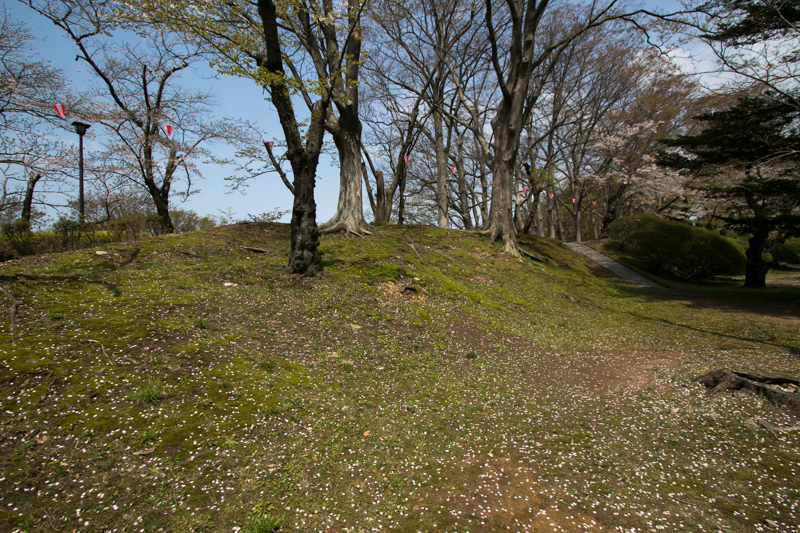 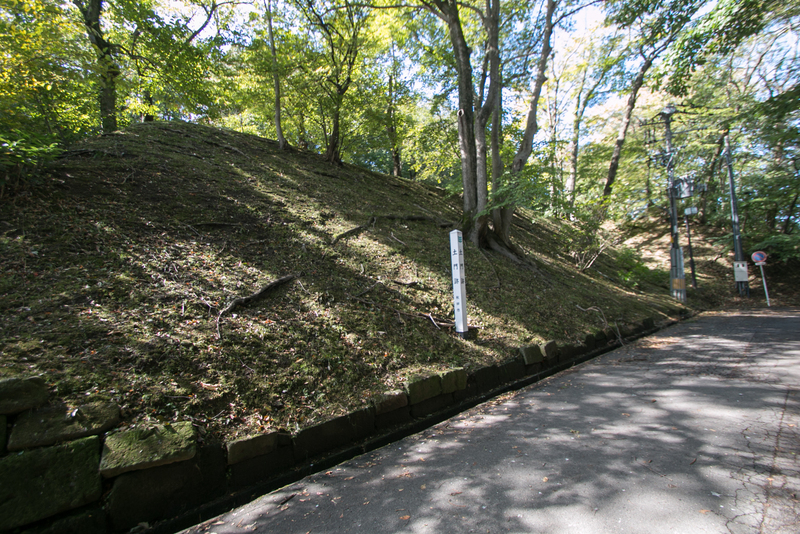 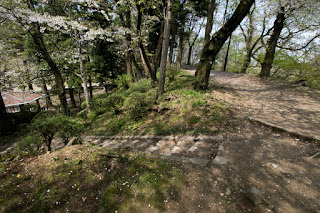 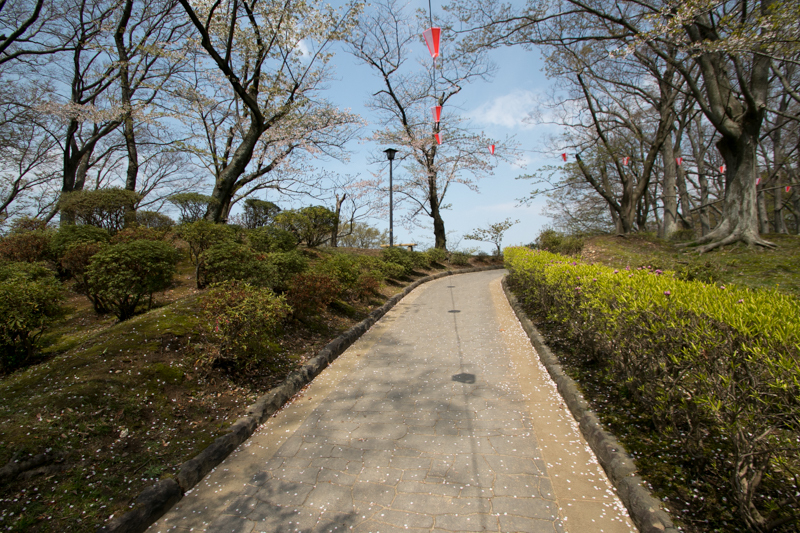 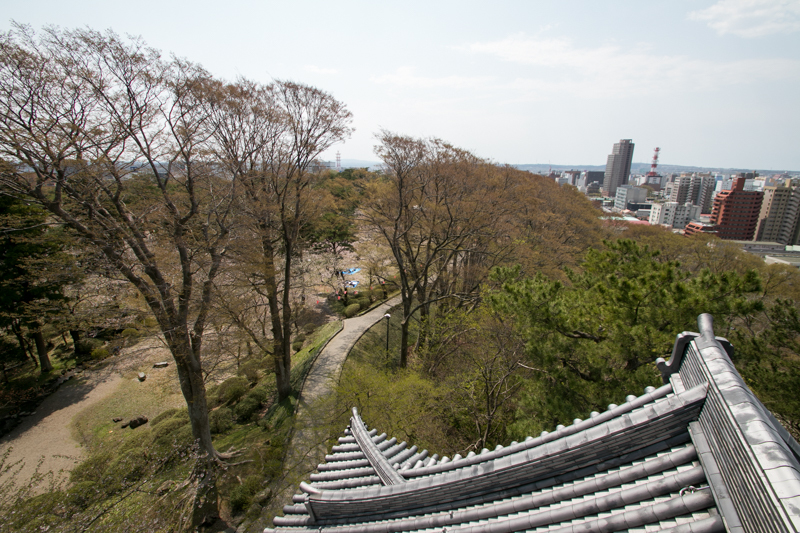 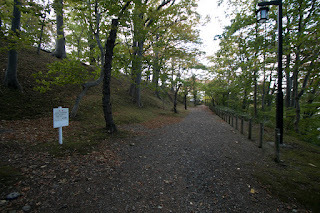 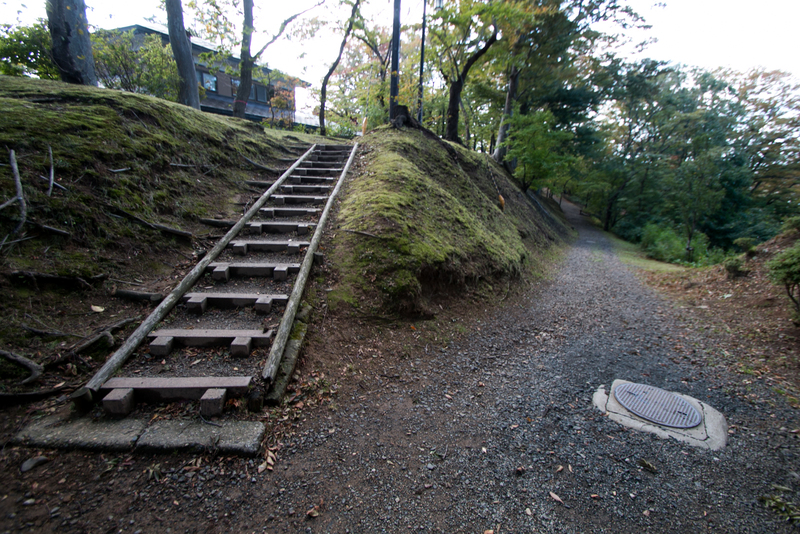 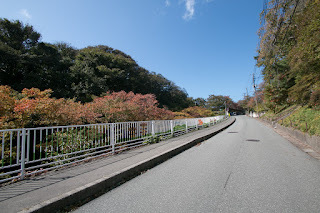 Kubota castle (久保田城) is located at the small hill named Shinmeiyama, at the center of current Akita city. 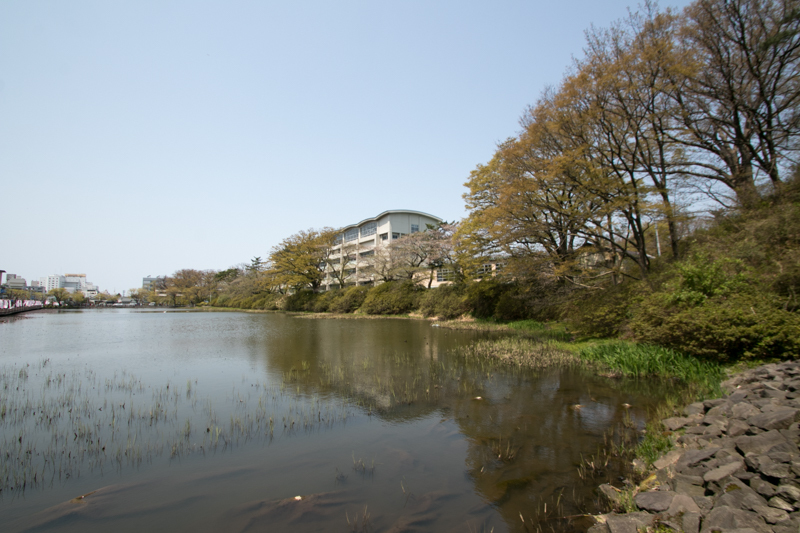 Akita is locate at the river mouth of Omonogawa river, and the largest flat land located at the Sea of Japan side of Tohoku region. 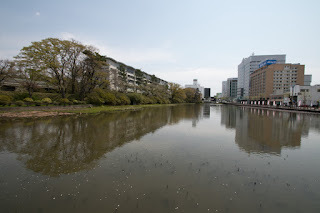 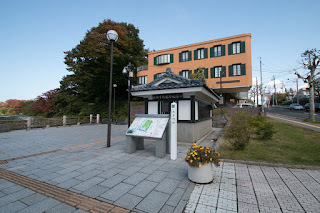 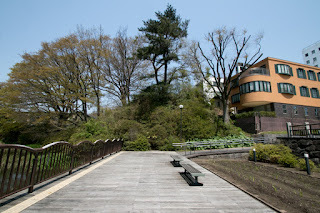 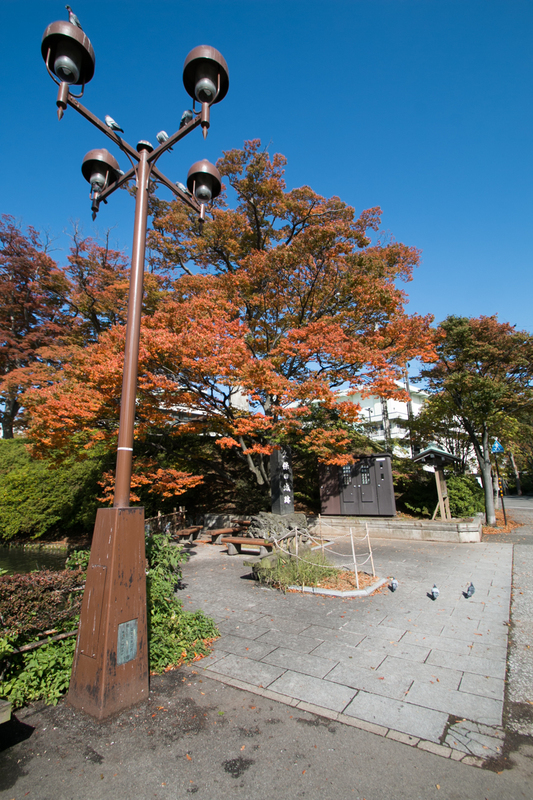 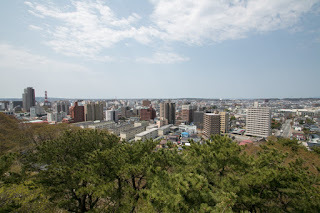 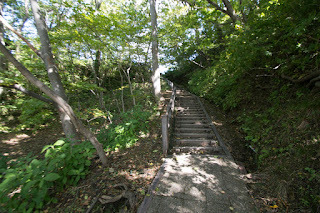 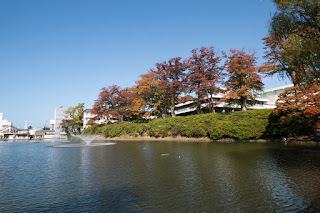 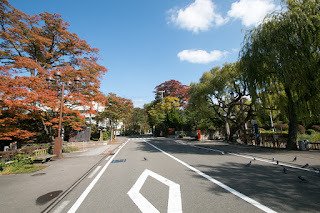 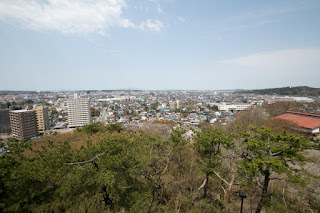 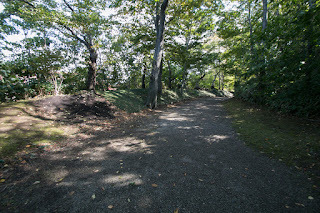 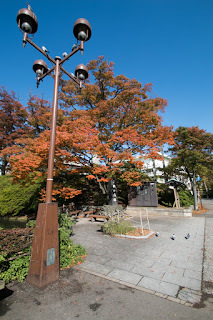 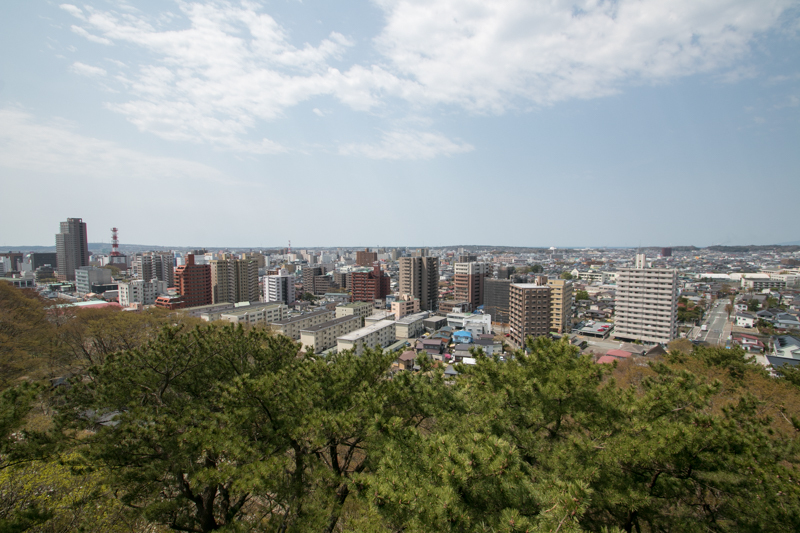 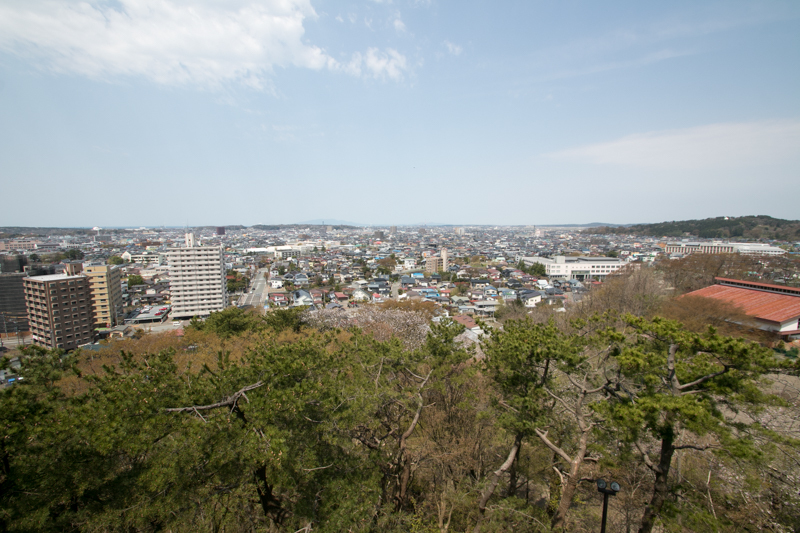 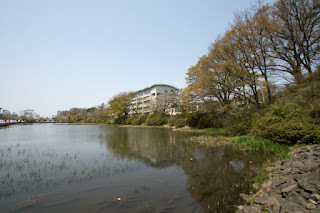 It was a center of communication in this area connecting Aomori area, Morioka area and Sakata area, and also prospered as a good port of this area. 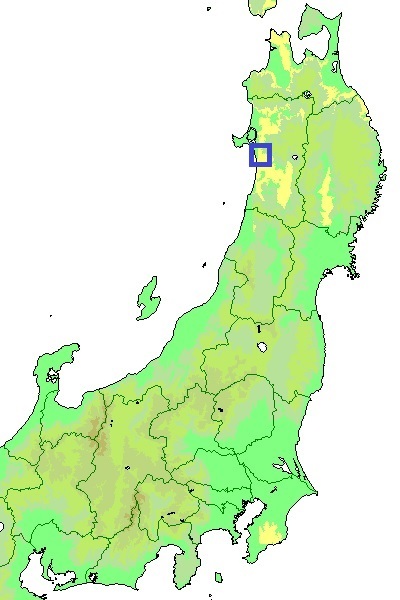 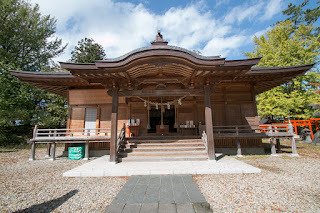 Historically Akita area had beeo governed by Akita clan, a descendant of Ando clan which held south coast of Oshima peninsula of Hokkaido, Tsugaru area (west half of current Aomori prefecture) and north half of Dewa province (Akita prefecture). 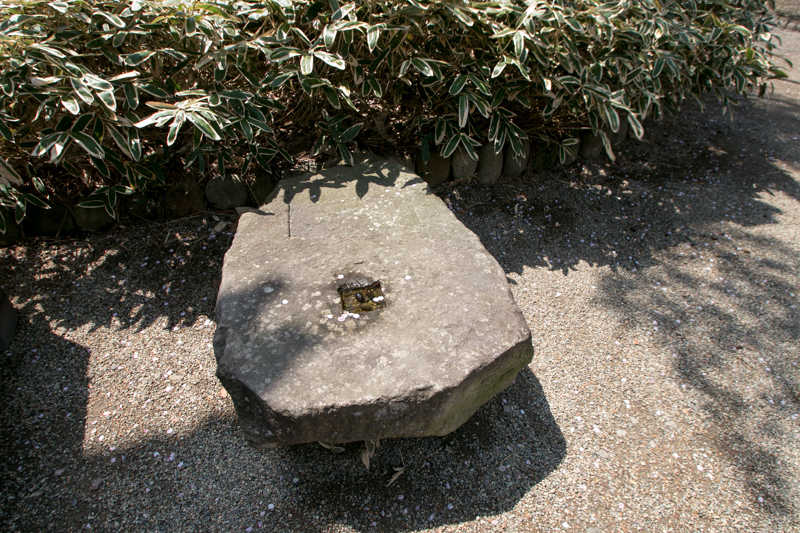 But Ando clan lost Hokkaido territory by their subordinate Kakizaki clan and also Tsugaru area by Nanbu clan, then the clan became the warlord at Akita area. 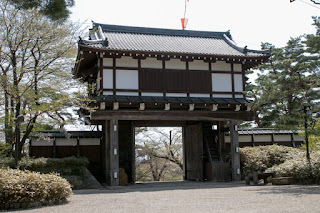 Ando clan originally consist of Minato Akita family reside at Minato castle near current Akita port and Hiyama Ando clan which lived at Hiyama castle (Akita prefecture) near current Noshiro city. In the latter half of 16th century both Ando family merged and grew as a warlord under Chikasue Ando (1539-1587) which was praised as Big Dipper, who resided at Wakimoto Castle (Akita prefecture). Chikasue changed their surname into Akita clan, and communicated with central rulers such as Nobunaga Oda (1534-1582) or Hideyoshi Toyotomi (1537-1598). 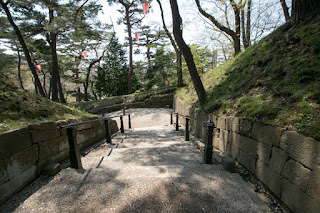 After the death of Chikasue Ando clan faced severe rebellion of retainers, but barely survived it and became a feudal lord under Toyotomi government. After the death of Hideyoshi Akita clan supported Ieyasu Tokugawa (1543-1616) who won the battle of Sekigahara and became next ruler, but in 1602 Akita clan was transferred to Shishido area of Hitachi province (Ibaraki prefecture). 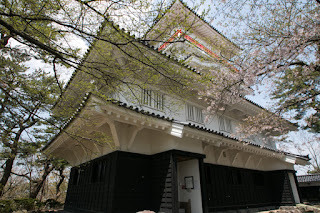 Replacing Akita clan, Satake clan was moved from Hitachi province (Ibaraki prefecture). Satake clan was a traditional clan which stem from Masayoshi Satake (1081-1147), a grandson of Yoshimitsu Minamoto (1045-1127), a younger brother of Yoshiie Minamoto (1039-1146) who was the famous leader of Minamoto clan. Yoshimitsu became the ancestor of many local branch falimies such as Takeda clan, Nanbu clan or Ogasawara clan, tha later became warlords or feudal lords. 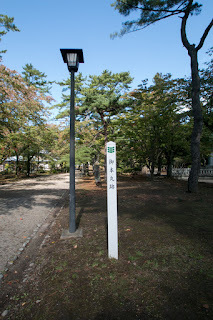 Satake clan was also one of such clans. 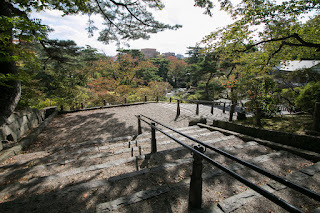 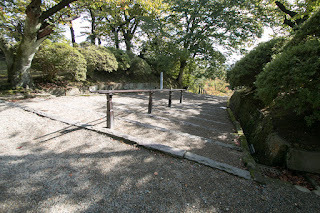 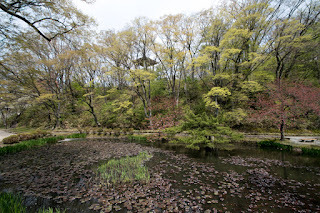 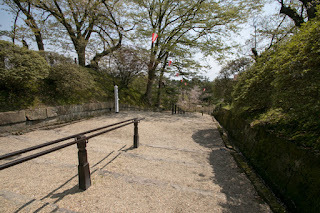 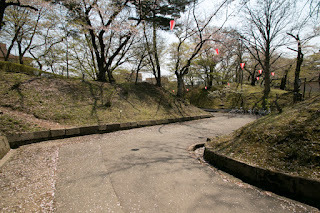 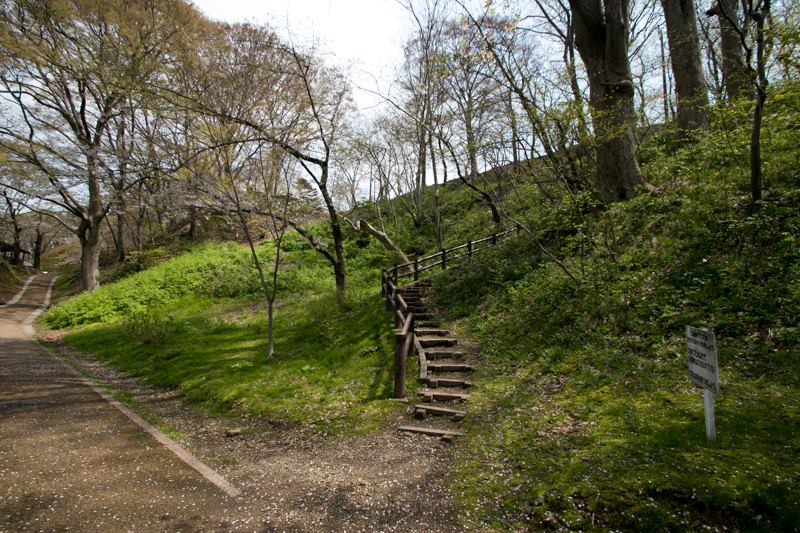 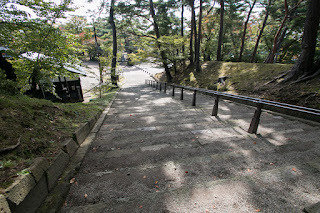 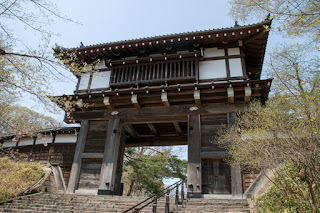 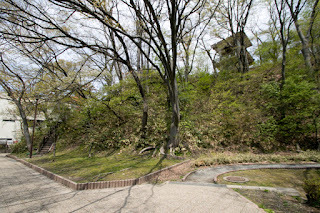 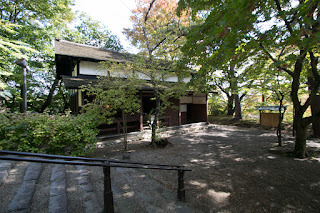 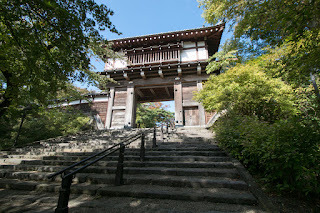 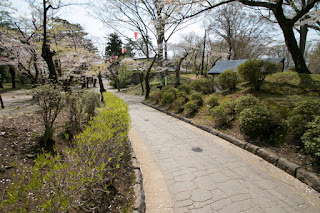 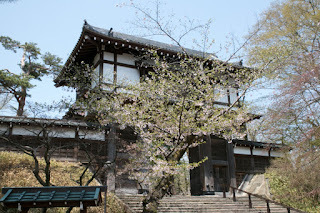 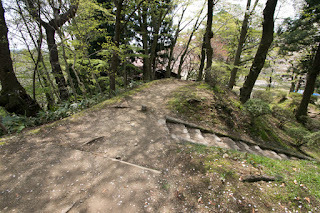 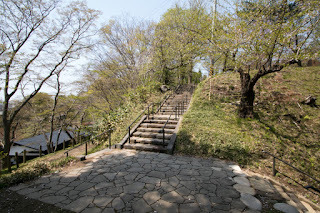 During 12th century Satake clan expanded their territory and built Hitachi Ota castle as their residence, but as they did not obey to Yoritomo Minamoto (1147-1199), the founder of Kamakura Shogunate, Sagake clan once lost their territory. 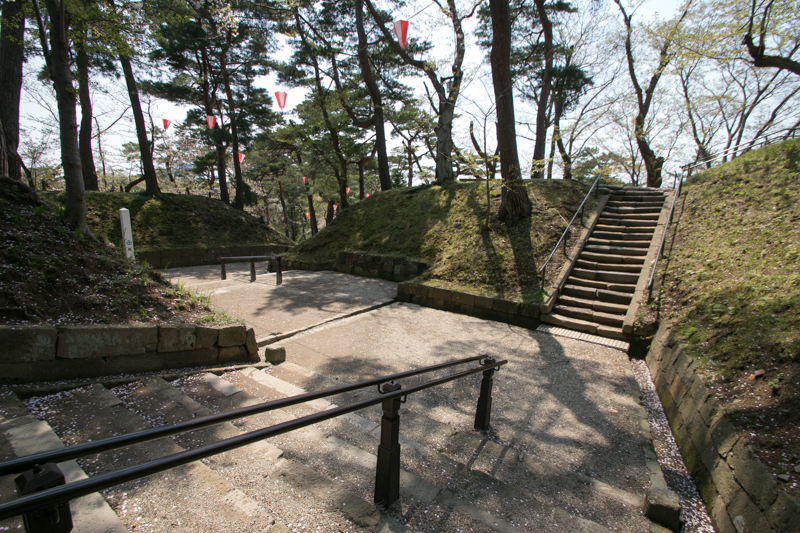 Later they activated at the expedition to Oshu Fujiwara clan in 1189 and recovered their territory, but their status was not so high. 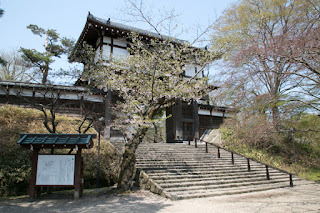 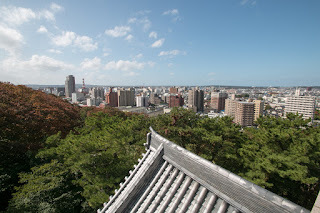 At the extinction of Kamakura Shogunate in 1333, this time Satake clan supported Takauji Ashikaga (1305-1358), the founder of Muromachi Shogunate, and gained the governor of Hitachi country. 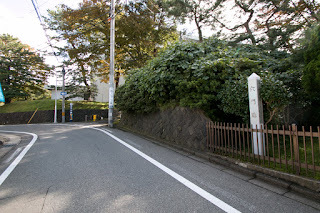 Evaluated by the fact that it was a traditional clan stem from Yoshimitsu Minamoto, Satake clan became regarded as s one of eight distinguished clans of Kanto region, along with Utsunomiya clan, Oda clan or Yuki clan. 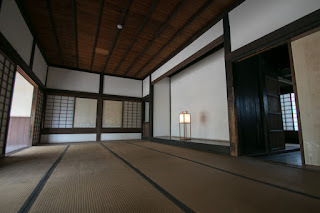 But in Hitachi country there were many other strong local clans such as Taijyo clan or Edo clan, and the authority of Sagake clan was very limited during Muromachi era. 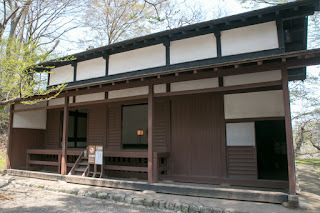 Further due to the internal conflict regarded leader position, Yamairi clan, a branch house of Satake clan made a rebellion to main stream of Satake clan in 1407, and the conflict continued nearly 100 years. 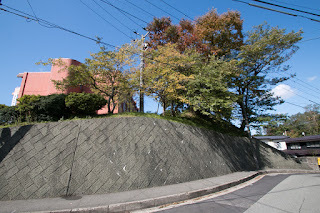 This time Satake clan was at the corner of extinction. 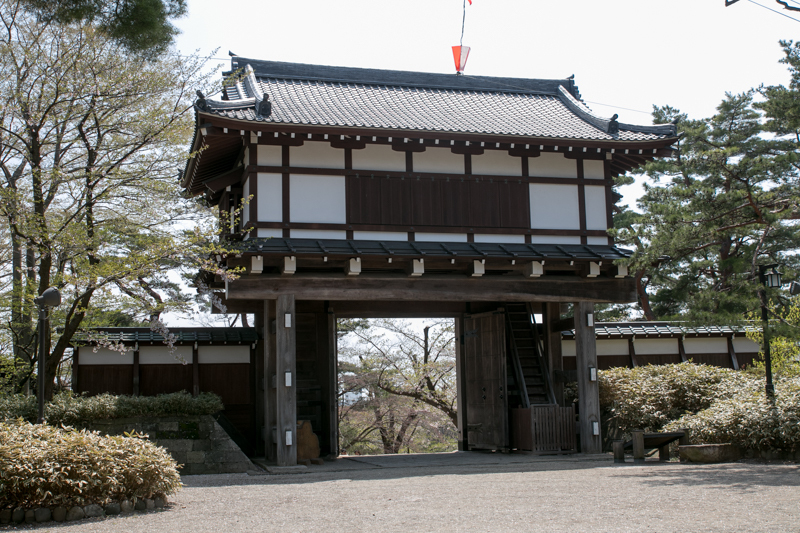 However, different from other eight traditional clan, Satake clan regained their power. 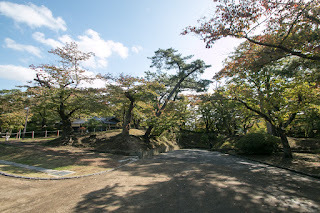 Since the beginning of 16th century talented and long lived leaders emerged at Satake clan, At first Yoshikiyo Satake (1470-1517) beated Yamairi clan after the long and hard battles and restored the position of Satake clan. During the time of Yoshiatsu Satake (1507-1545) many rebellion of relatives occurred, but Yoshiatsu suppressed it and transformed Satake clan into a warlord. 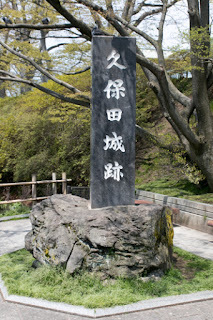 Next leader Yoshiaki Satake (1531-1565) clan aimed at further expansion, but at southeast of Satake clan there still existed strong Edo clan, thus Satake clan aimed at other directions, such as western border area of Hitachi country, east part of Shimotsuke country (Tochigi prefecture) and Soma area (south part of current Fukushima prefecture). 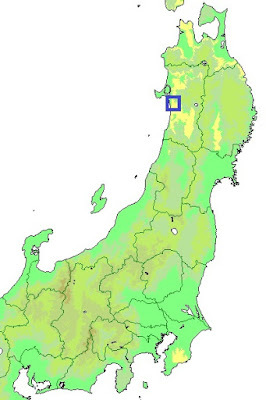 In the process of expansion into Shimotsuke country, Satake clan made alliance with Utsunomiya clan. 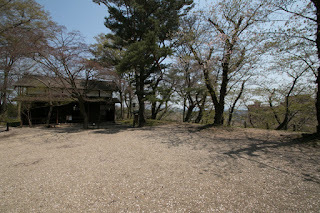 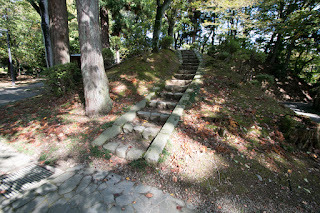 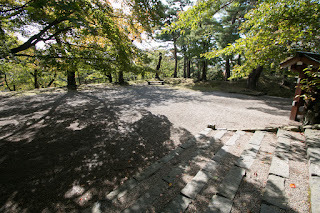 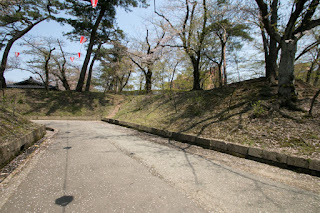 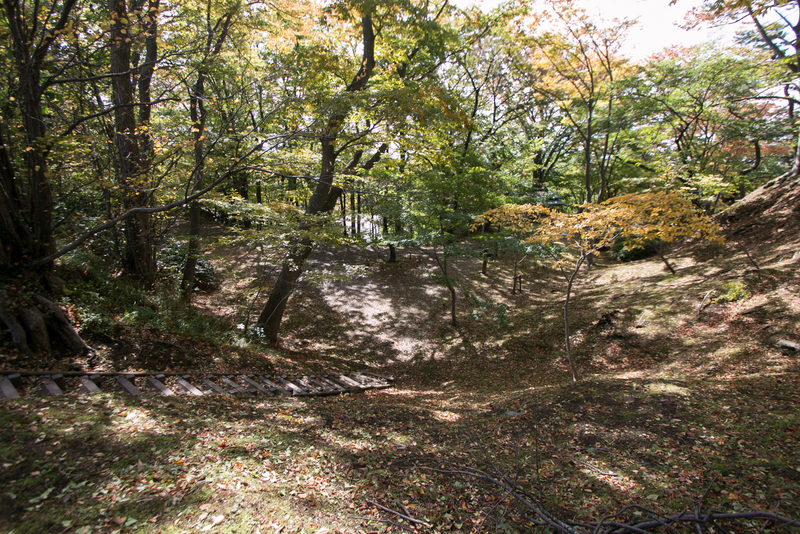 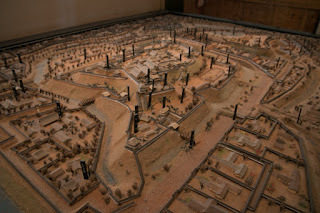 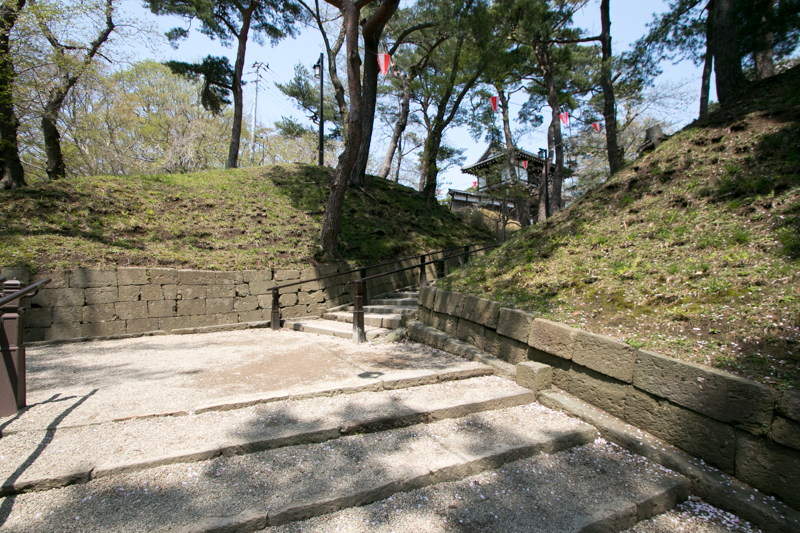 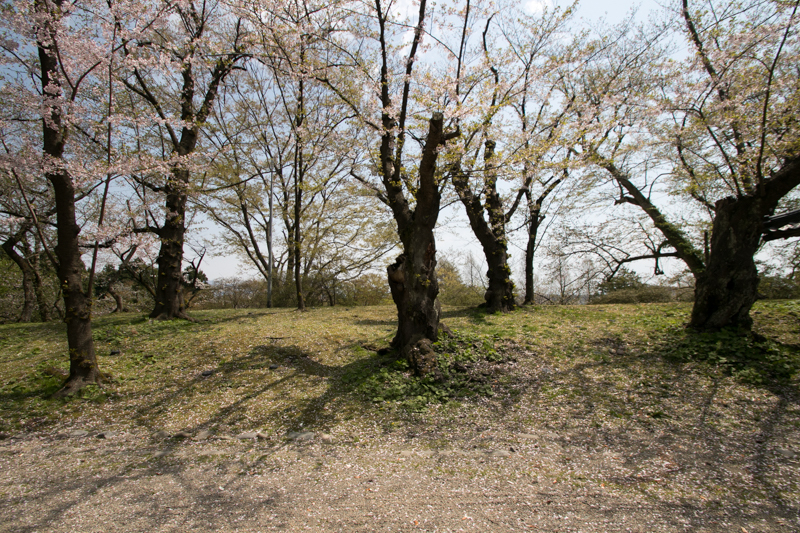 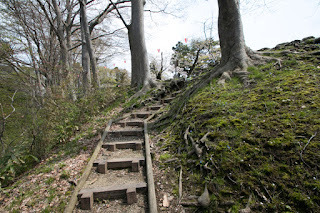 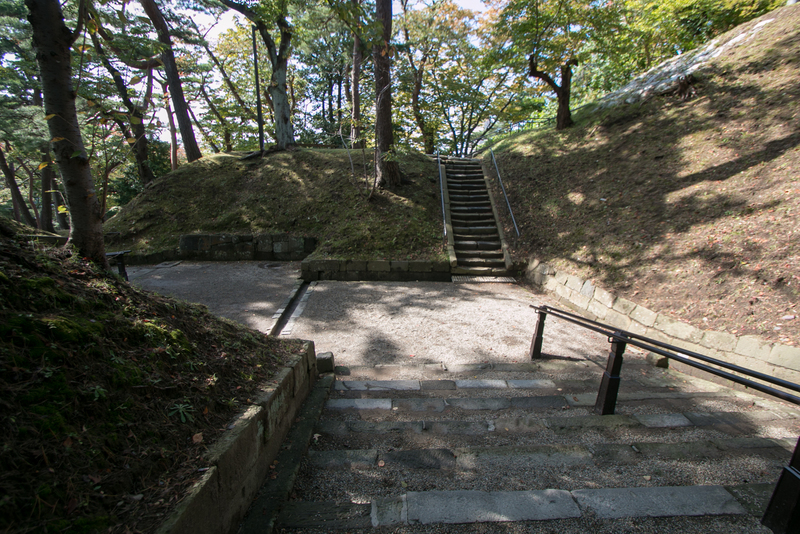 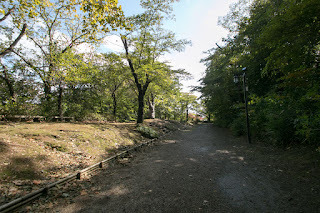 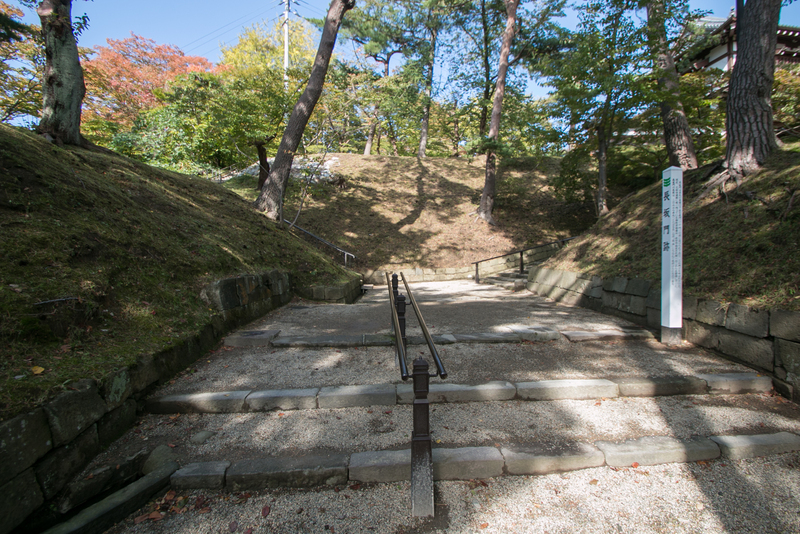 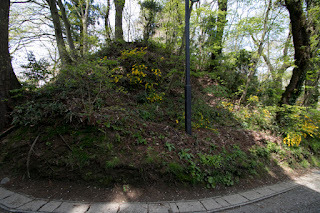 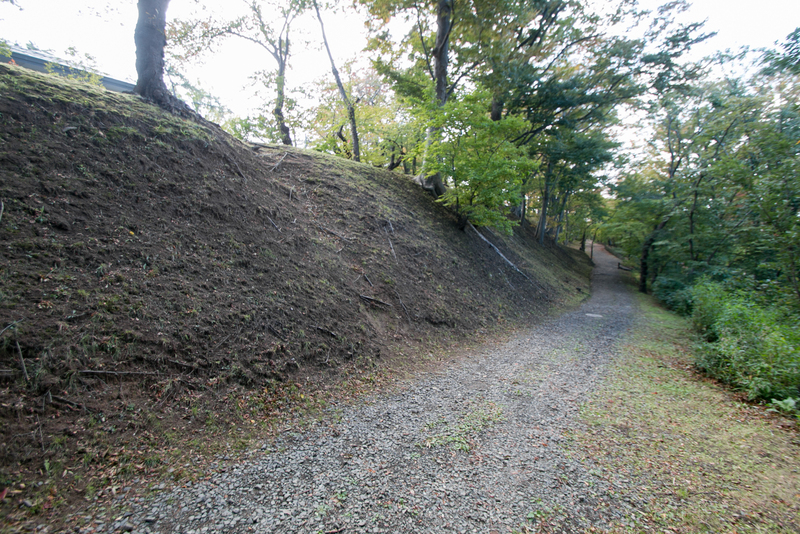 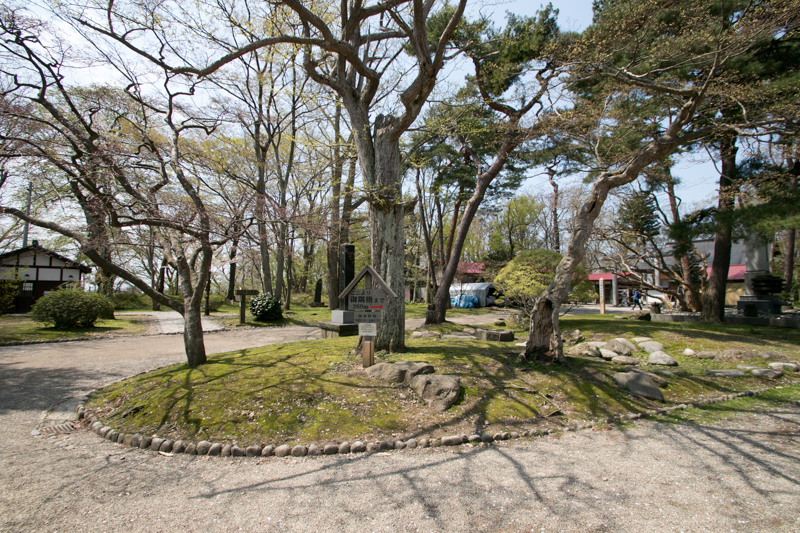 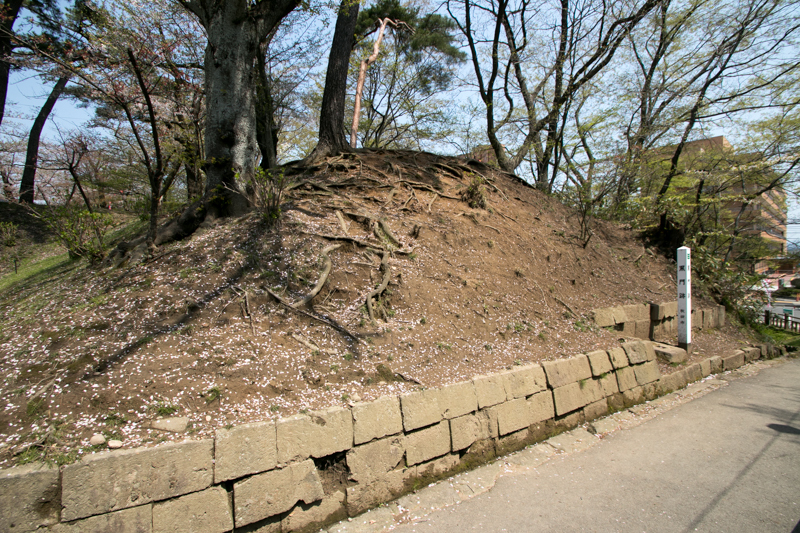 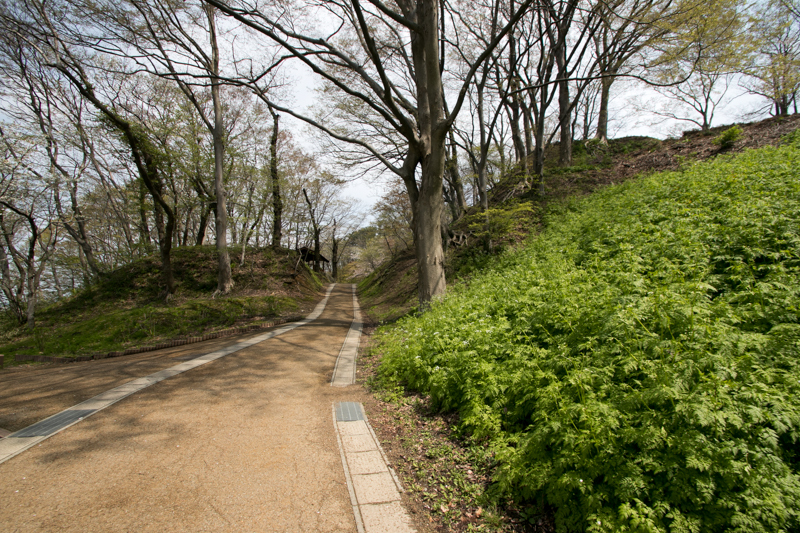 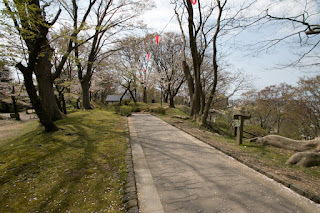 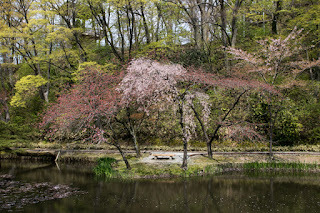 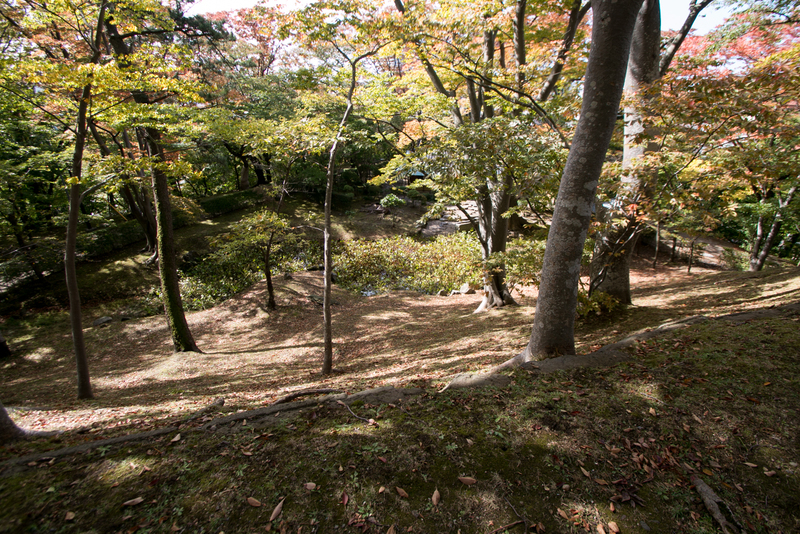 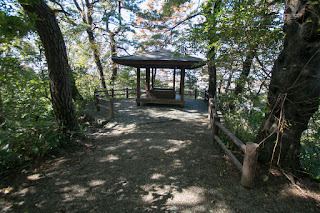 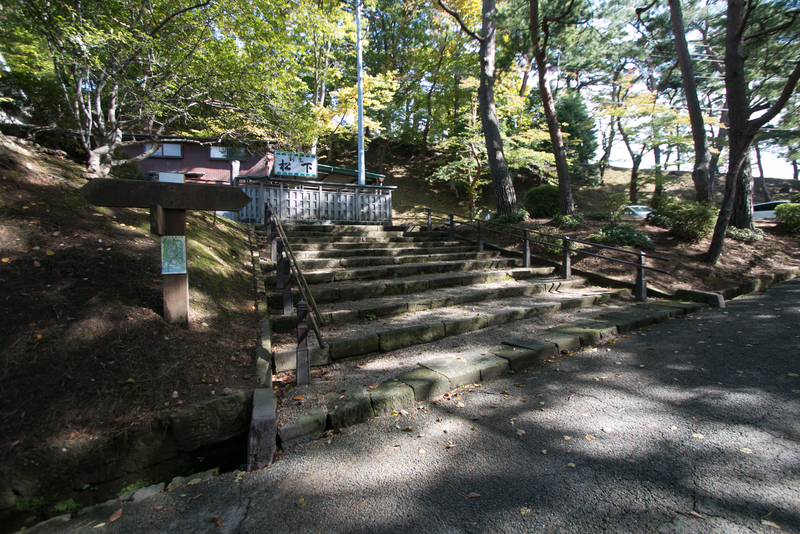 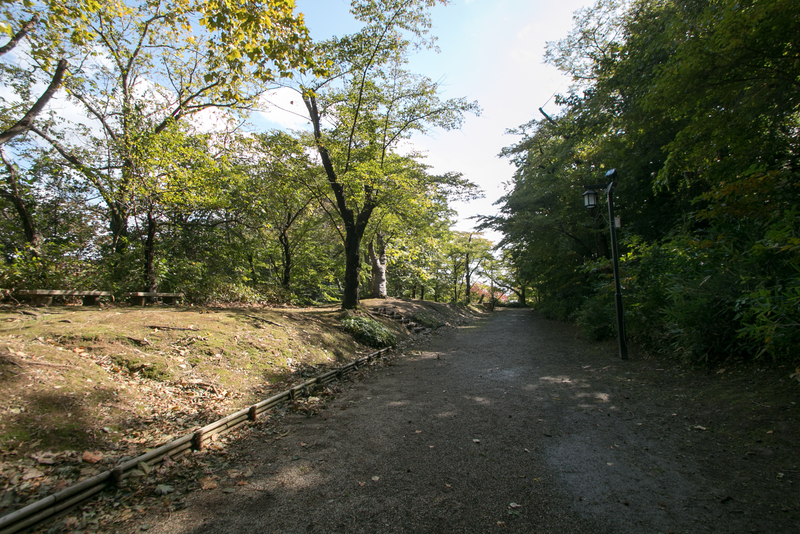 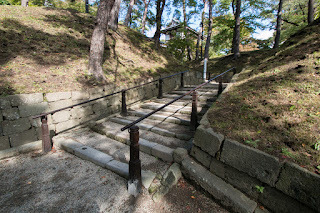 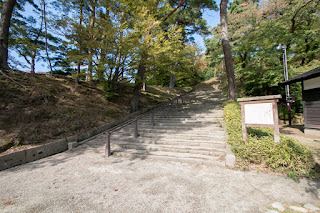 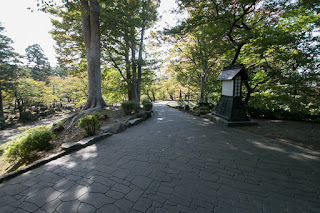 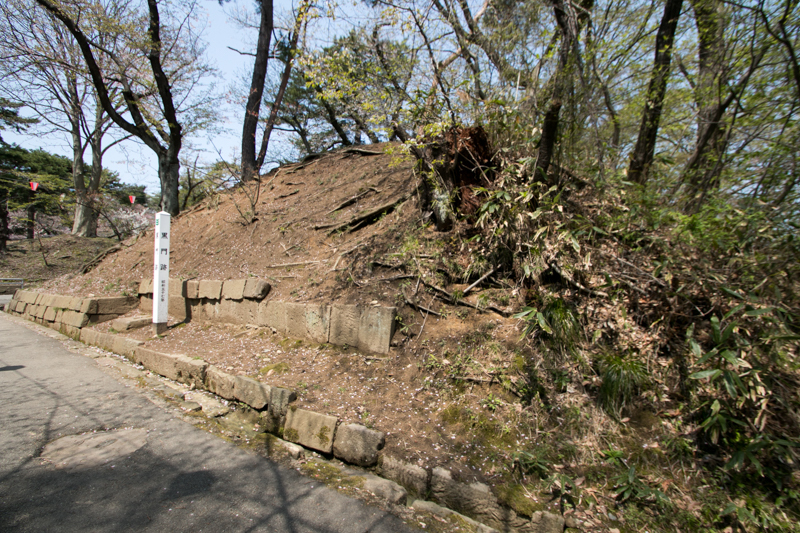 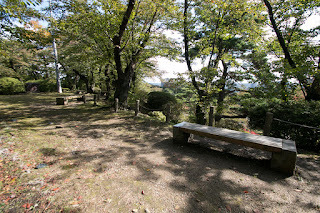 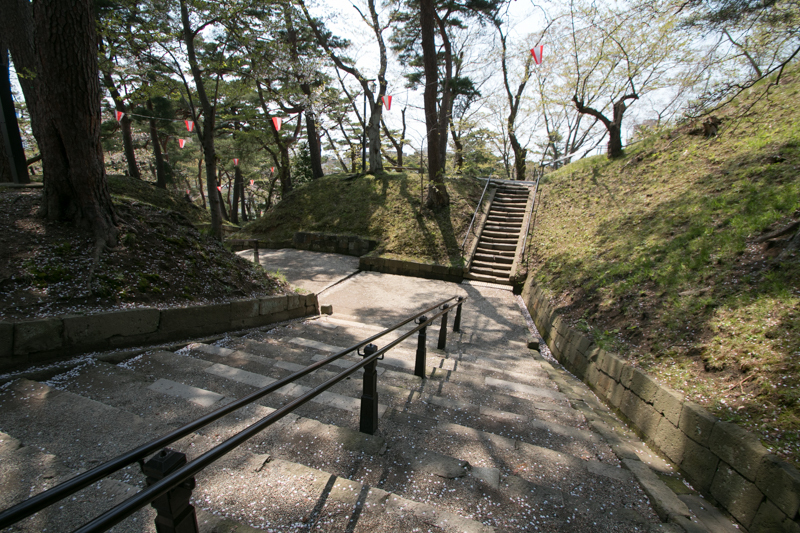 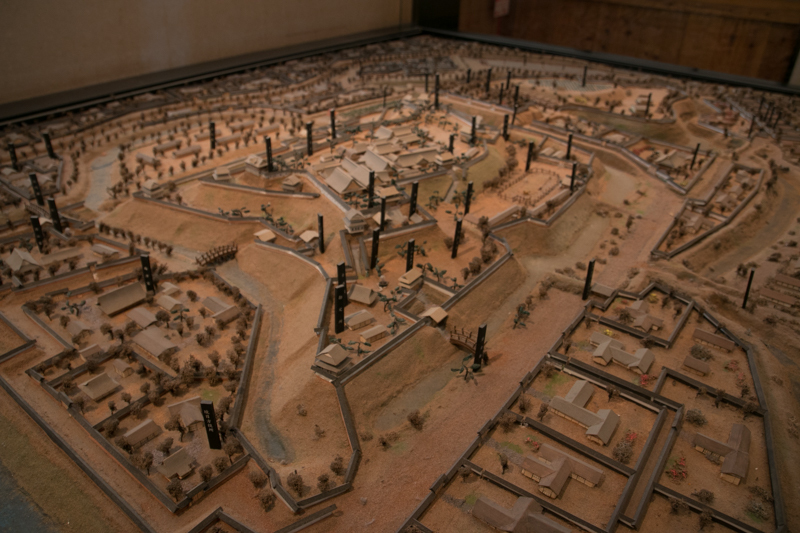 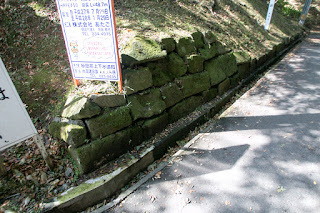 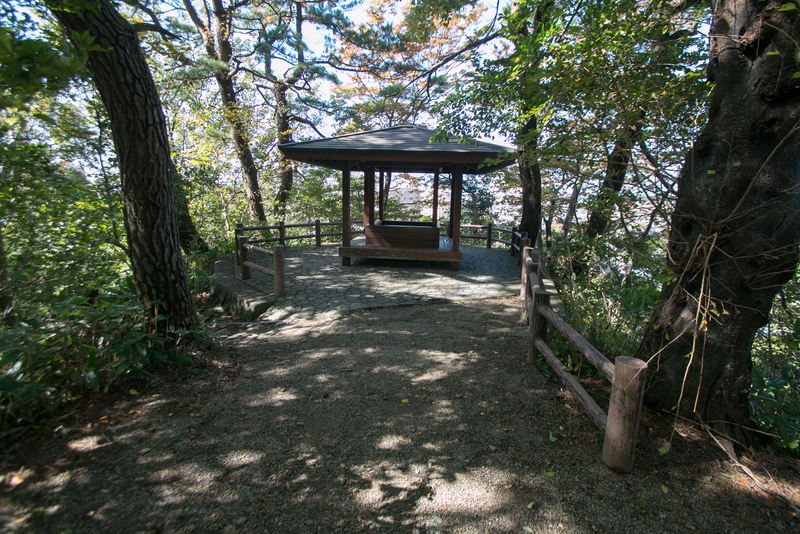 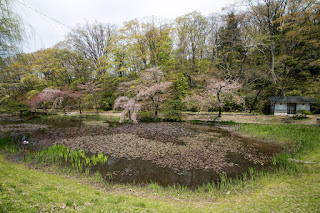 Beside this, Yoshiaki attacked Oda clan which was located at Oda castle and held territory at southwestern Hitachi county, and deprived most part of Oda territory. But due to these action Satake clan inevitably faced against Hojyo clan, a warlord of Sagami country (Kanagawa prefecture) and rapidly grew to whole part of Kanto region. 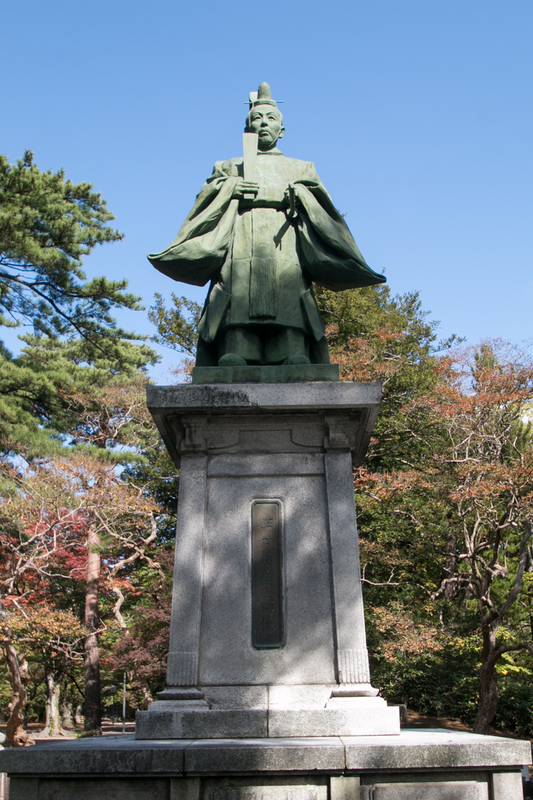 The following leader Yoshishige Satake (1547-162) fought fierce battles against Hojyo clan. At first Yoshishige cooperated with Kenshin Uesugi (1530-1578), a warlord of Echigo country (Niigata prefecture) and fatal rival of Hojo clan and fought with Hojo clan. 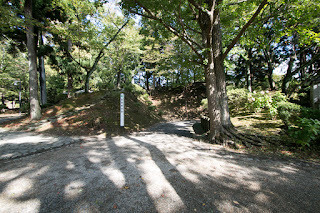 But Uesugi clan gradually lost their influence and finally Kenshin himself died in 1578, thus Uesugi clan could not compete Hojo clan any more.Around then Satomi clan, one another warlord competed Hojo clan also subordinated to Hojo clan, thus Satake clan had to struggle against Hojo clan only by themselves. 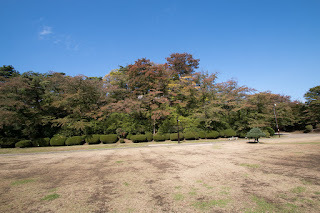 Even though there was a large difference of national power between Satake clan, Yoshishige bravely fought against Hojyo clan and was called as demon. 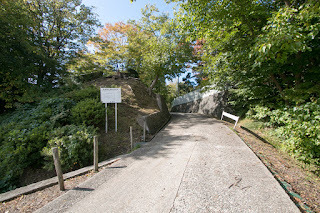 Yoshishige also intervened Ashina clan of Aizu area (Fukushima prefecture) which lost their leader and confused, and virtually seized Ashina clan. 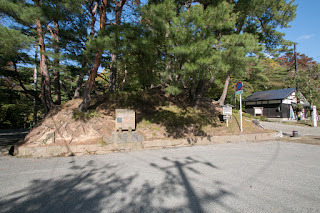 But in Toyoku region another strong warlord Masamune Date (1567-1636) rapidly expanded their power and Yoshishige also made fierce fight against Masamune. To fill the gap of the power, Yoshishige aggressively made diplomacy to substantial anti Hojyo powers, such as Katsuyori Takeda (1546-1582), Nobunaga Oda (1534-1582) or Hideyoshi Toyotomi (1537-1598). 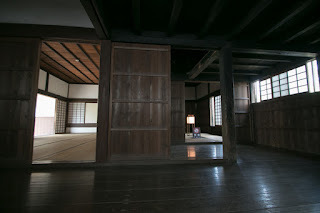 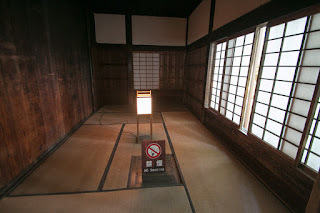 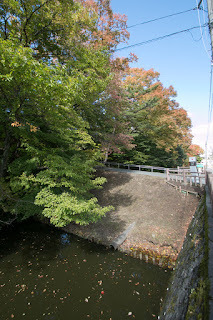 But in 1580’s, sandwiched by Hojyo clan and Date clan, the situation of Satake clan became hard. 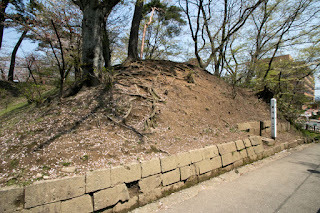 At north Ashina clan was extinguished by Date clan, and at south anti Hojyo alliance lead by Satake clan gradually collapsed facing pressure from Hojyo clan. 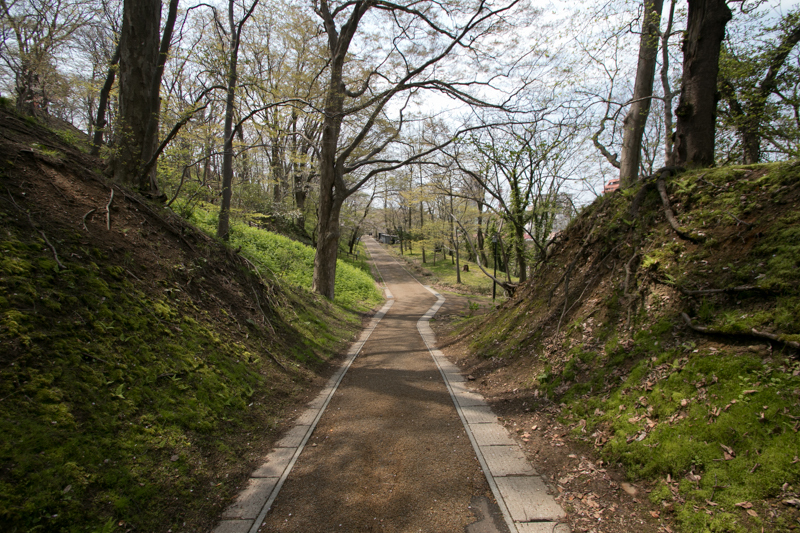 In 1583 Satake clan and their follower made a battle against Hojyo clan at Numajiri (Tochigi prefecture), but they could not change the situation. 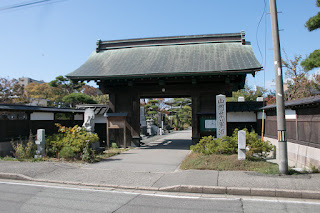 Hojyo clan and Date clan made alliance and suppressed Satake clan, and other lords in Hitachi country such as Edo clan or Daijyo clan connected to Hojyo clan. 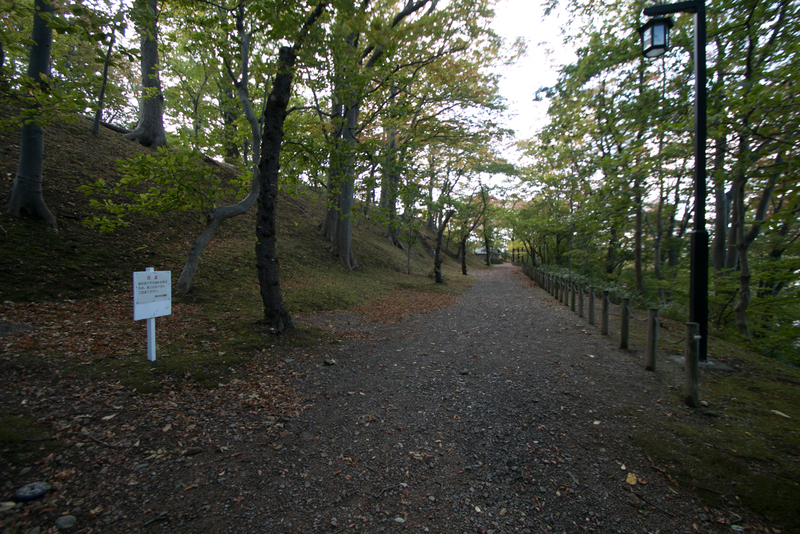 However, Odawara campaign by central ruler Hideyoshi Toyotomi in 1590 totally changed the situation. 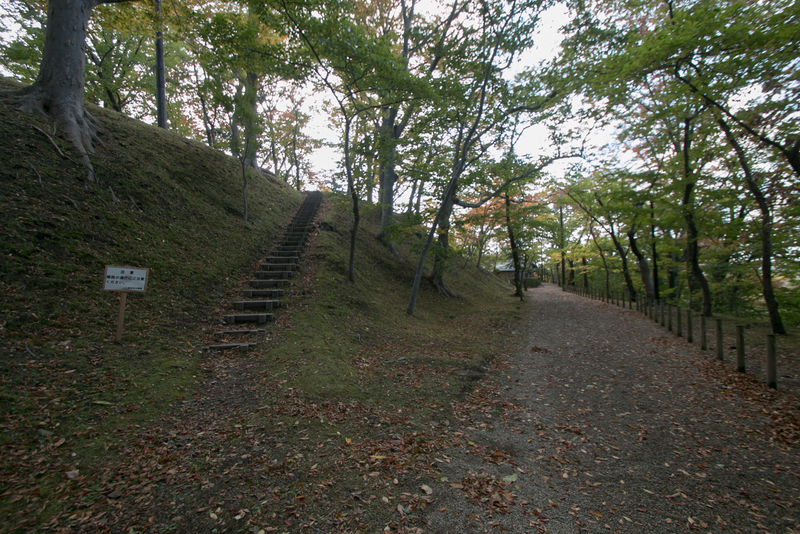 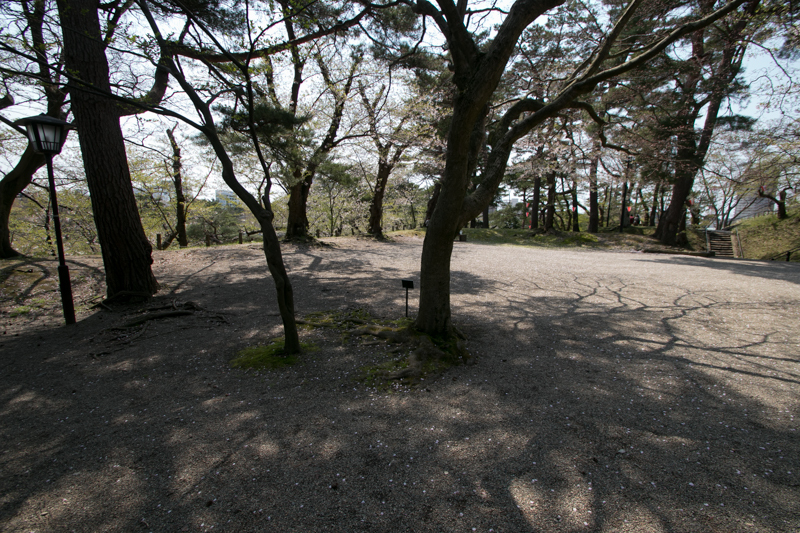 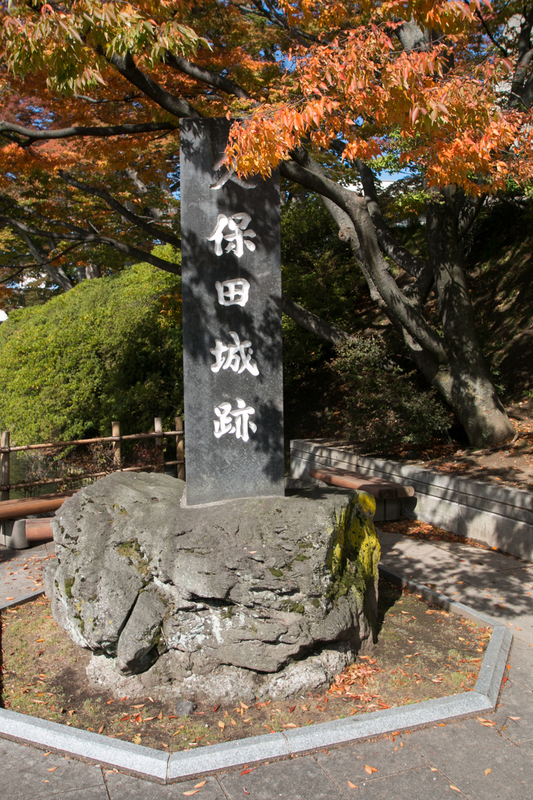 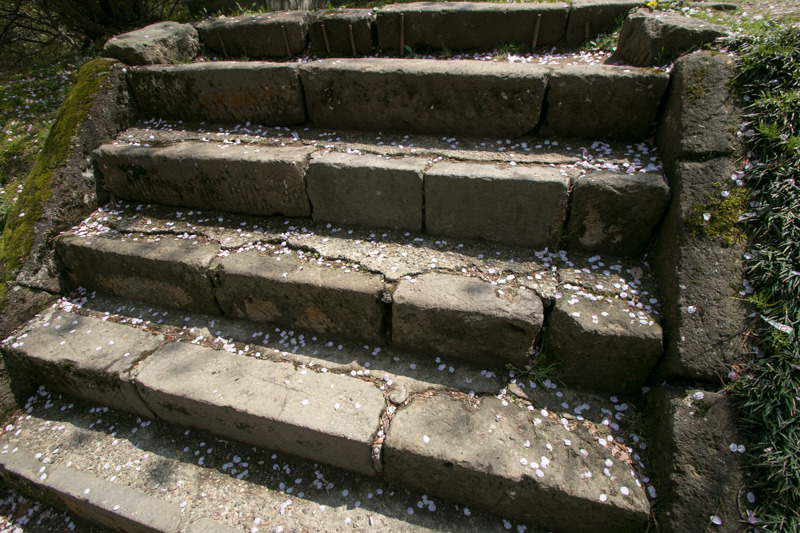 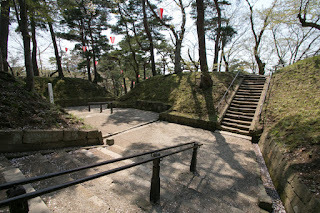 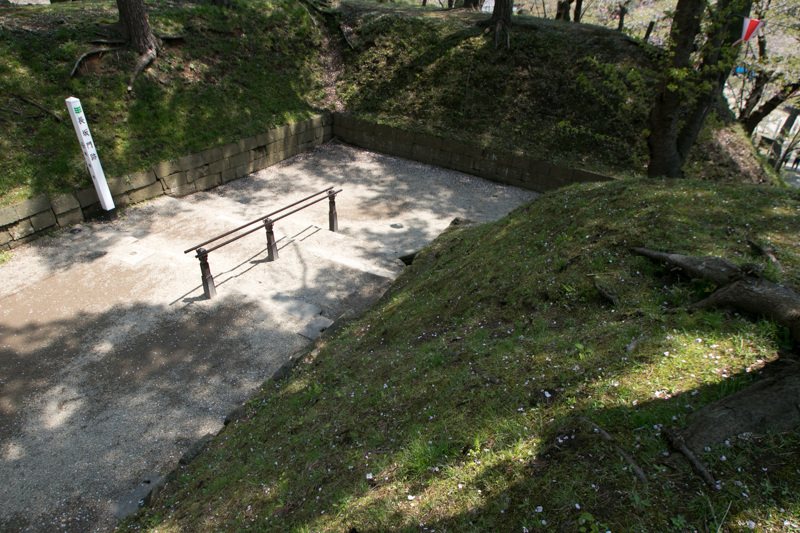 Hojyo clan was extinguished by Hideyoshi, and Date clan also subordinated to Hideyoshi and was deprived Aizu territory. 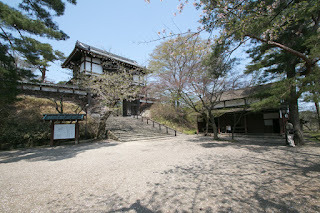 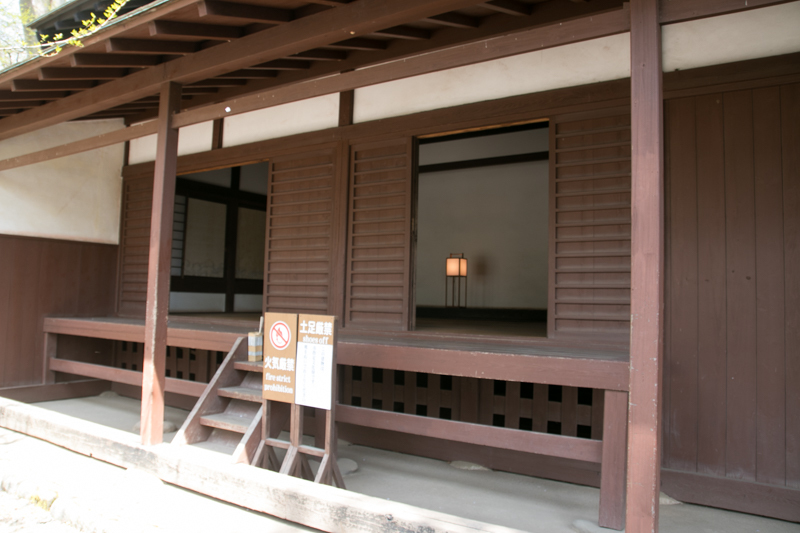 Evaluated his supporting to Hideyoshi, Yoshinobu was admitted to hold whole part of Hitachi country, as Hideyoshi expected Satake clan as a restraint to Ieyasu Tokugawa (1543-1616), the largest lord of Toyotomi government plaved at Kanto region. 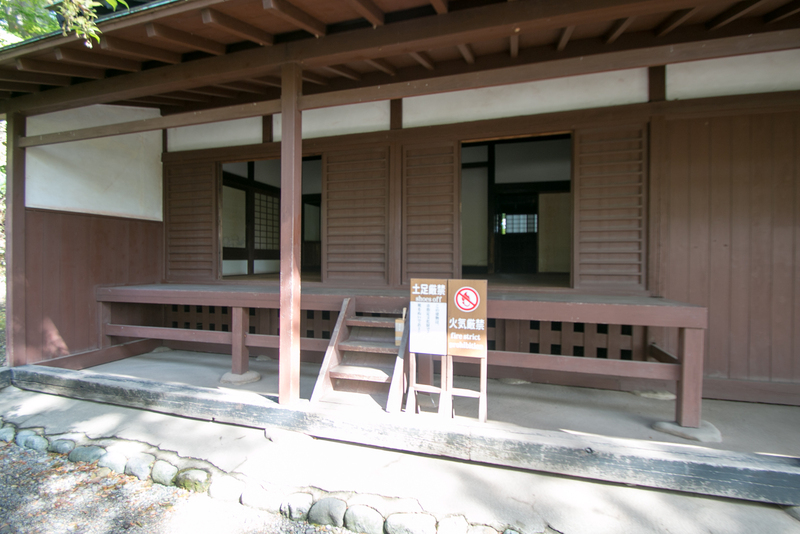 Based on this approval Yoshishige ruined Edo clan, Daijyo clan and other local lords in Kashima area and united Hitachi country. 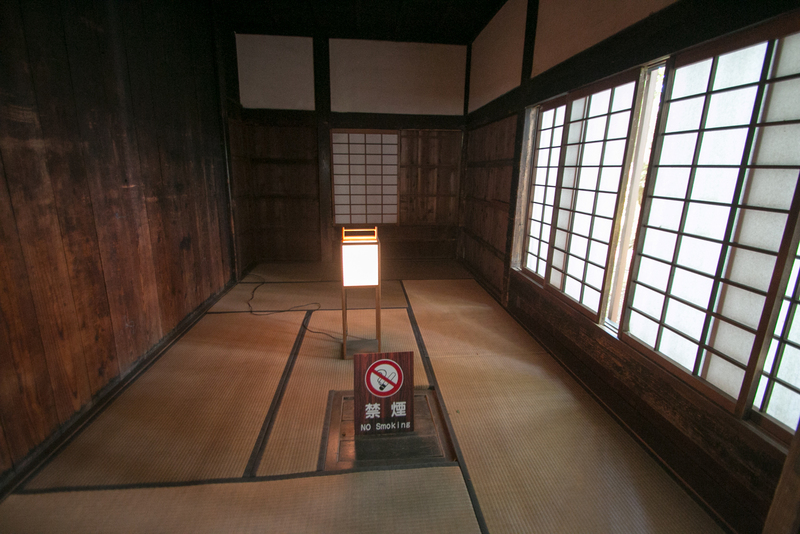 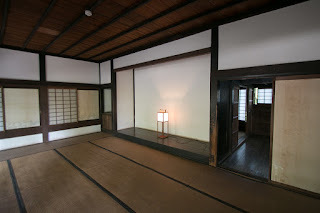 Now former traditional clan survived tough era and continued as a feudal lord. 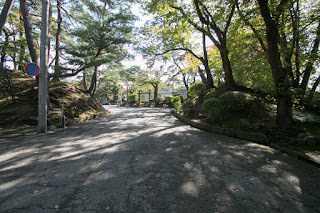 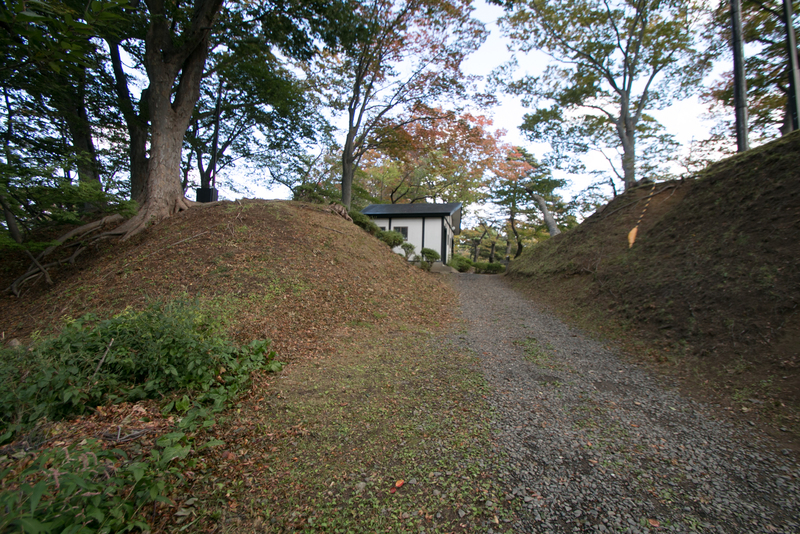 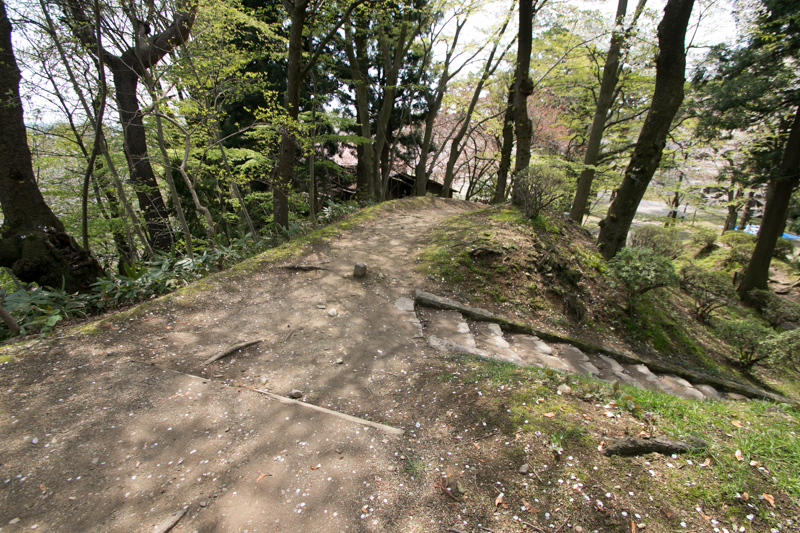 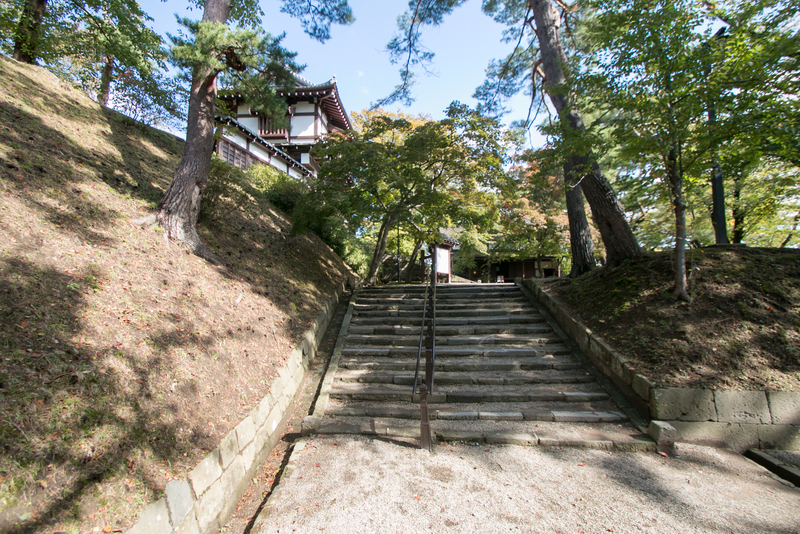 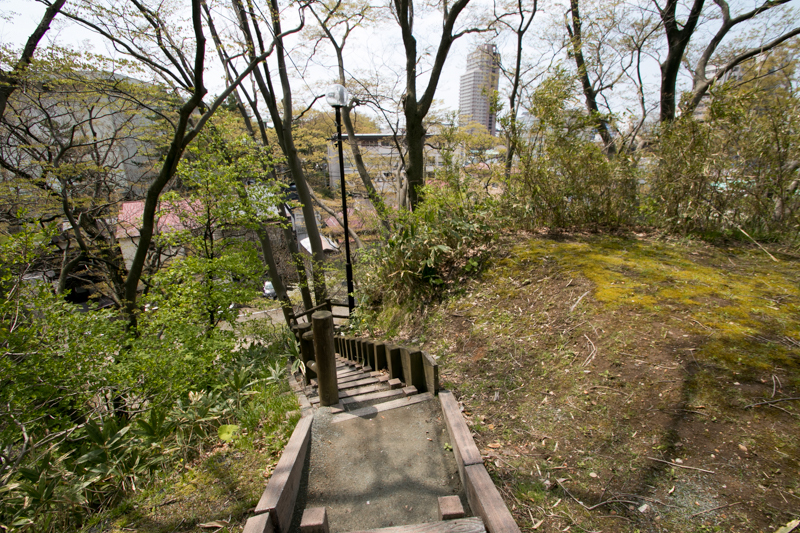 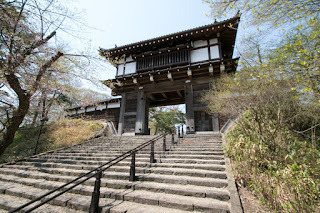 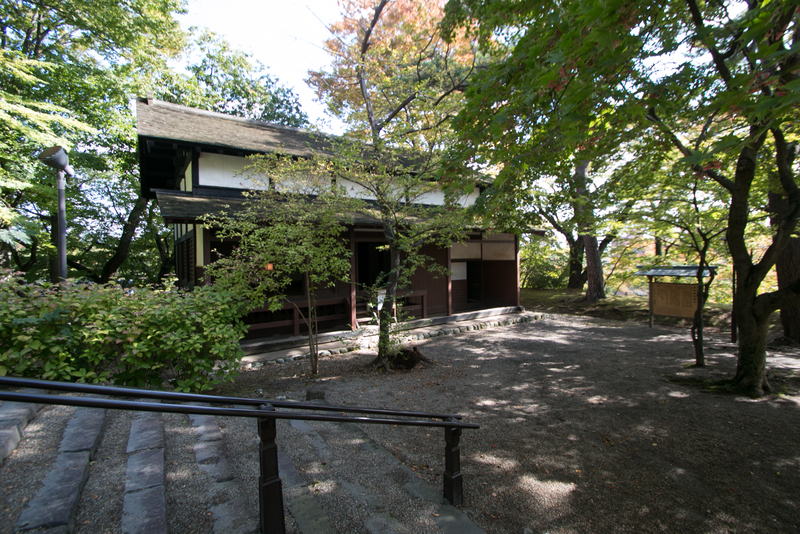 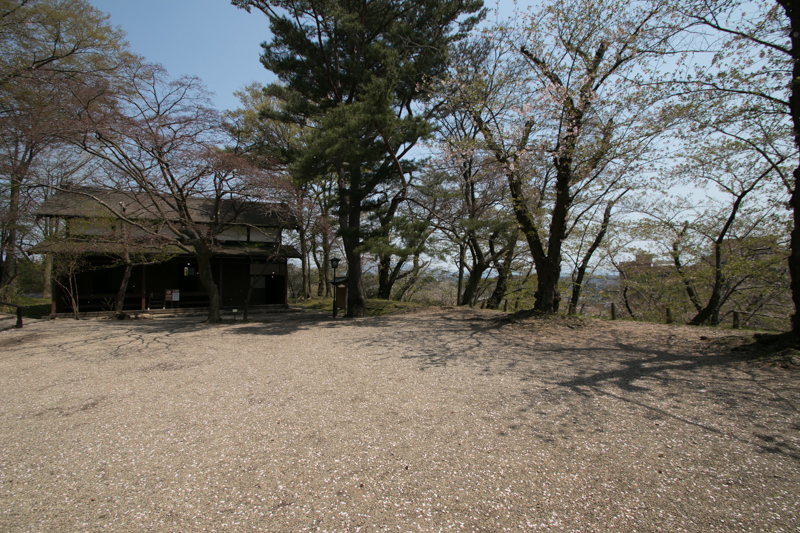 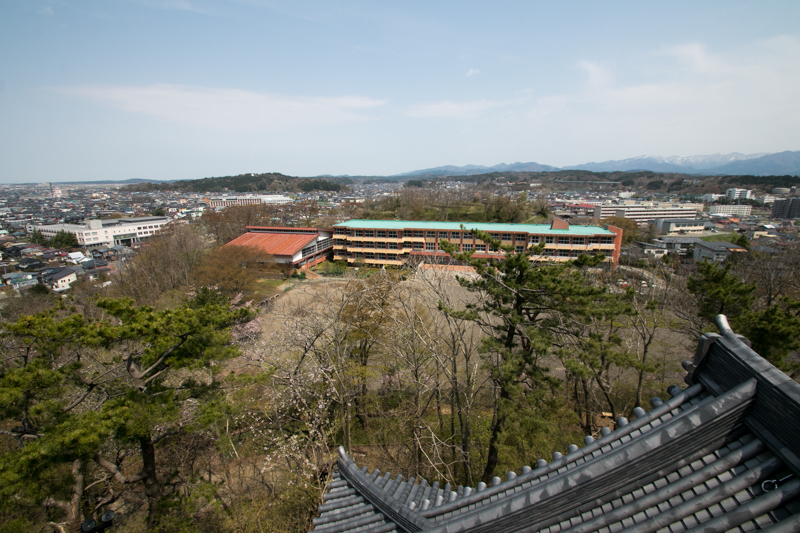 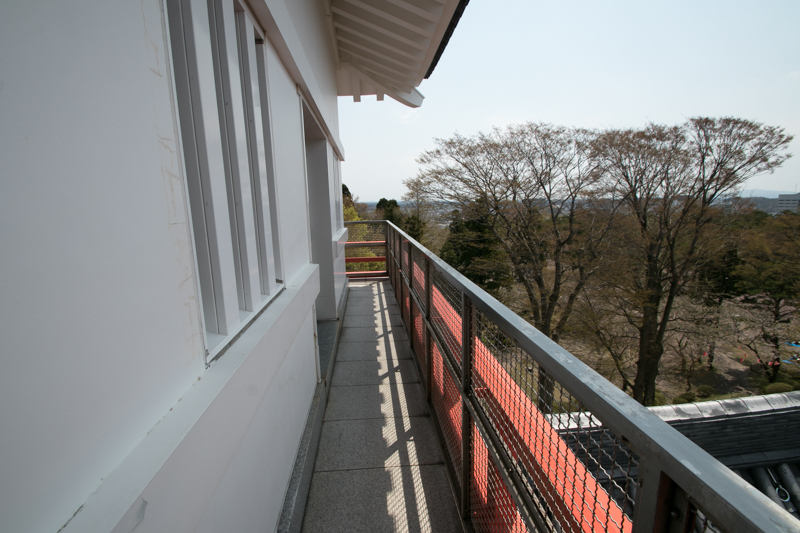 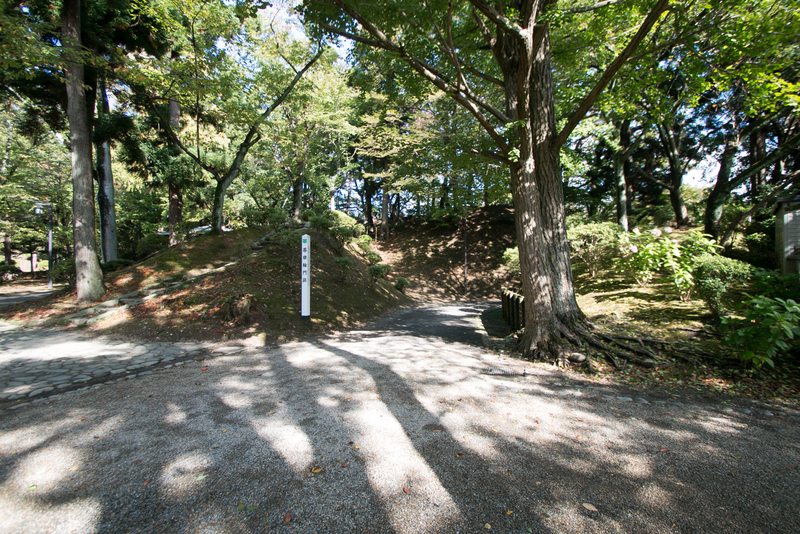 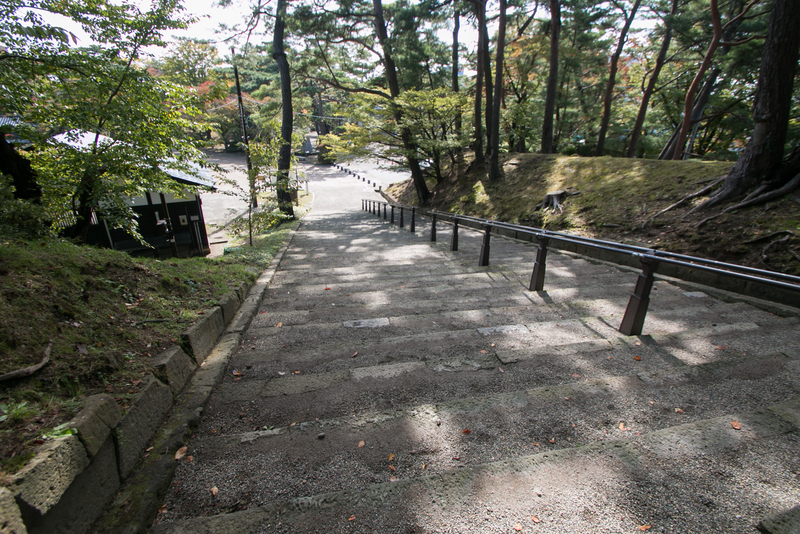 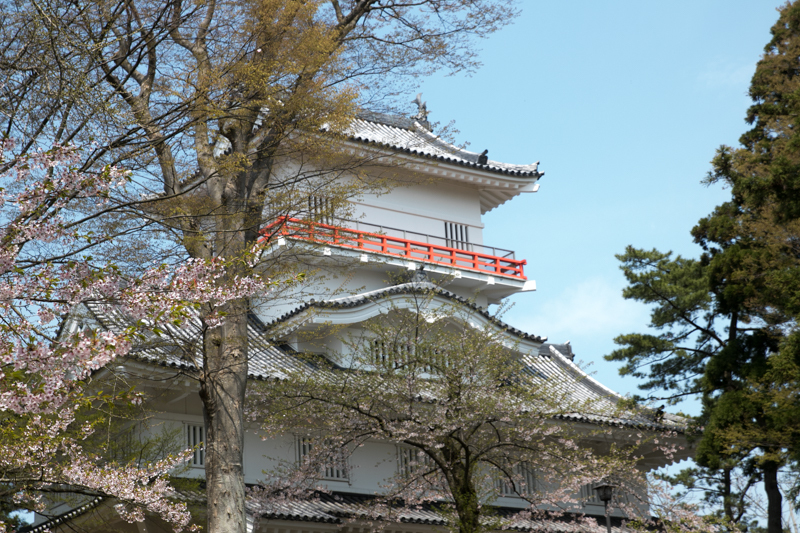 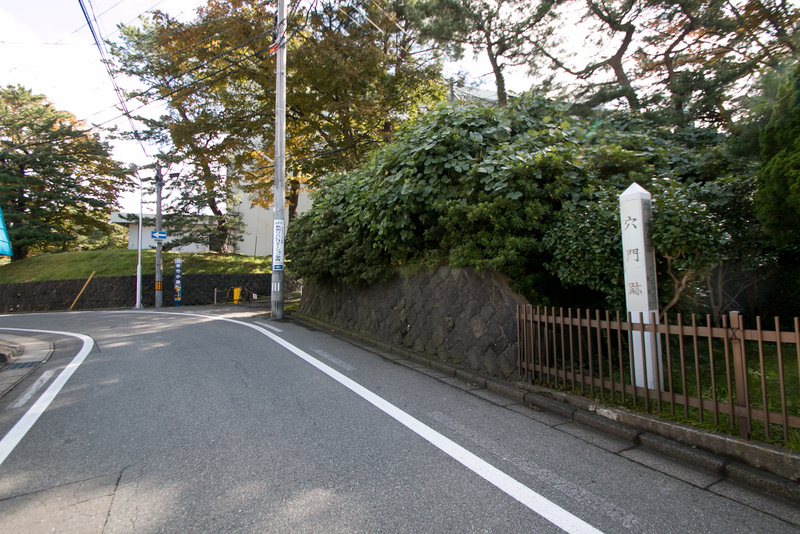 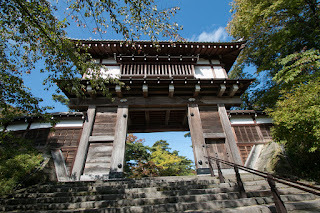 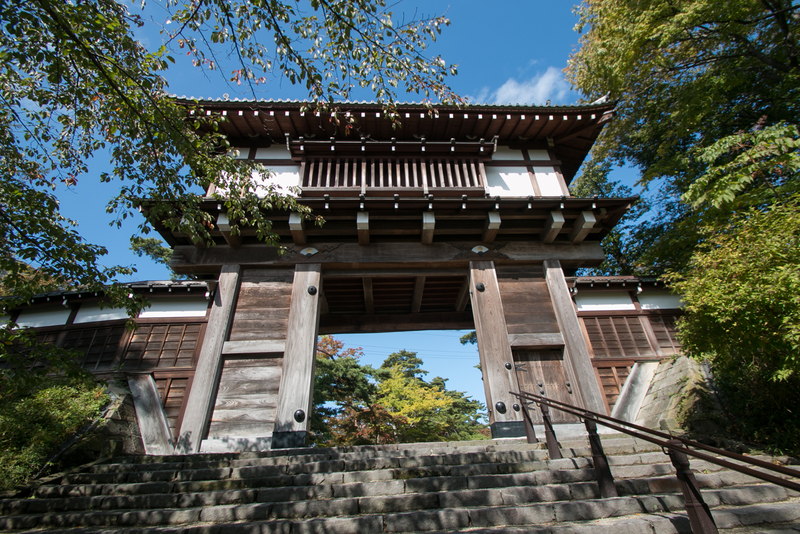 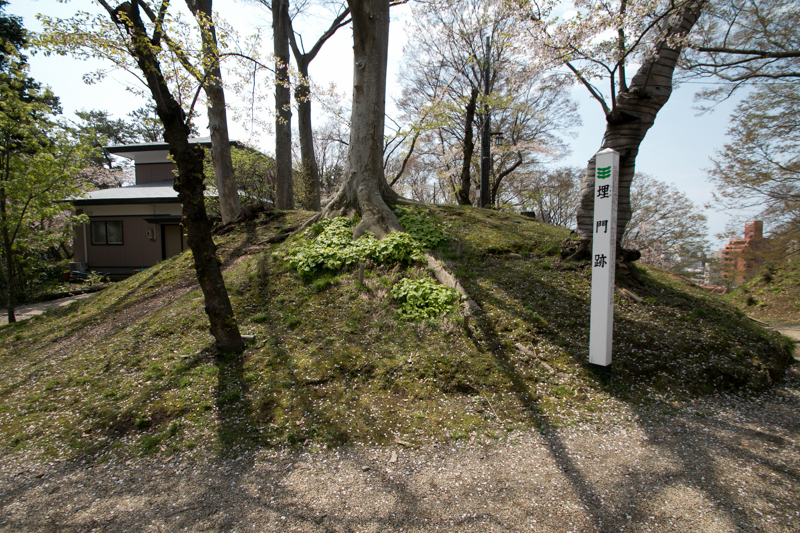 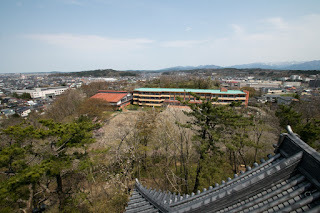 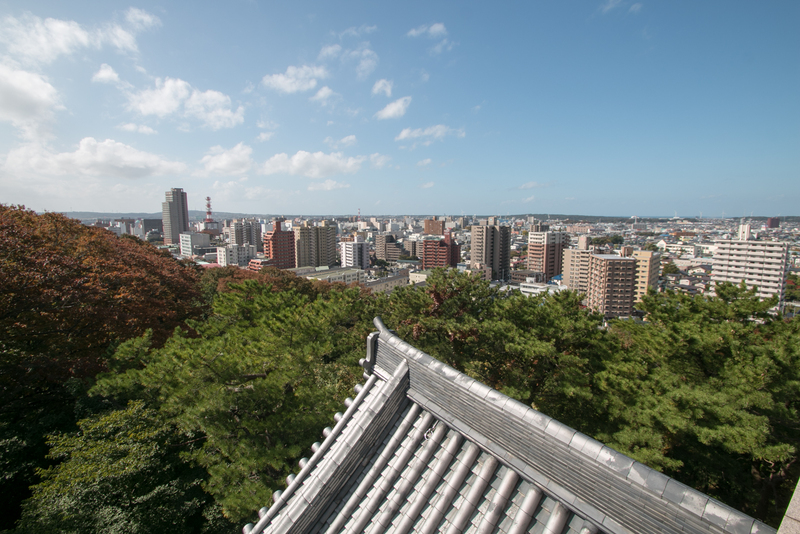 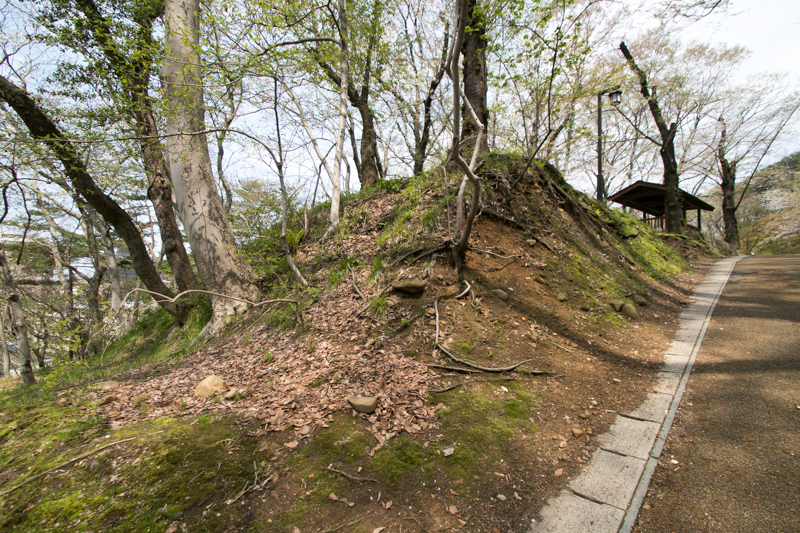 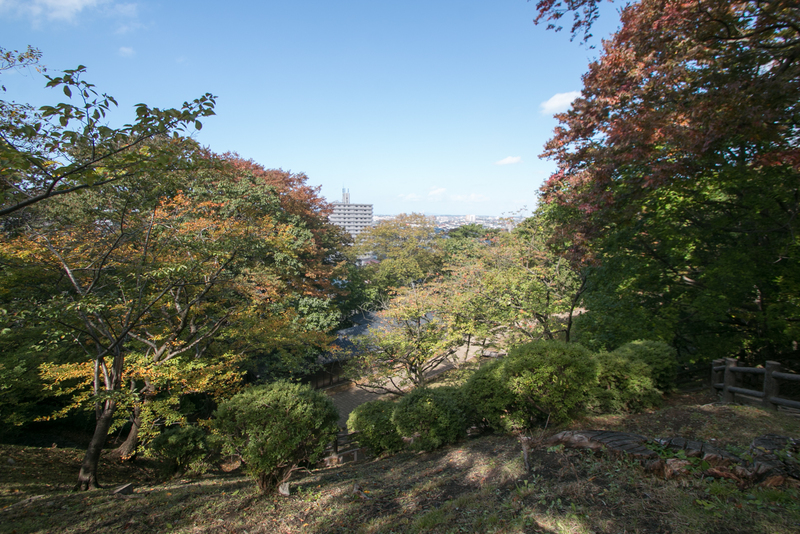 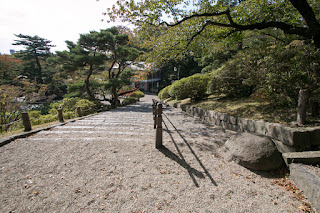 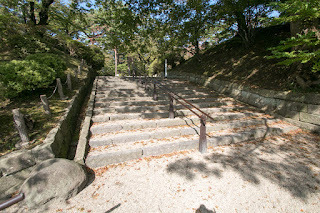 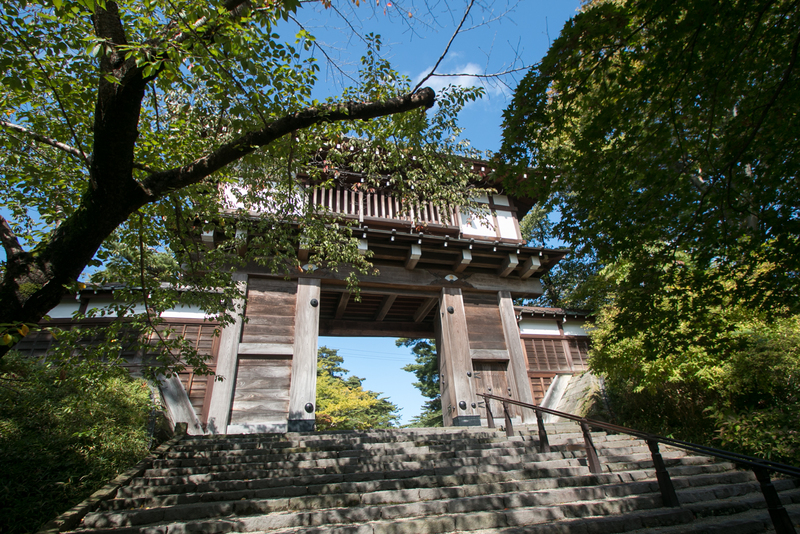 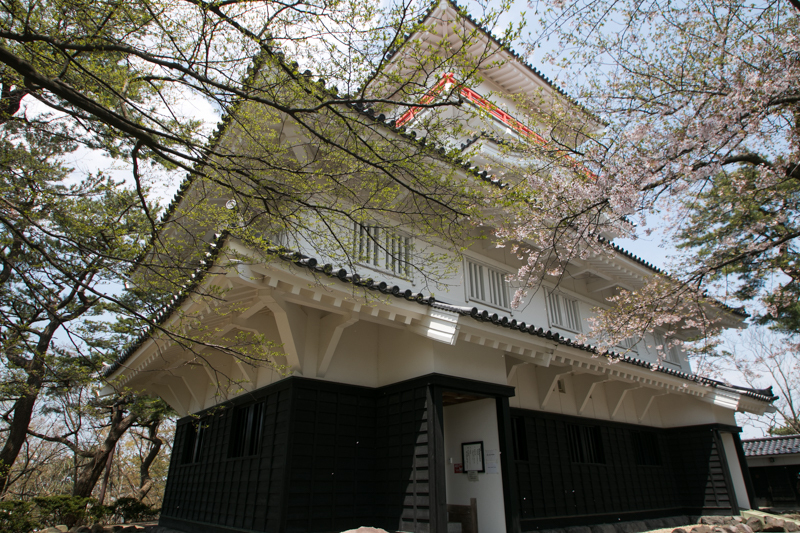 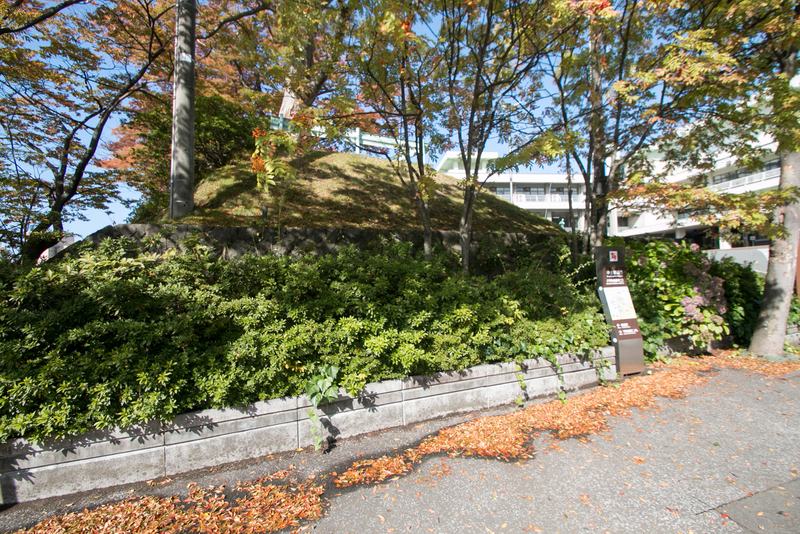 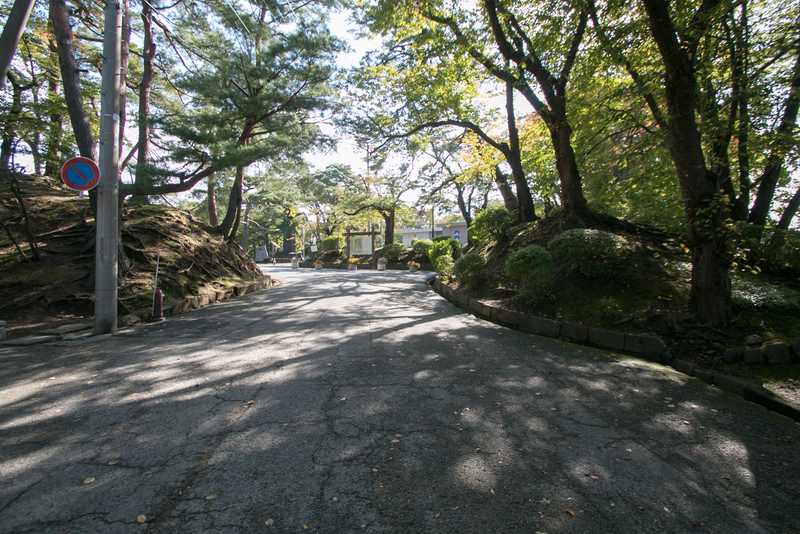 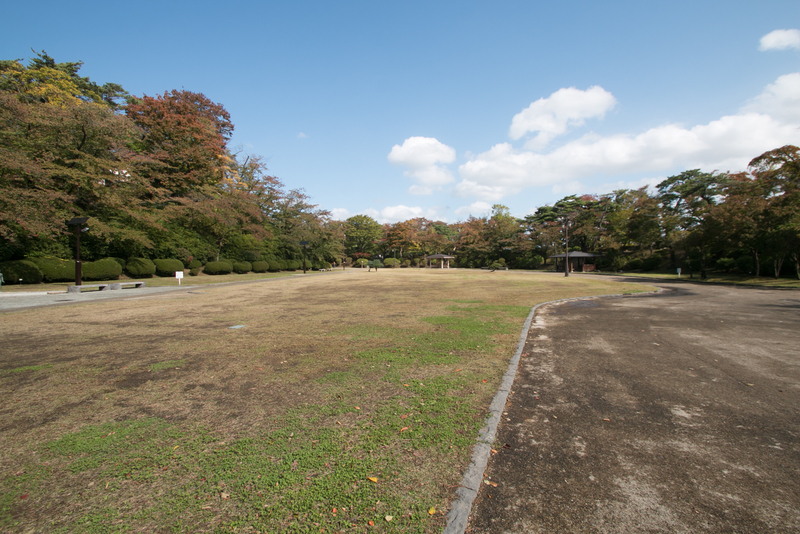 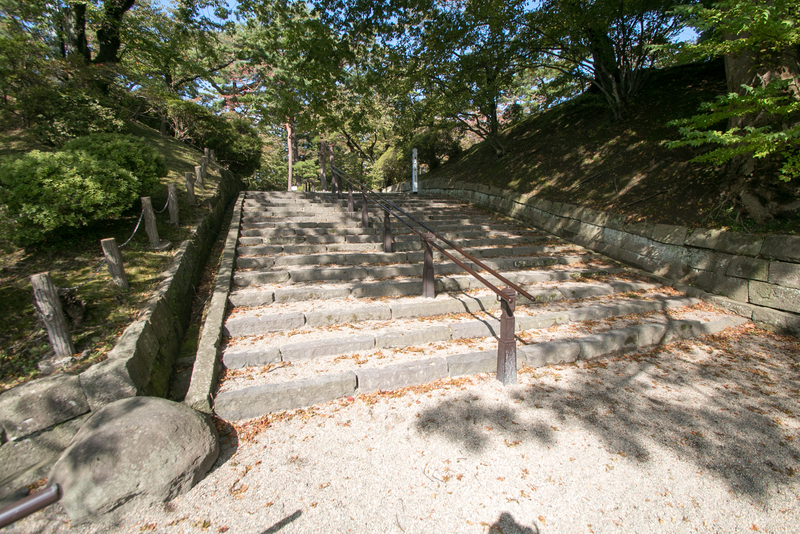 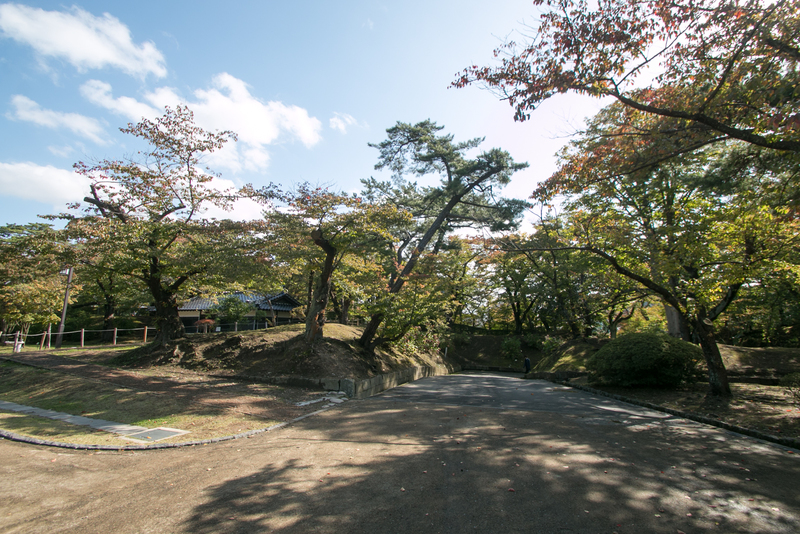 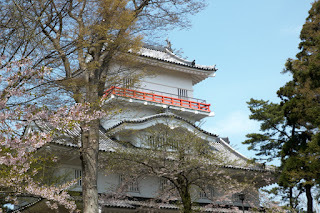 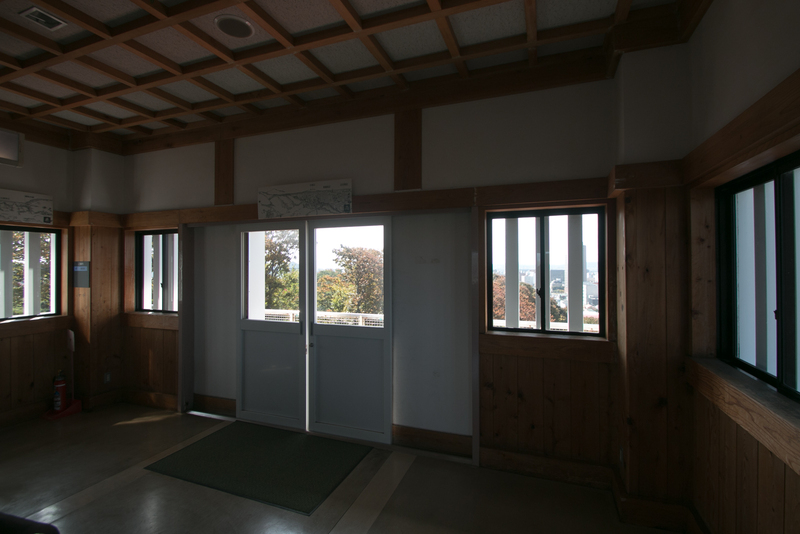 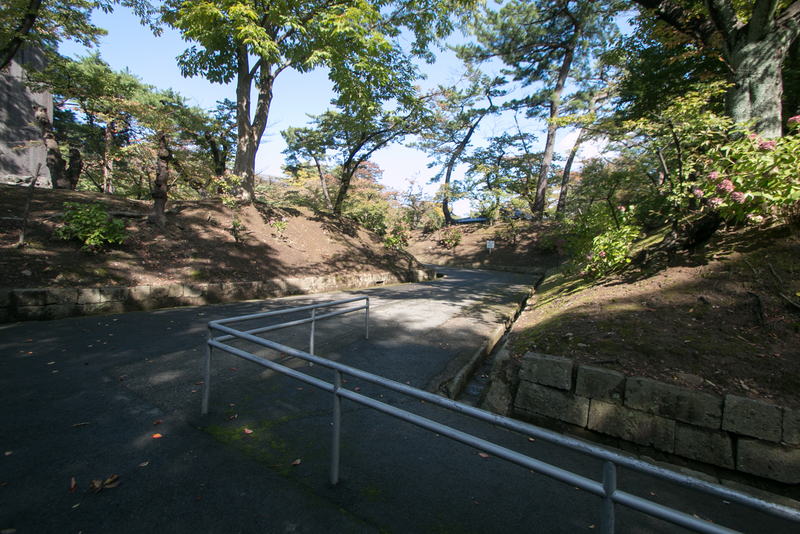 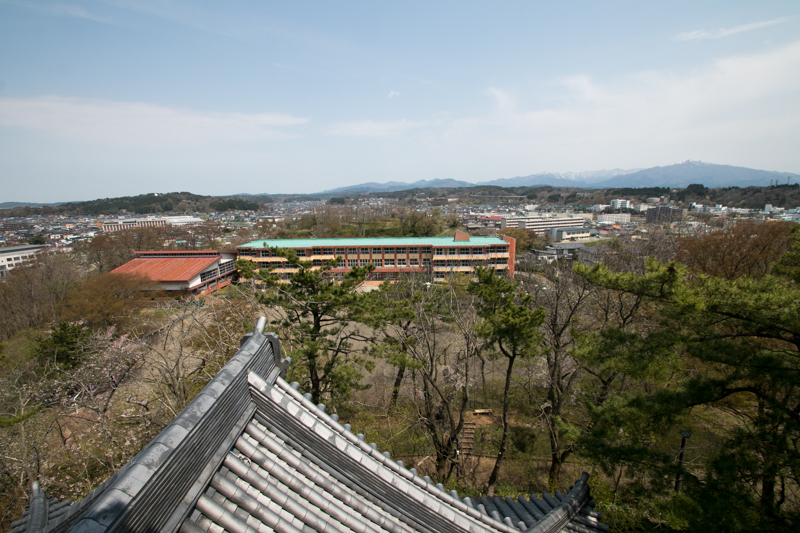 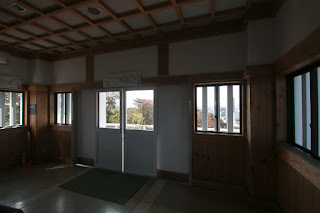 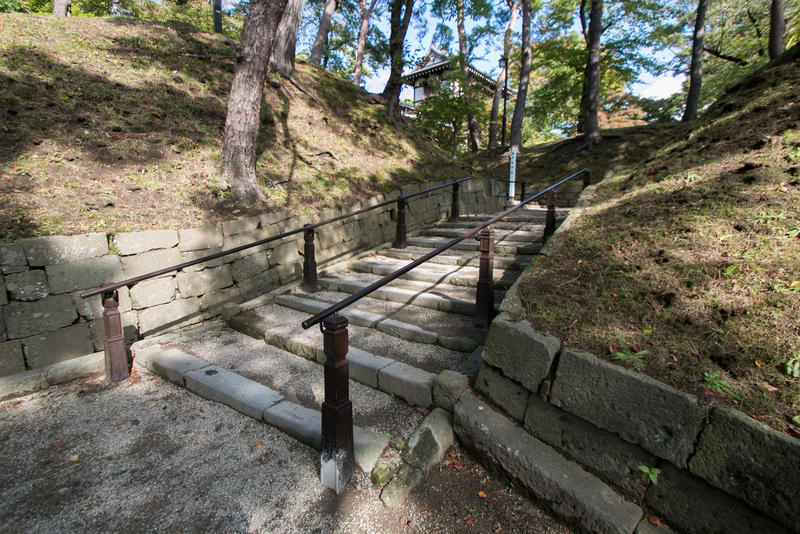 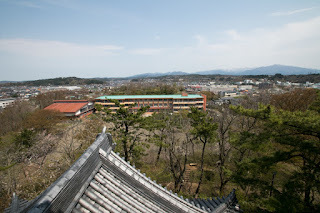 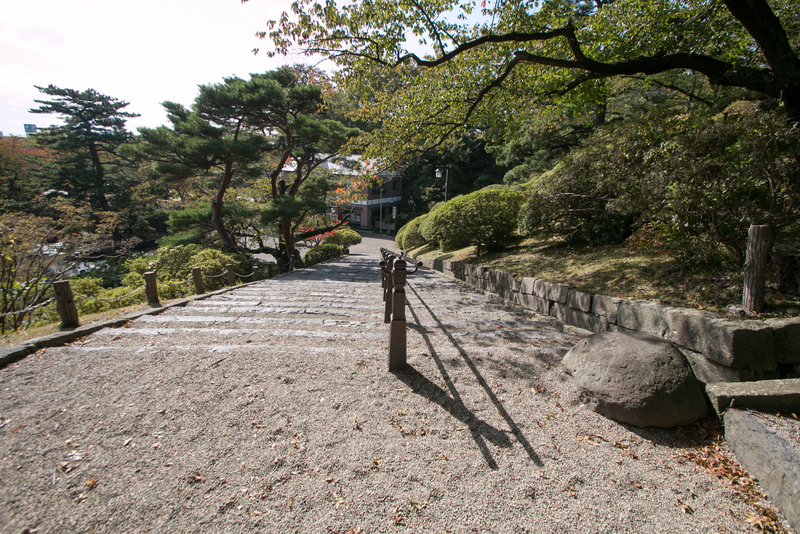 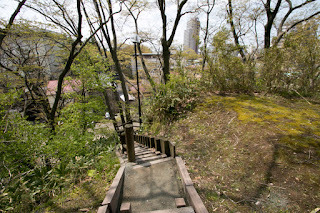 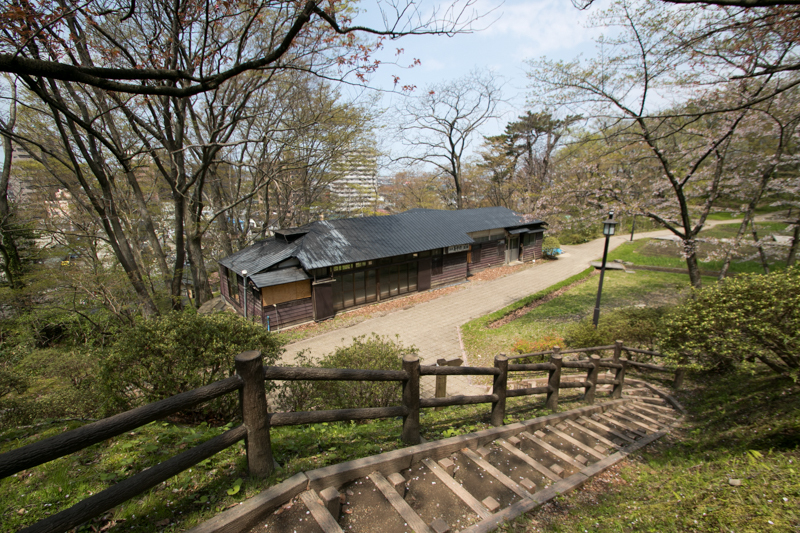 Satake clan moved their residence from Ota castle to Mito castle and significantly expanded it. 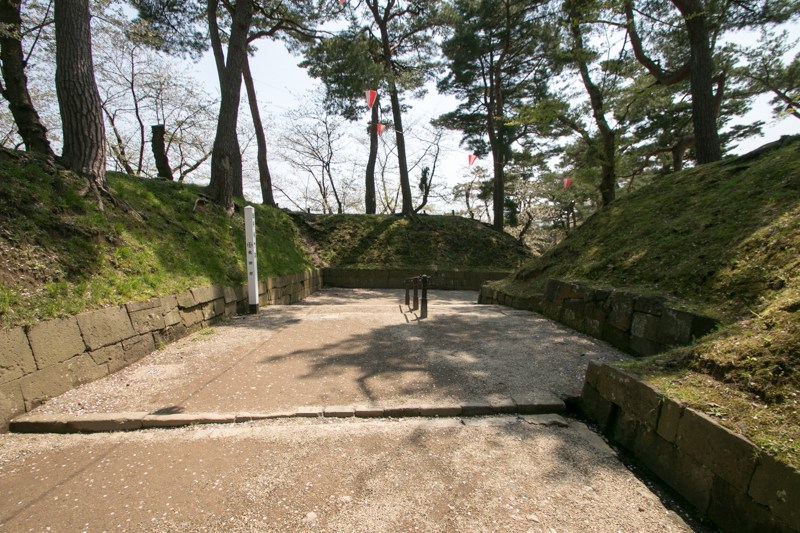 Shortly Utsunomiya clan was expelled by Hideyoshi, and Satake clan became only one survivor of above eight traditional clans in Kanto region. 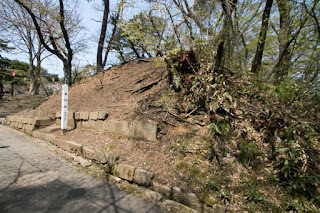 Other clasn basically subordinated to Hojyo clan and shared the fate with them, but Satake clan existed at the edge of Kanto region and could resist Hojyo clan at the latest. This was the cause of difference among these clans. 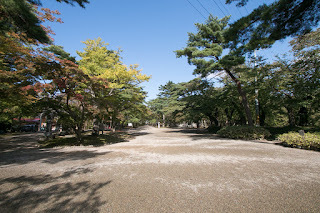 Subsequent to the death of Hideyoshi in 1598, Ieyasu started his action for the next hegemony and Mitsunari Ishida (1560-1600, former chief administrative staff of Toyotomi government raised his army to stop it. Yoshinobu Satake (1570-1633) was close to Mitsunari and planned to support him, but Yoshishige watched situation and stop it and Satake clan kept neutral of both side. 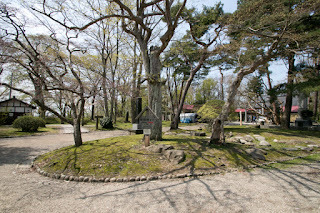 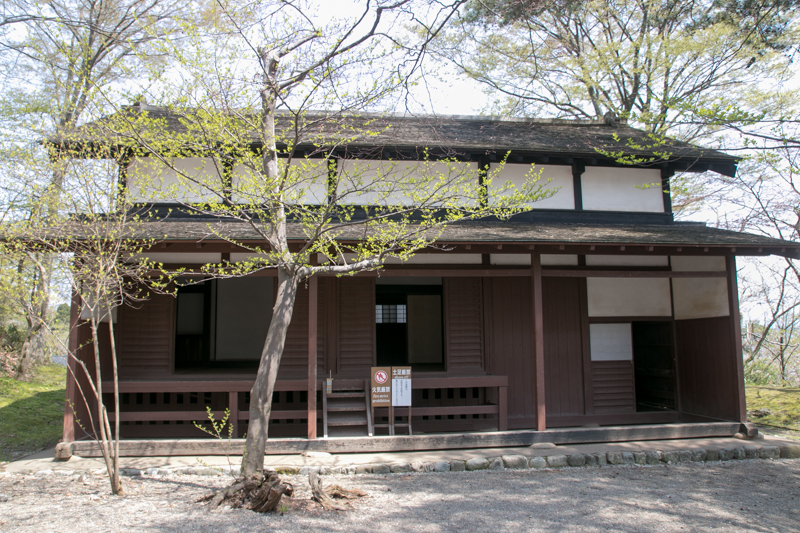 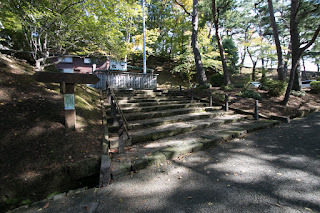 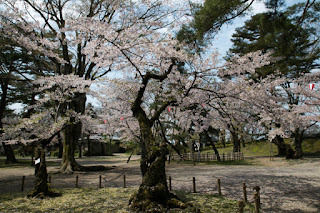 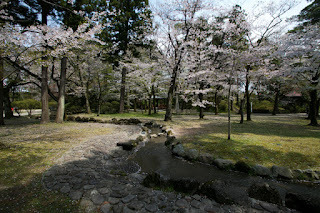 After the victory of ieyasu, Satake clan was approved to continue but transferred to Dewa country with half territory. 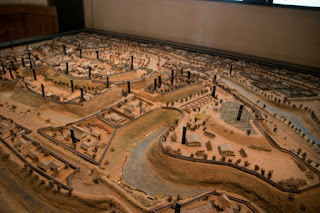 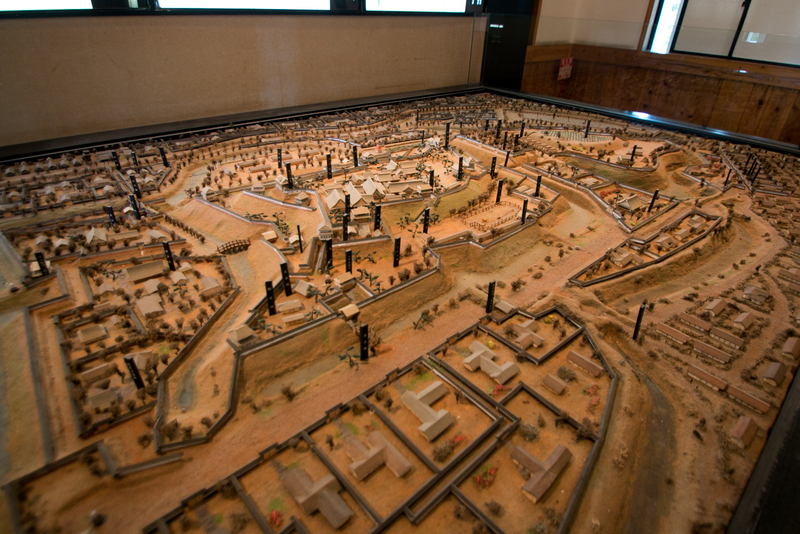 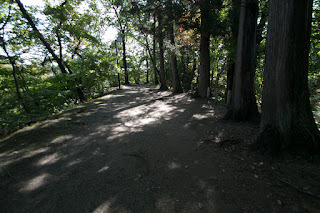 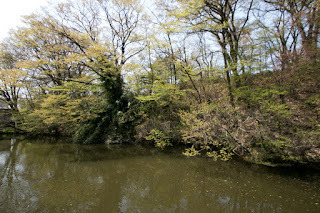 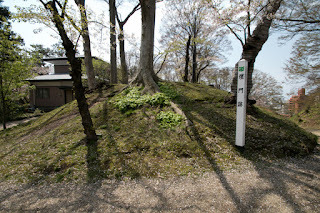 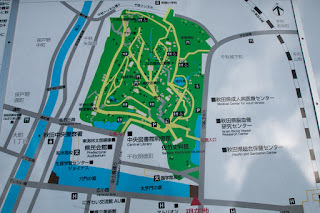 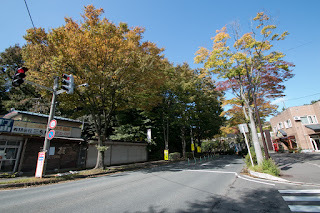 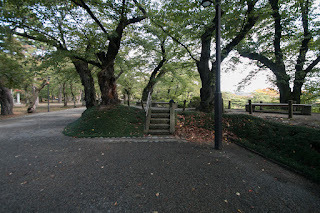 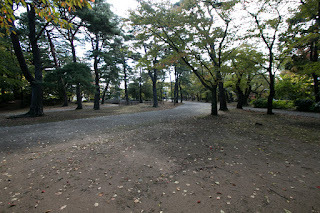 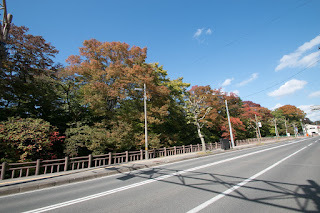 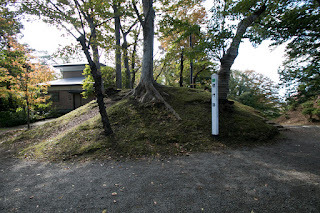 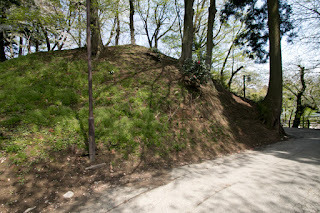 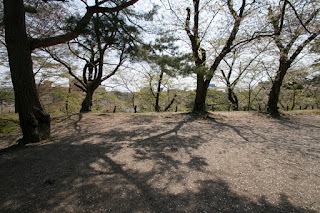 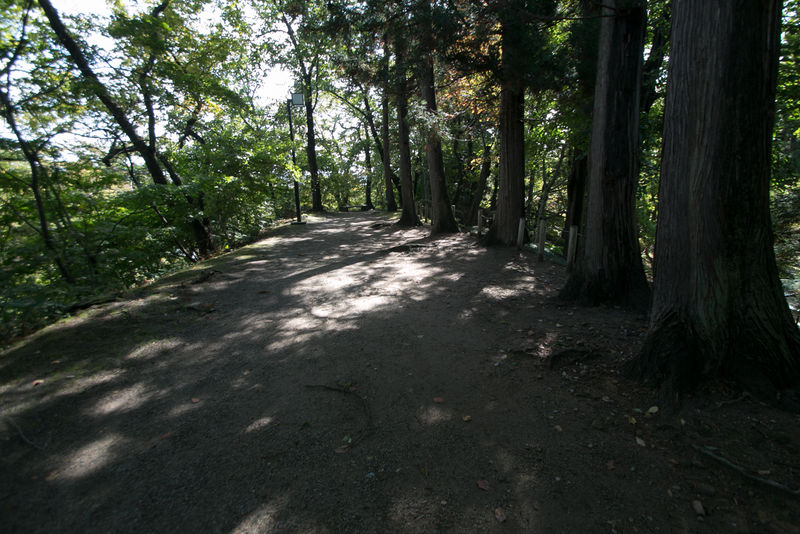 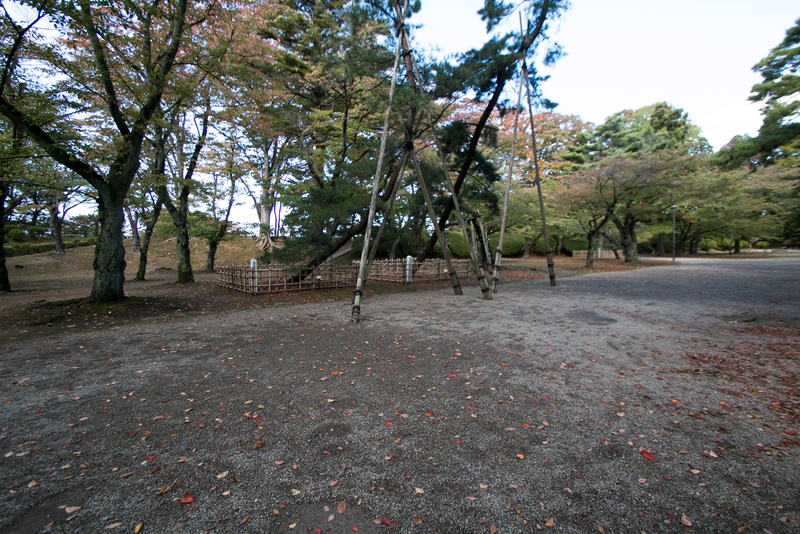 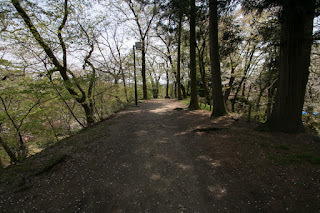 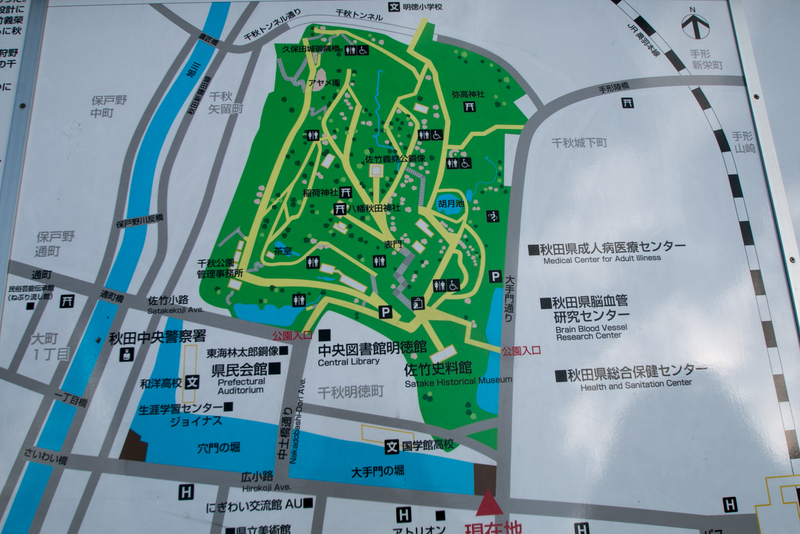 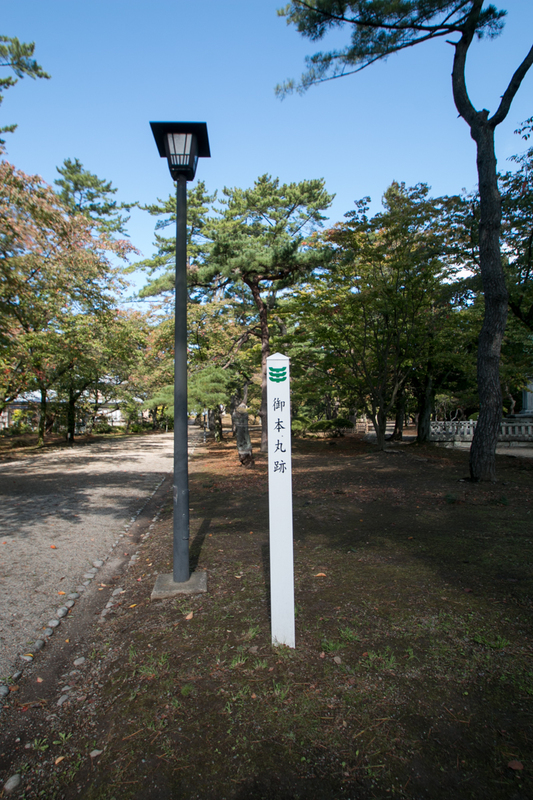 Tokugawa government did not approve large and strong lord exist at Kanto region, close to their residence Edo castle. Yoshinobu transferred to Akita area first entered Minato castle near Akita port, but it was too small and no room for expansion, thus he decided to build a new castle in 1604. 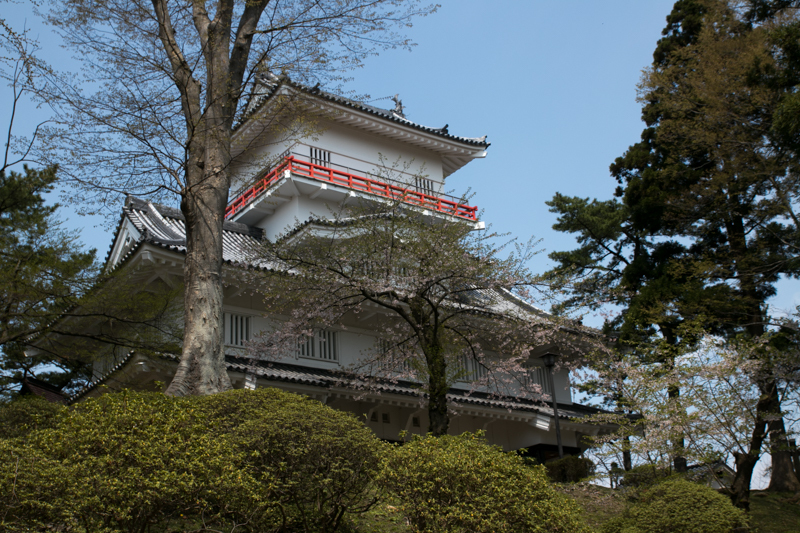 After three year construction, the new castle was completed and named as Kubota castle. The most distinctive future of Kubota castle is having no stone wall despite it is a new generation castle built after 1600. 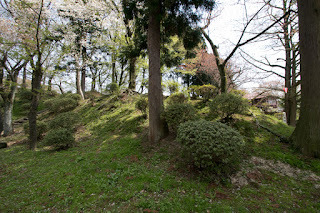 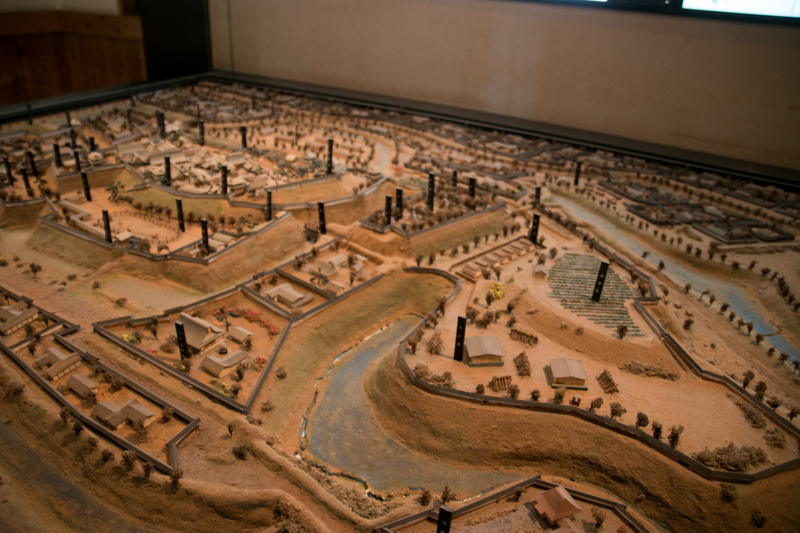 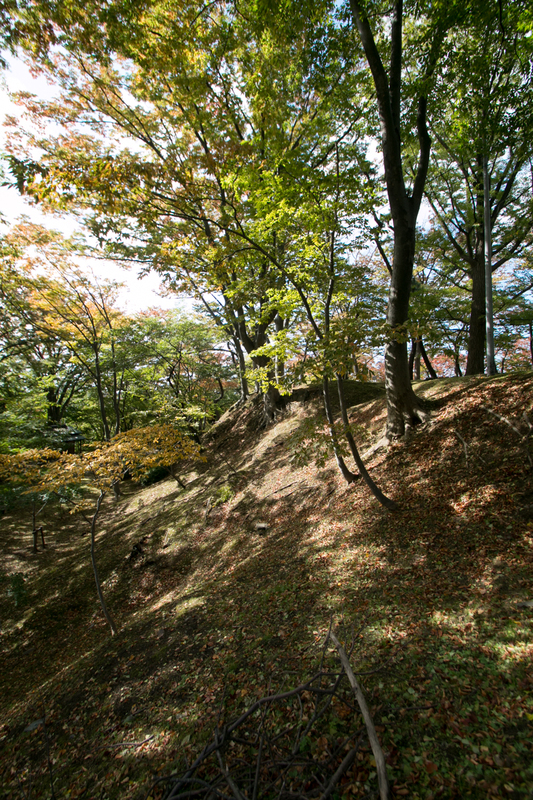 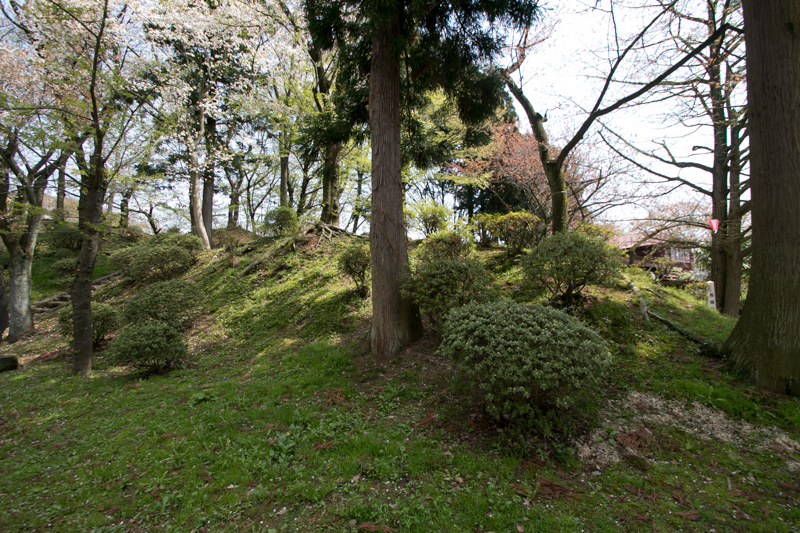 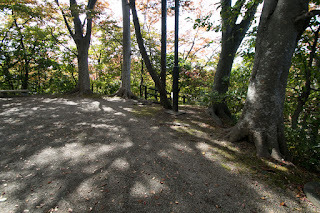 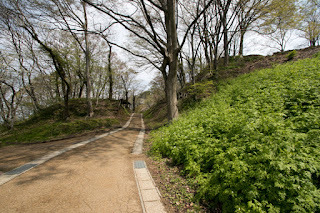 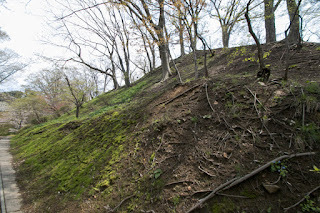 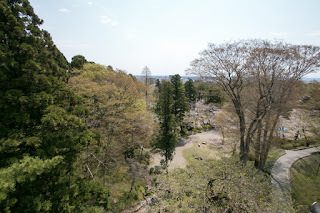 Large castles of Tohoku region such as Sendai castle, Yamagata castle, Morioka castle or Hirosaki castle each equips stone walls, but Kubota castle was totally built only by clay walls. 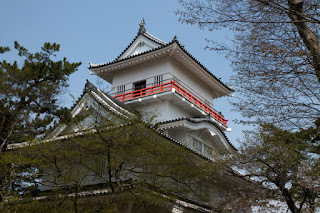 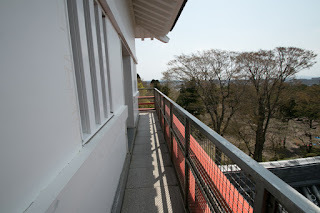 But even though built in such style, Kubota castle was not a weak castle. 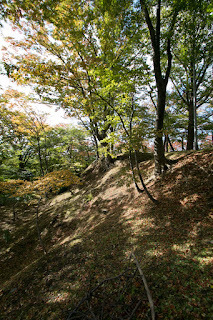 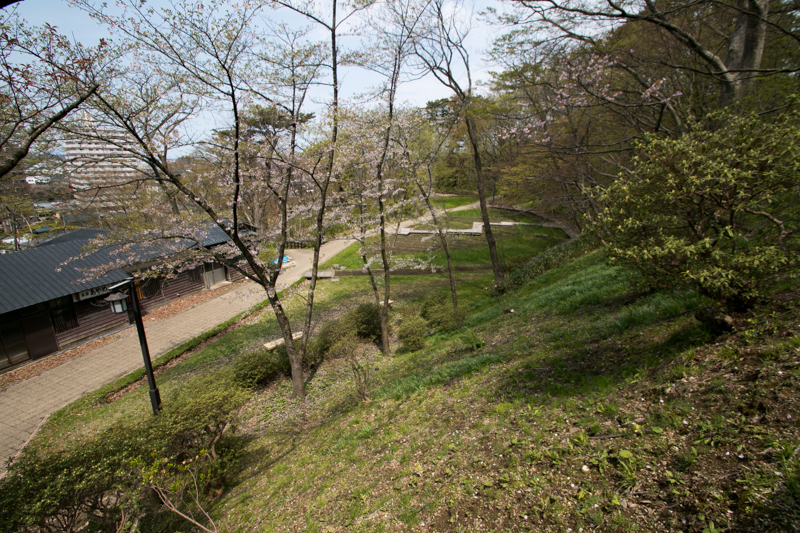 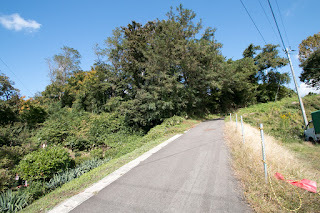 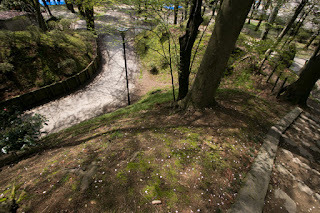 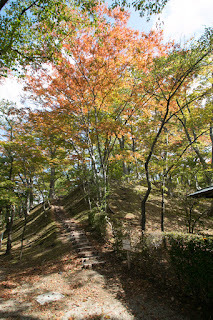 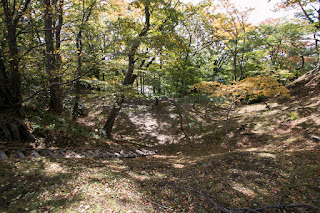 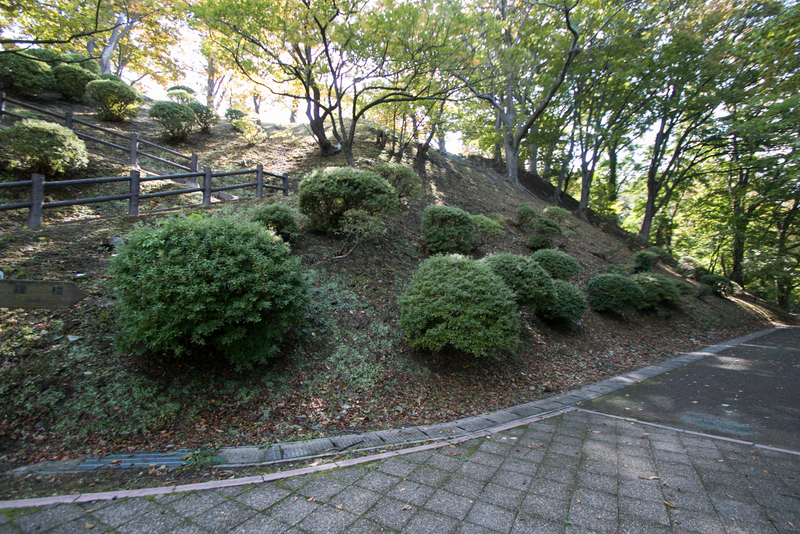 Total size of the hill is about 600 meter long and 400 meter width, and the center of the hill was shaped into two layer terraces. 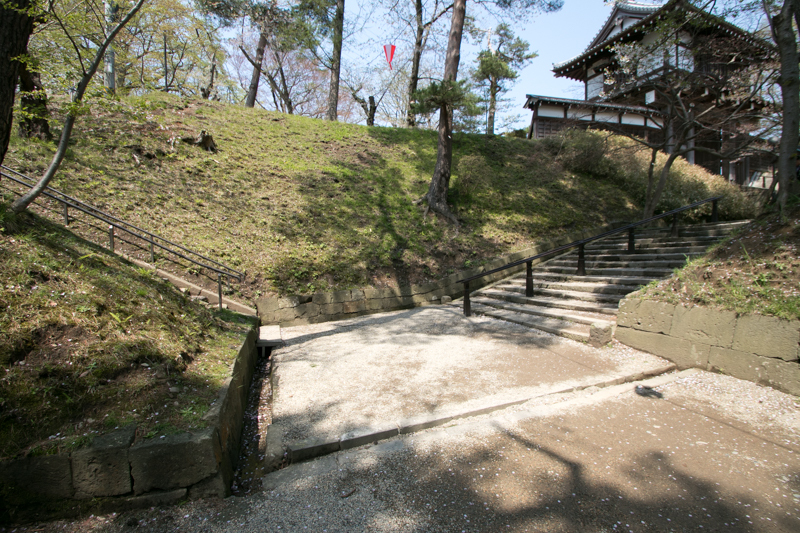 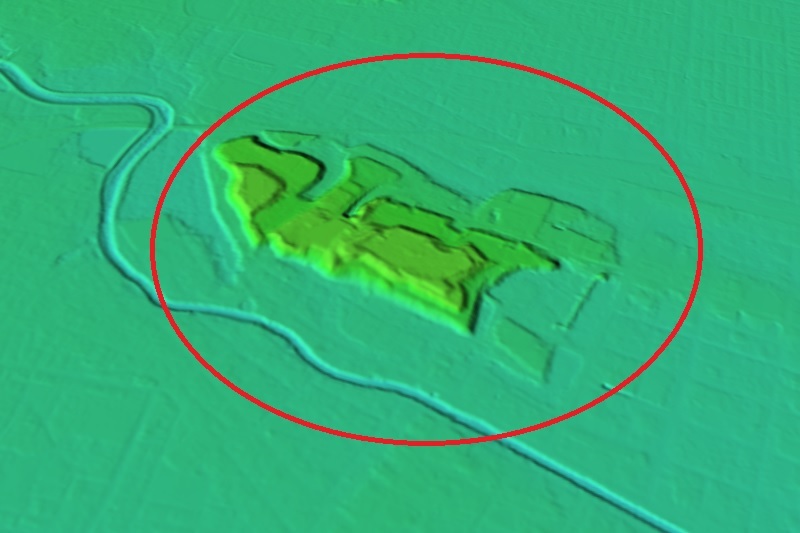 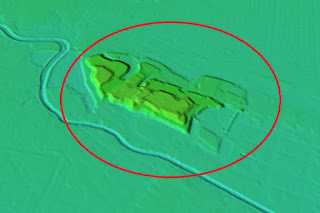 At the southwest corner of central area there was a two story residence used as a substitute of main tower, and at the southeast corner a secure composite main gate located. 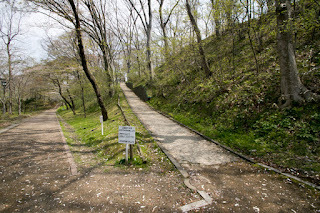 In front of the hill there is the third area covers front half of the hill, which was guarded by 50 meter wide water moats and used as governmental area. At backside there was another area to the edge of the hill. Total number of turrets was eight, and the castle also had more than 10 gates. 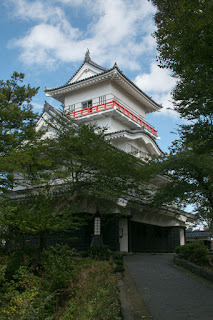 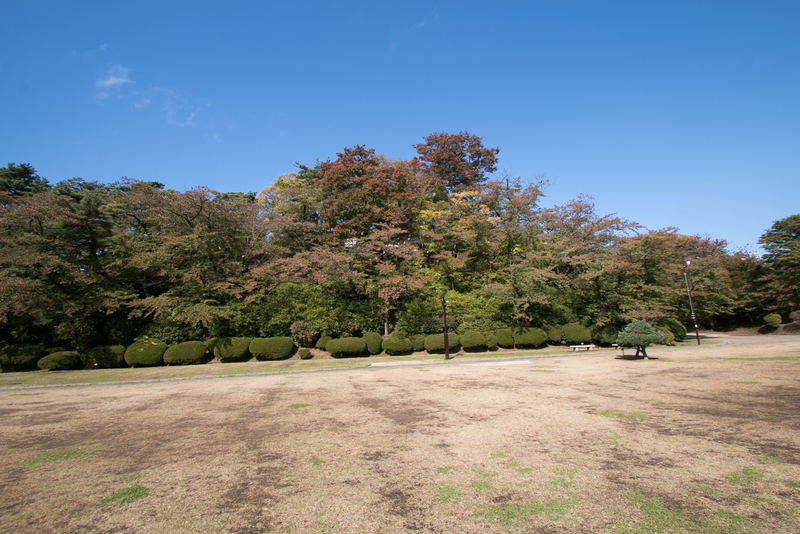 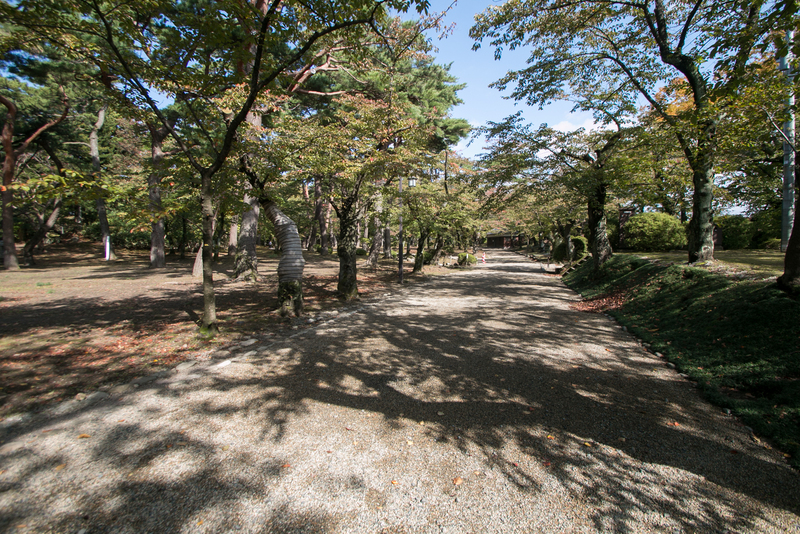 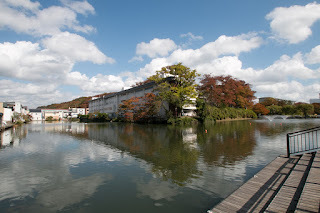 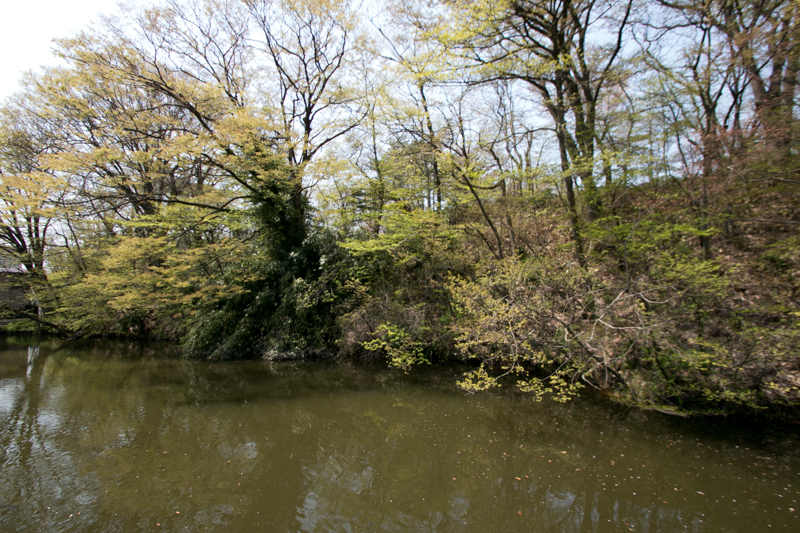 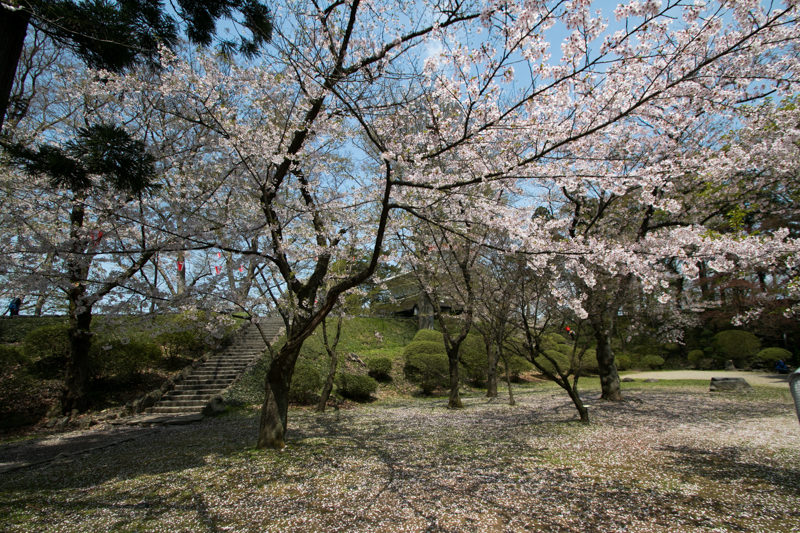 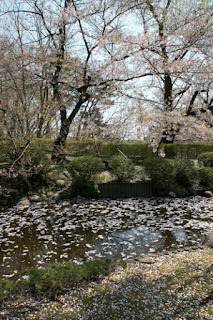 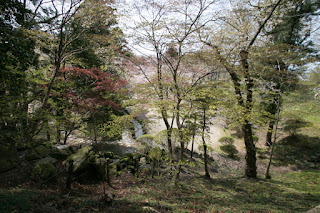 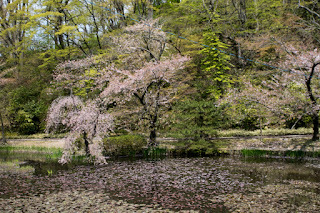 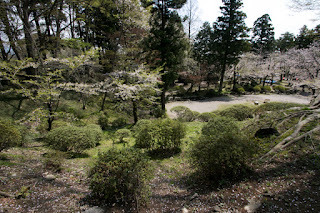 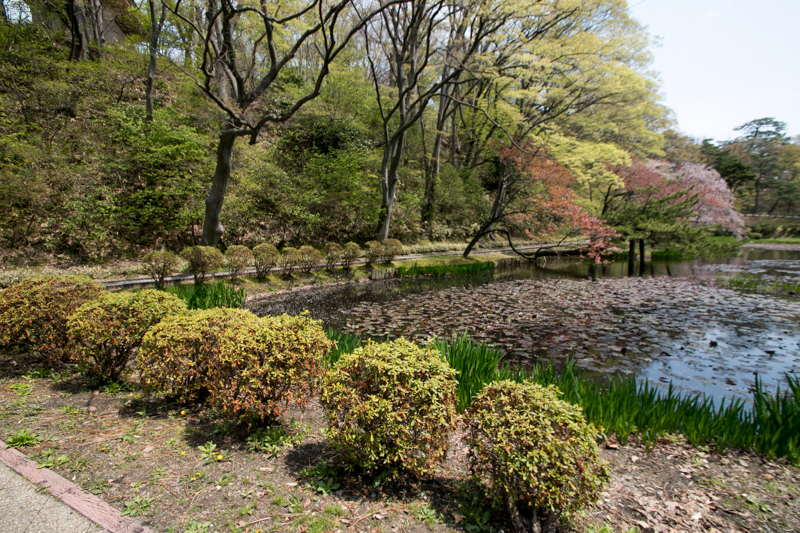 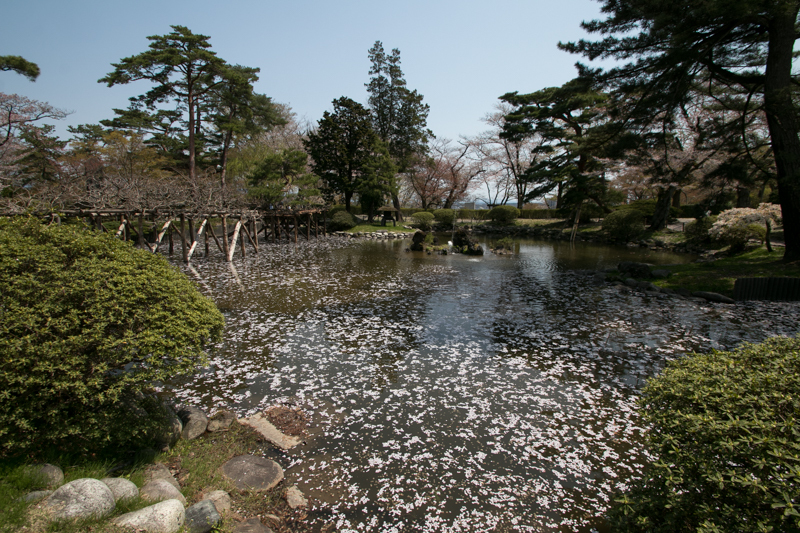 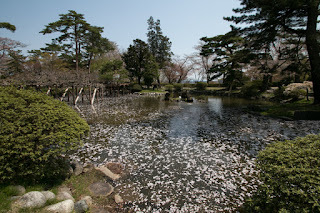 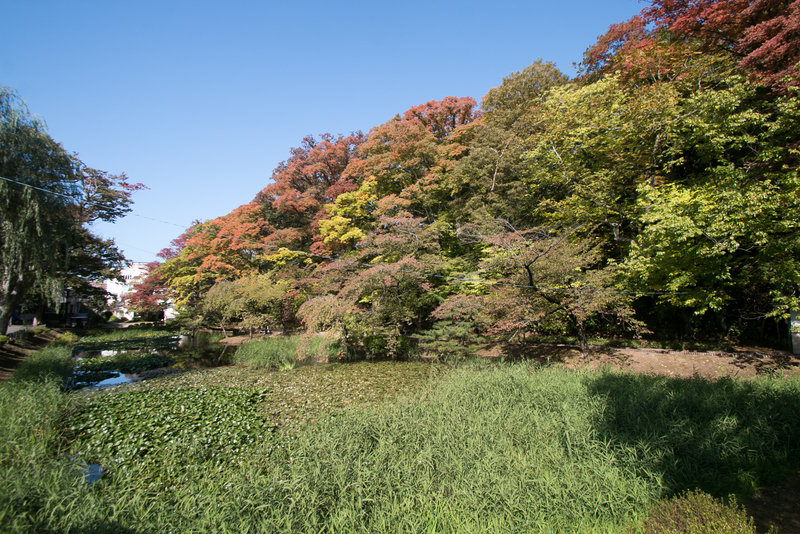 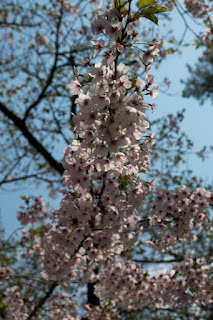 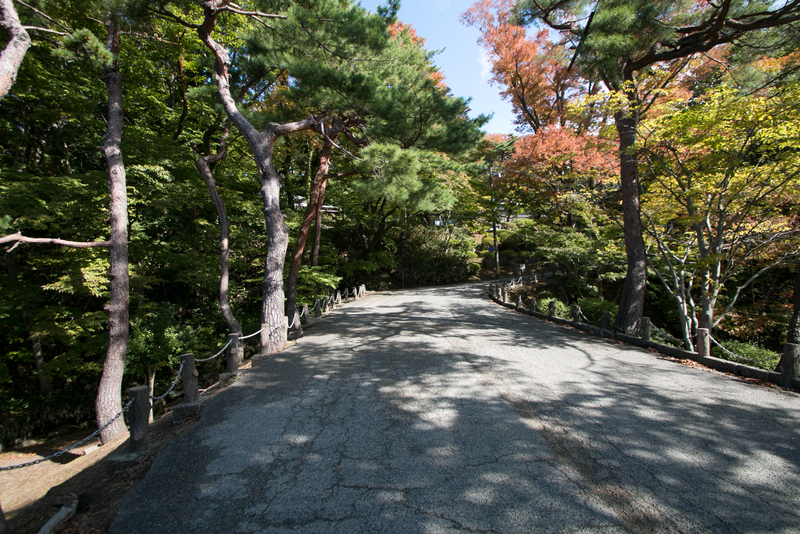 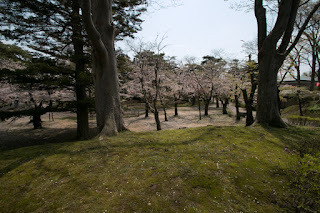 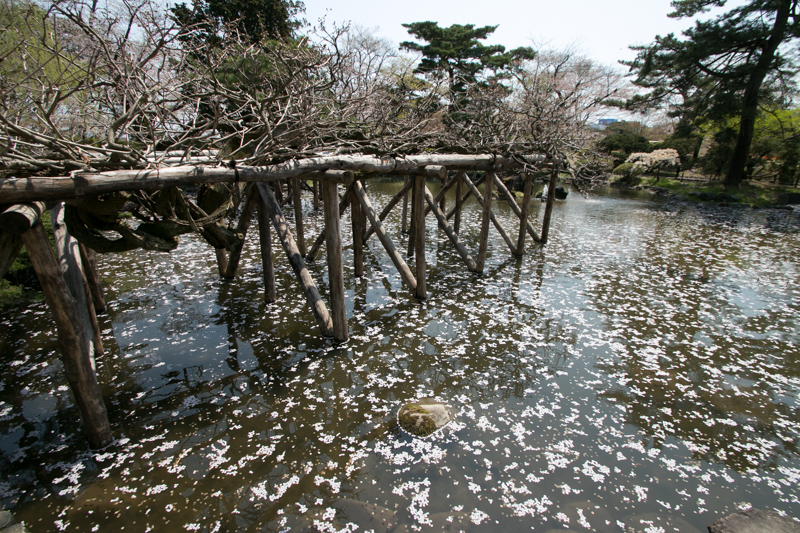 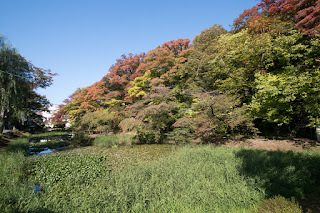 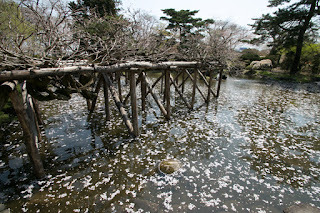 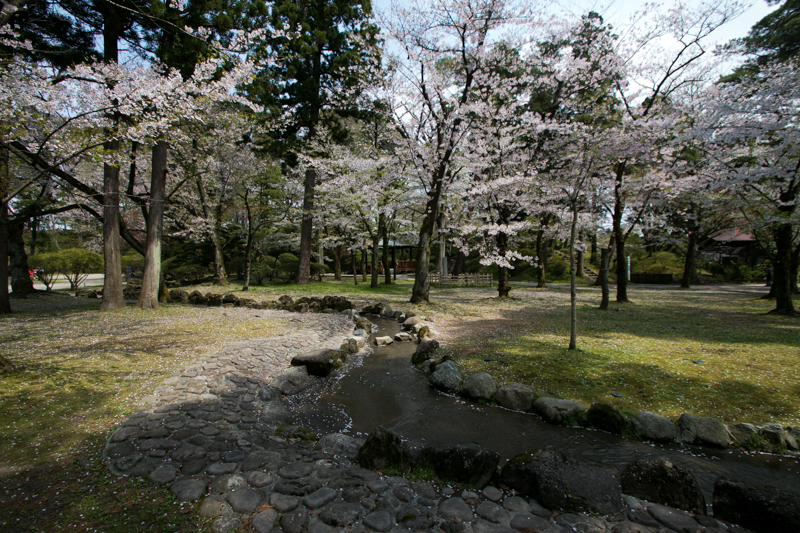 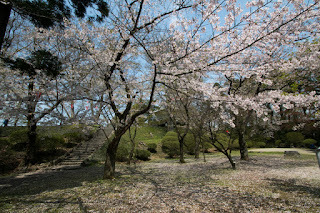 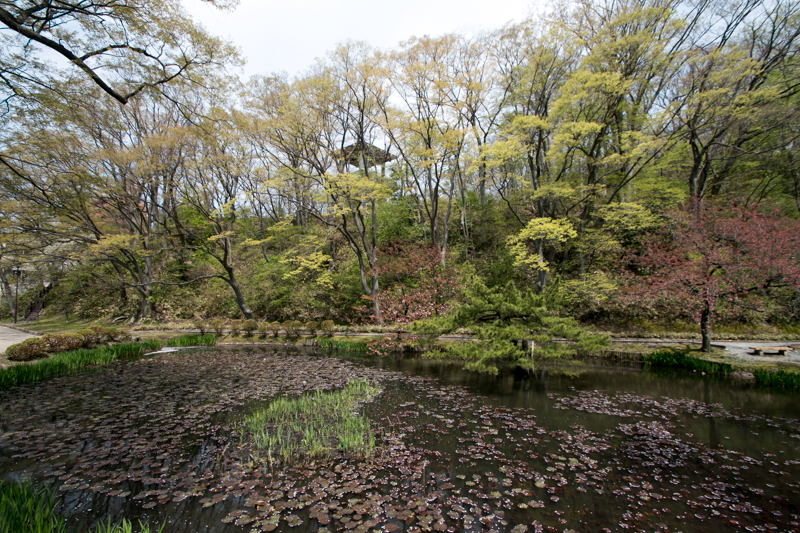 Satake clan has managed Kubota castle until the end of Edo era. 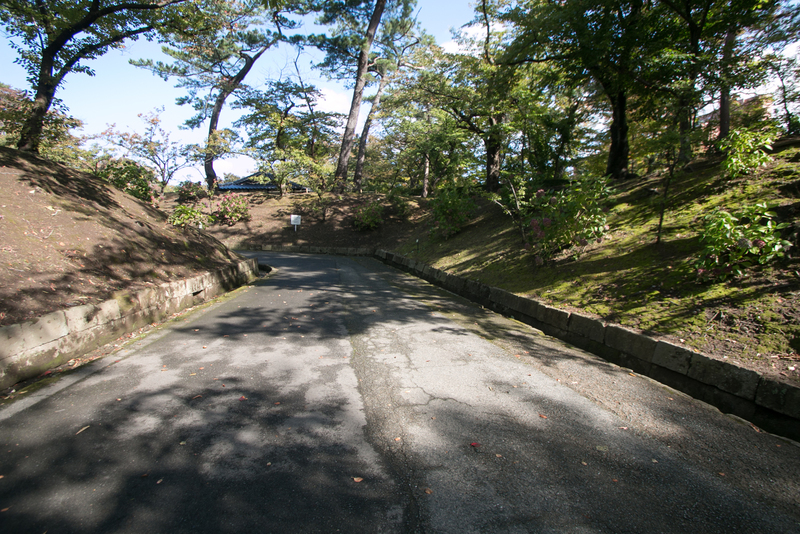 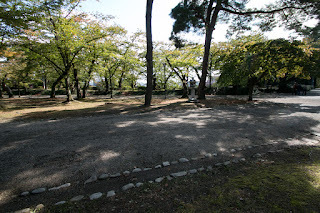 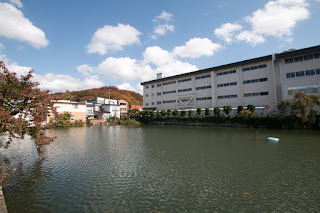 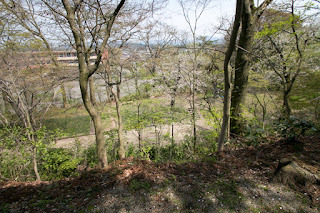 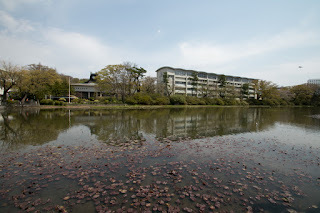 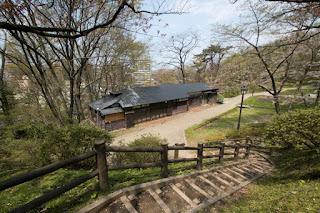 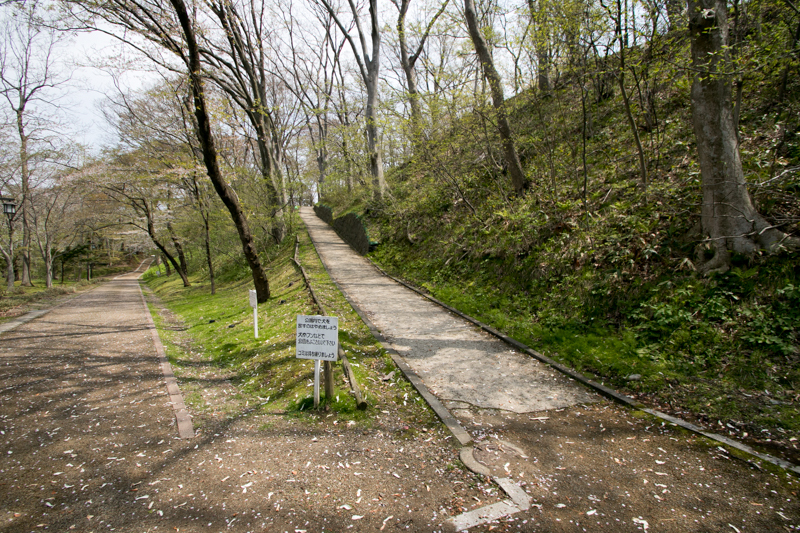 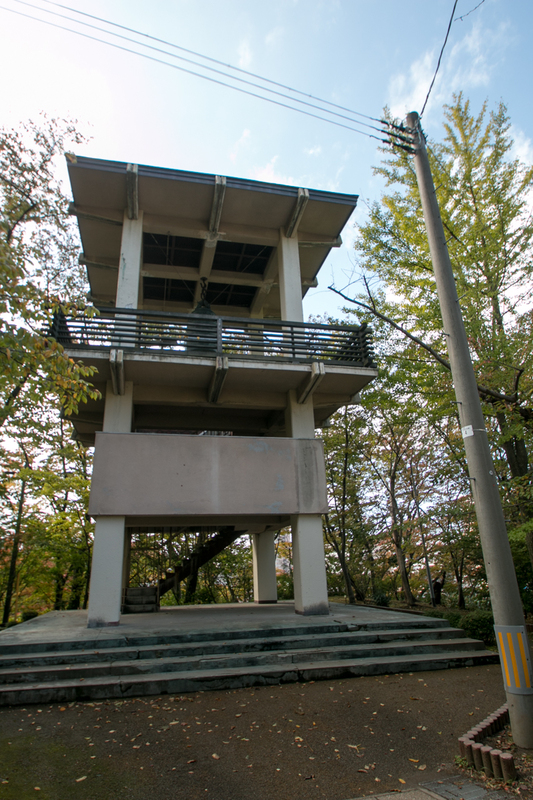 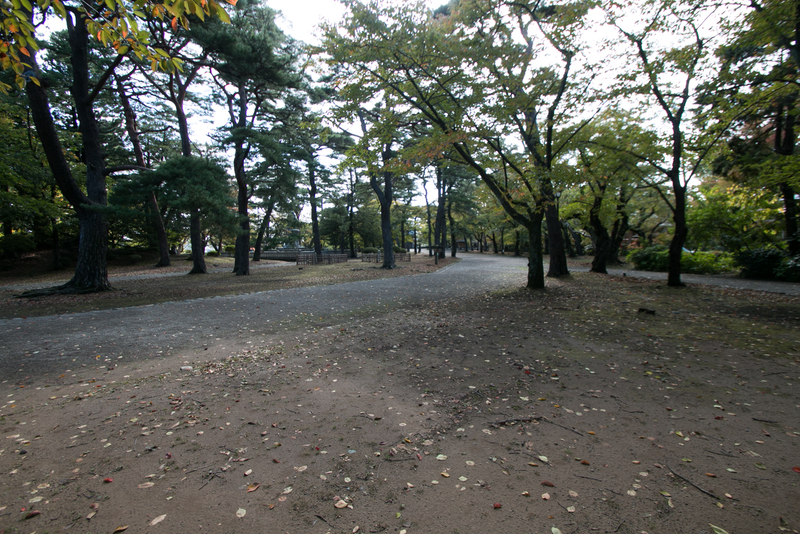 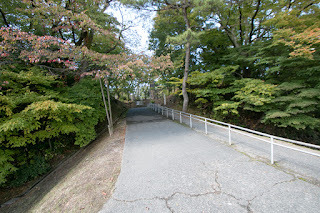 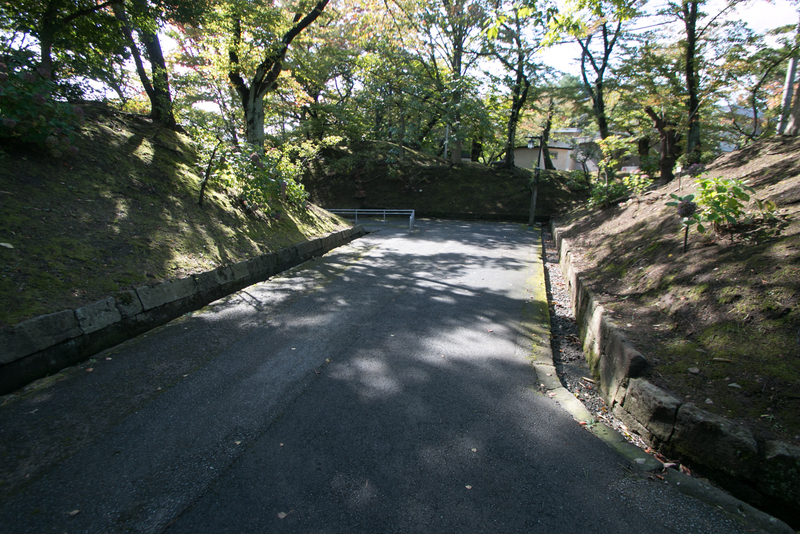 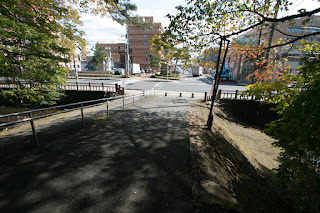 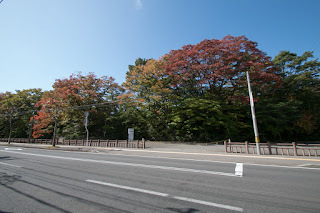 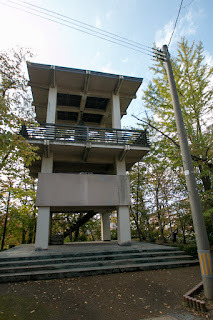 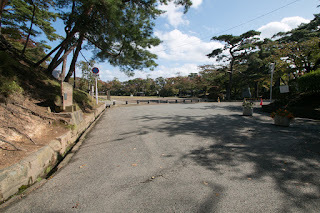 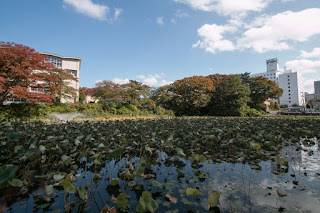 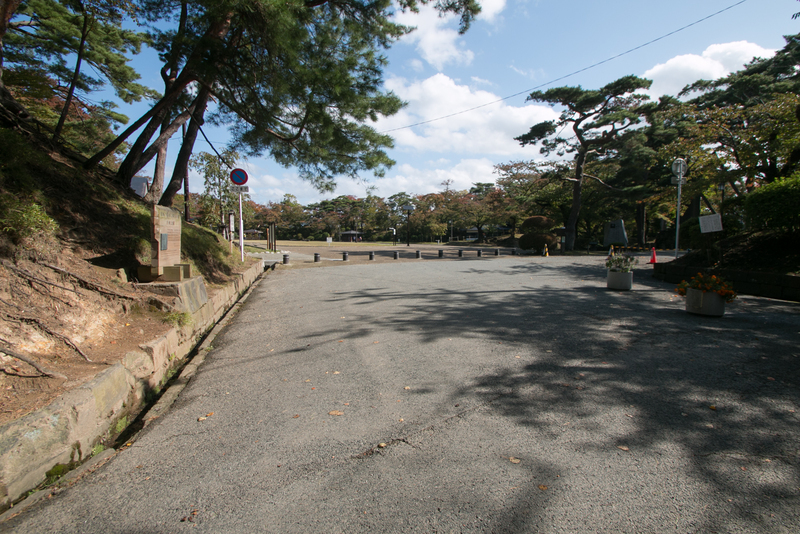 Subsequent to Meiji revolution, all buildings except for one barrack for guard soldiers were lost, and outer area are used as administrative or school area. 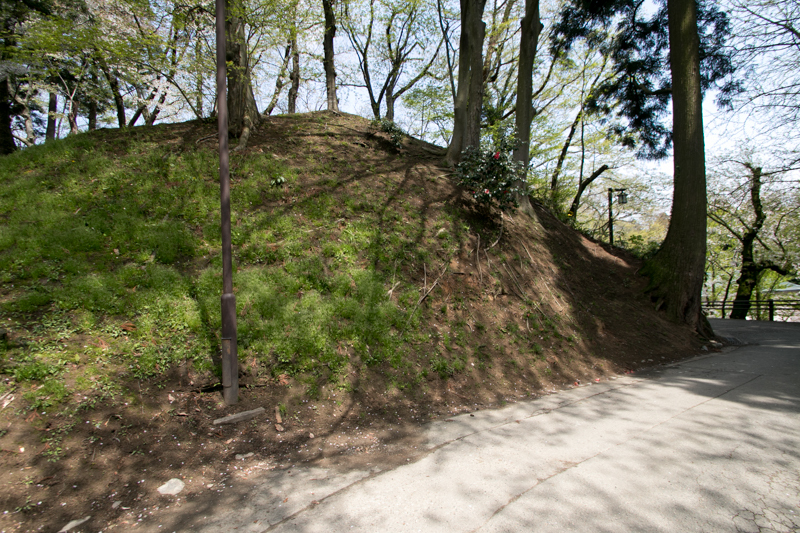 But terrains and clay walls of central area well remain, and imitations of main gate and corner barrack were built in the central area. 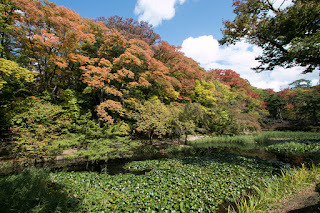 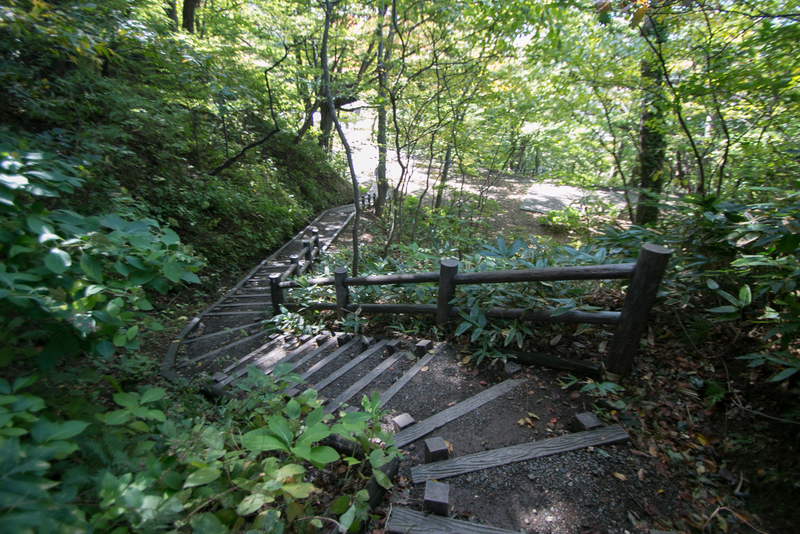 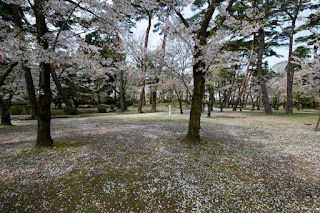 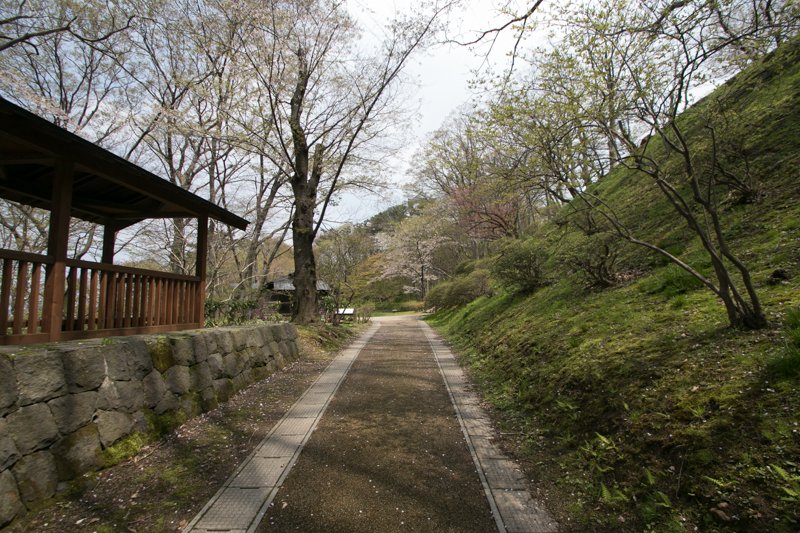 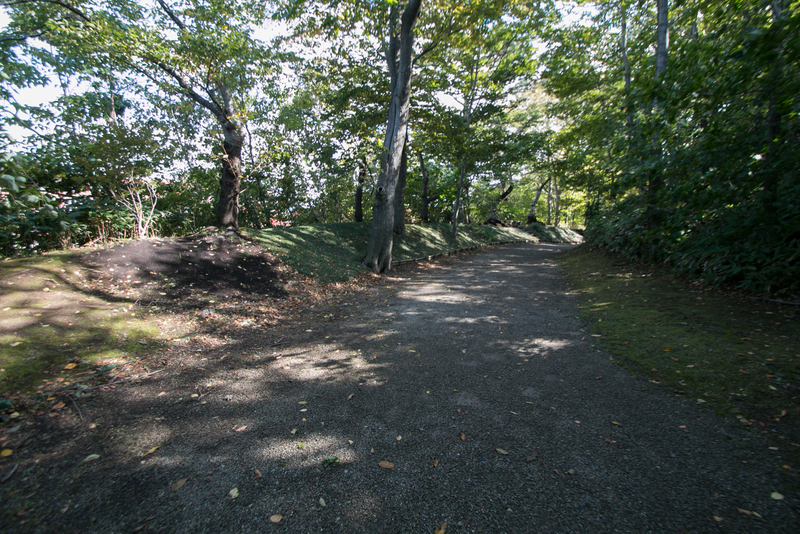 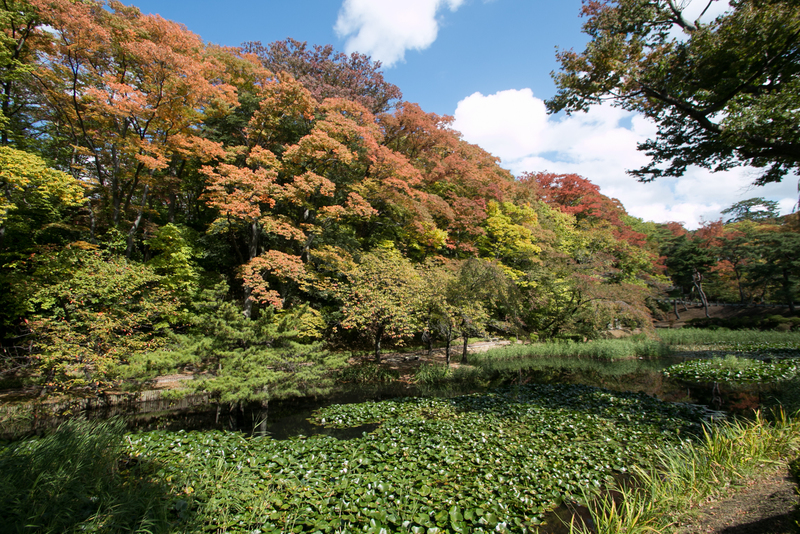 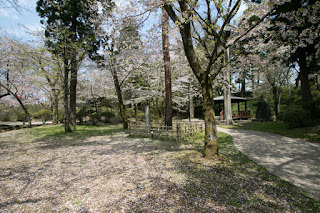 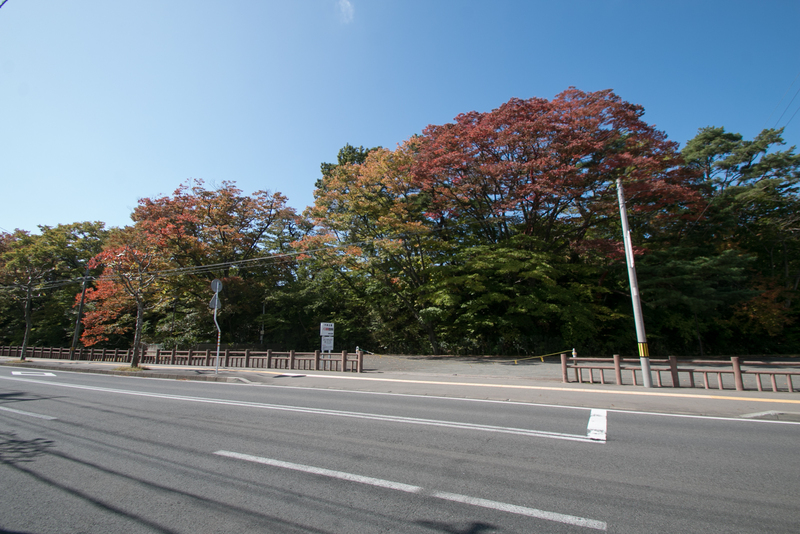 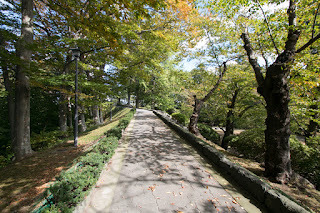 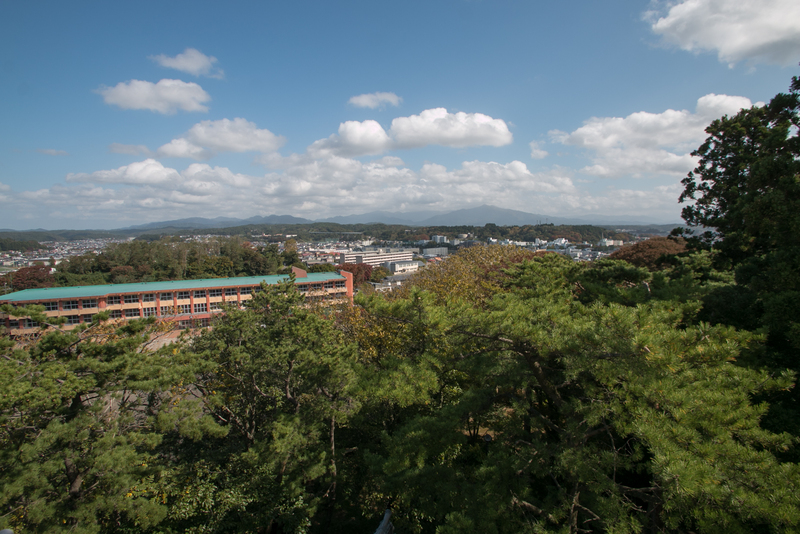 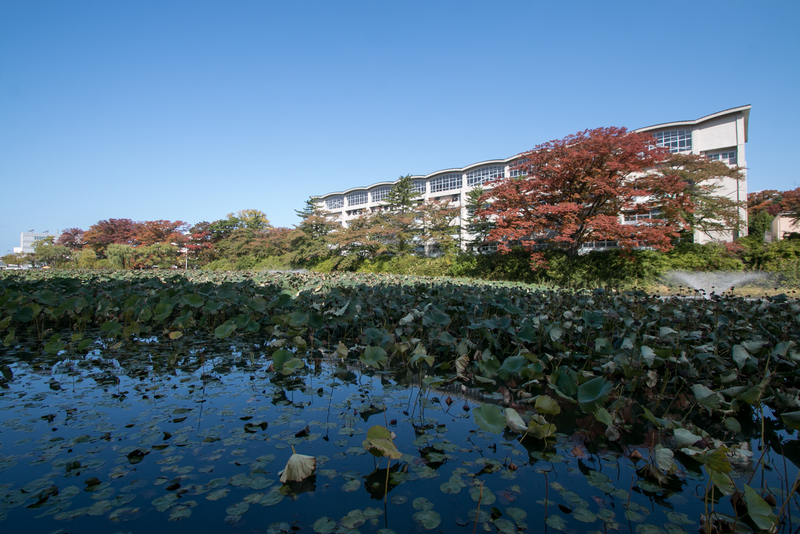 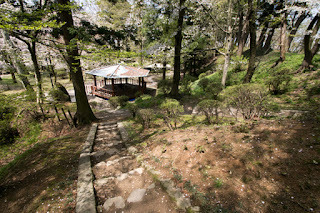 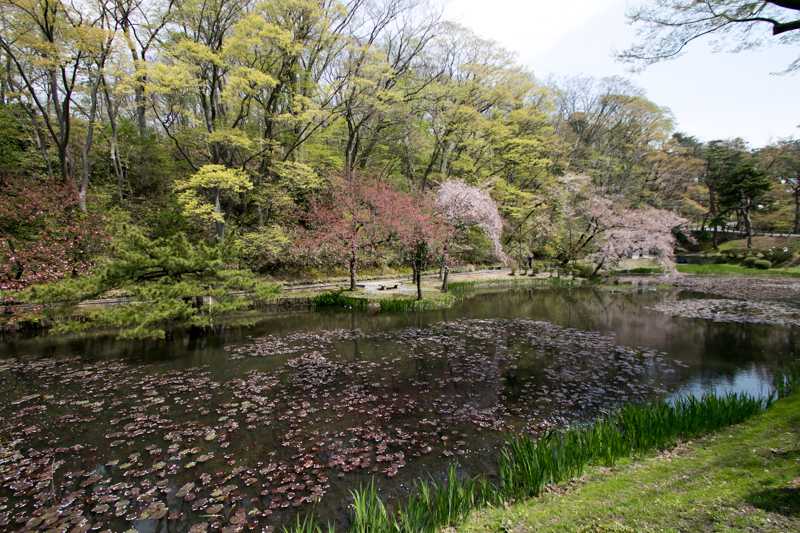 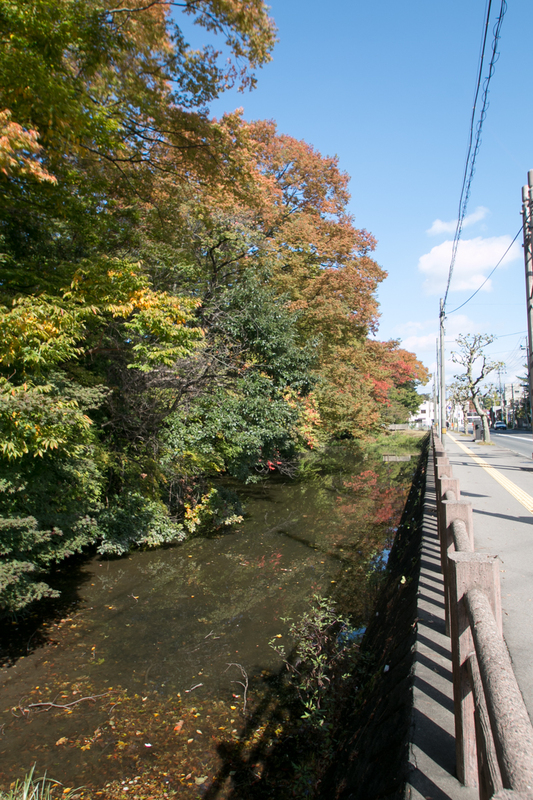 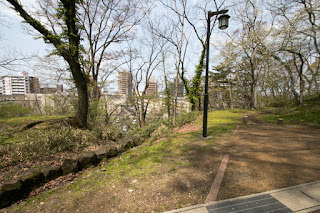 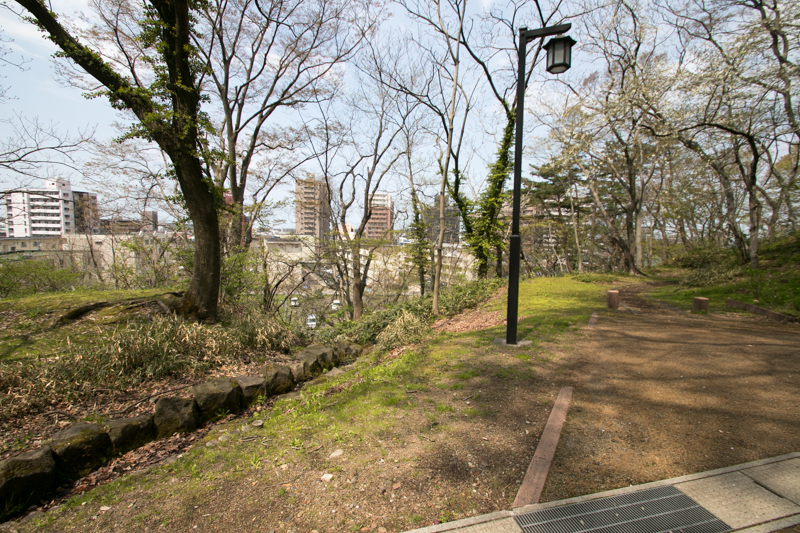 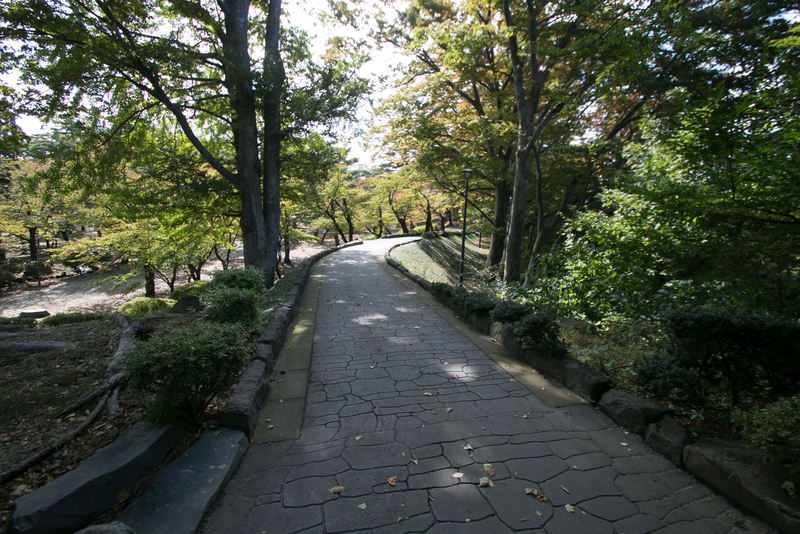 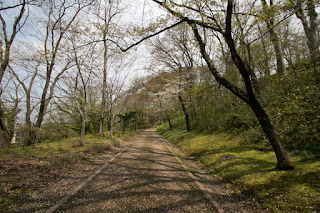 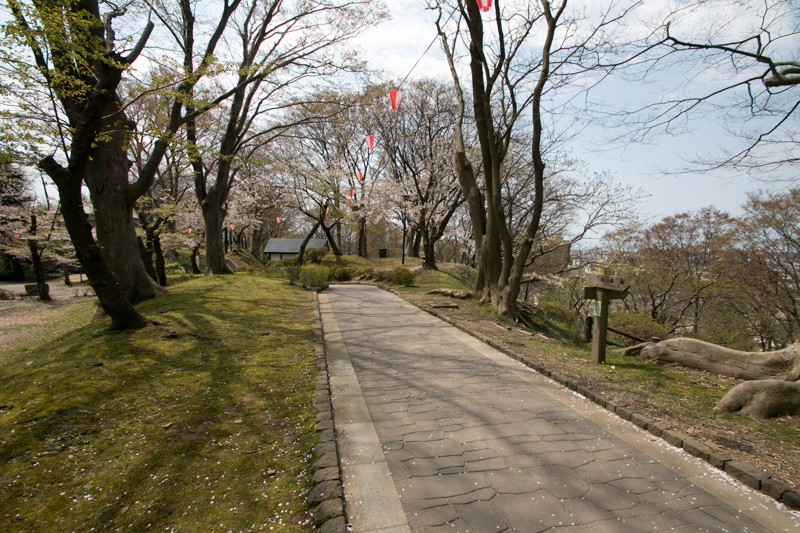 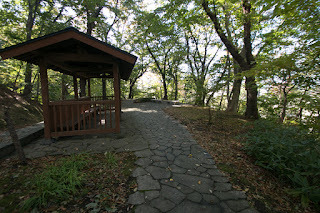 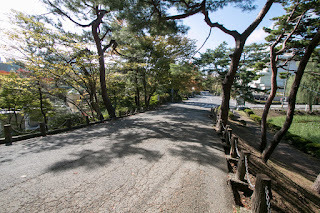 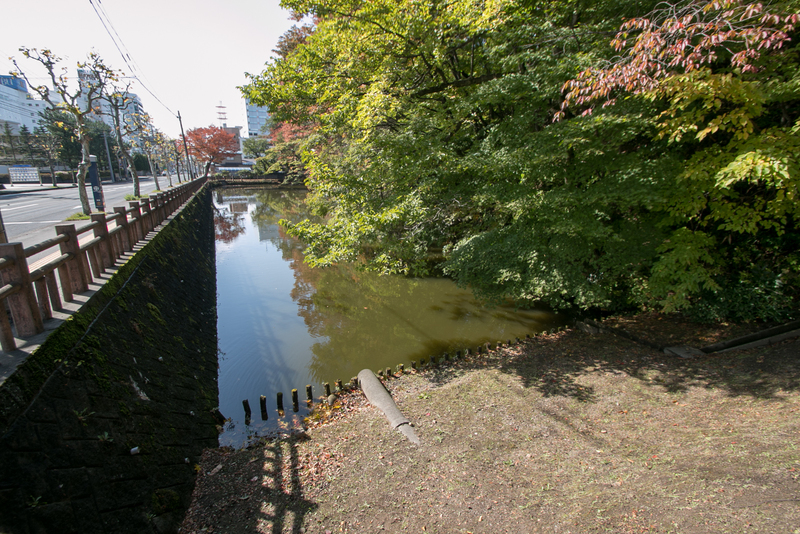 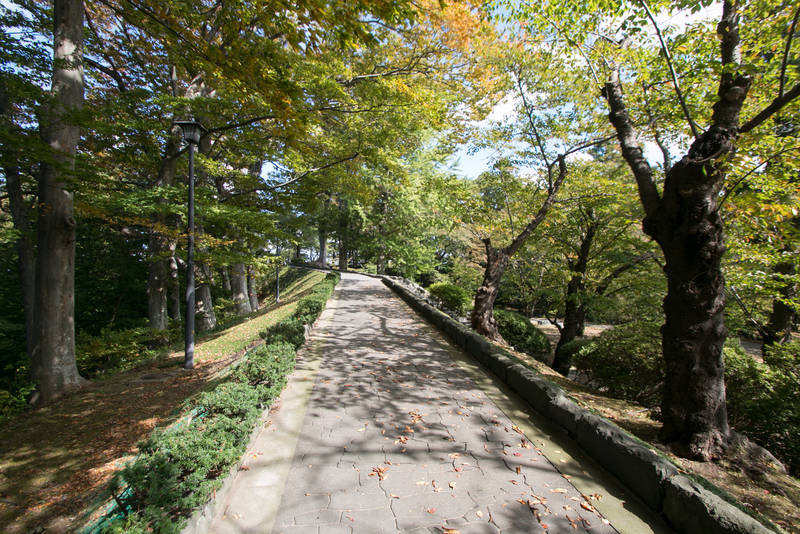 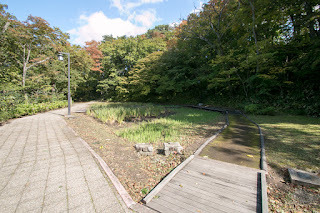 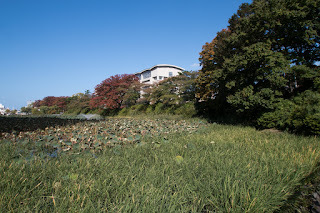 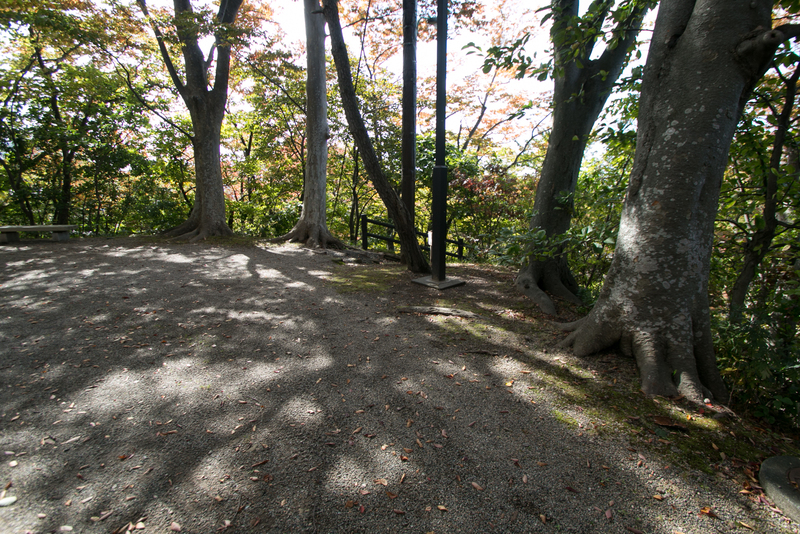 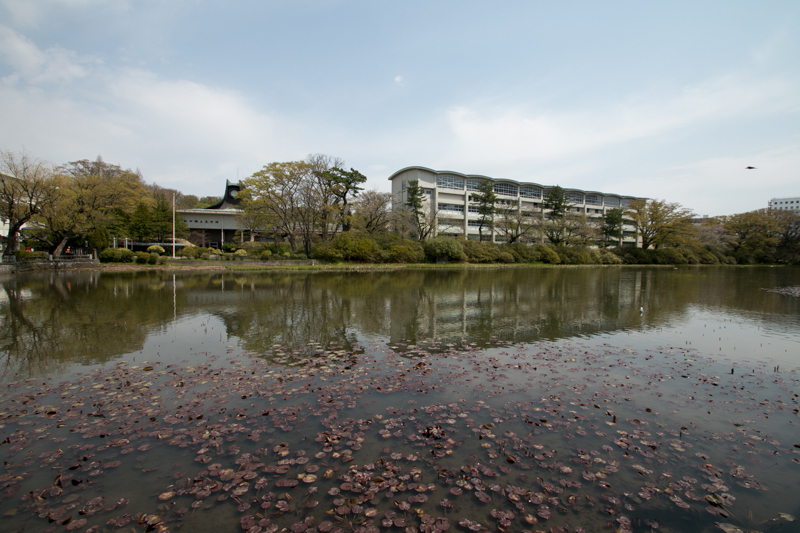 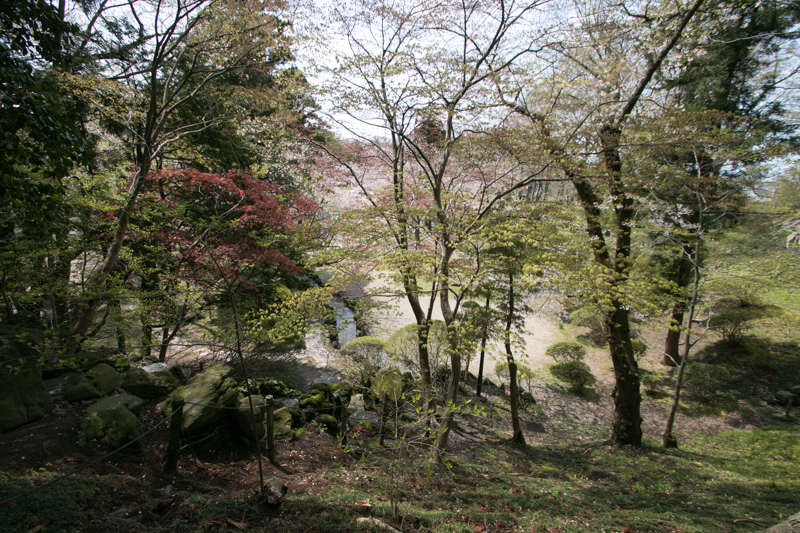 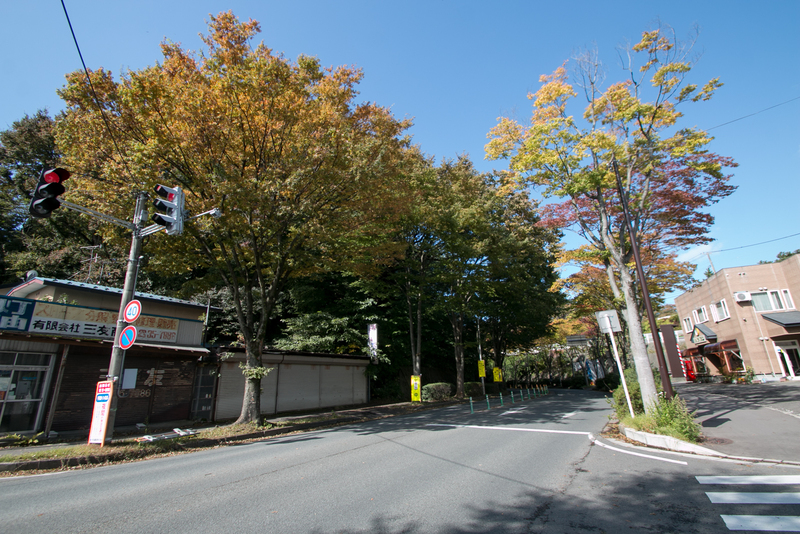 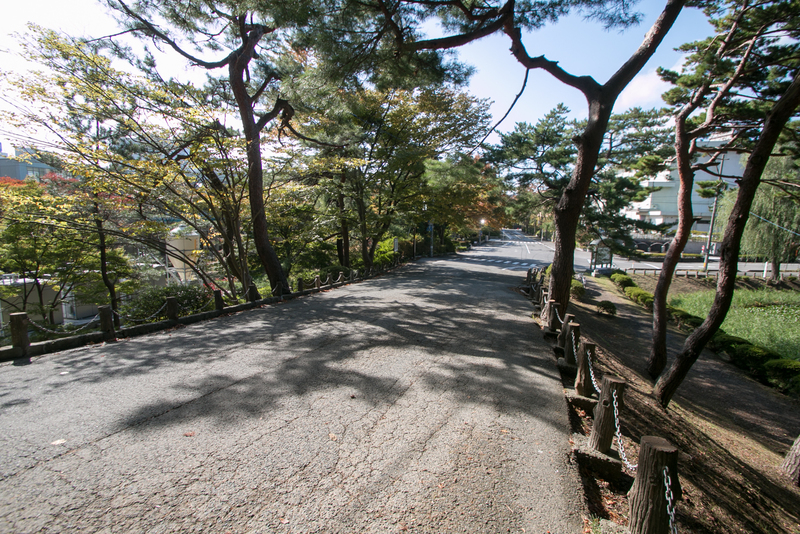 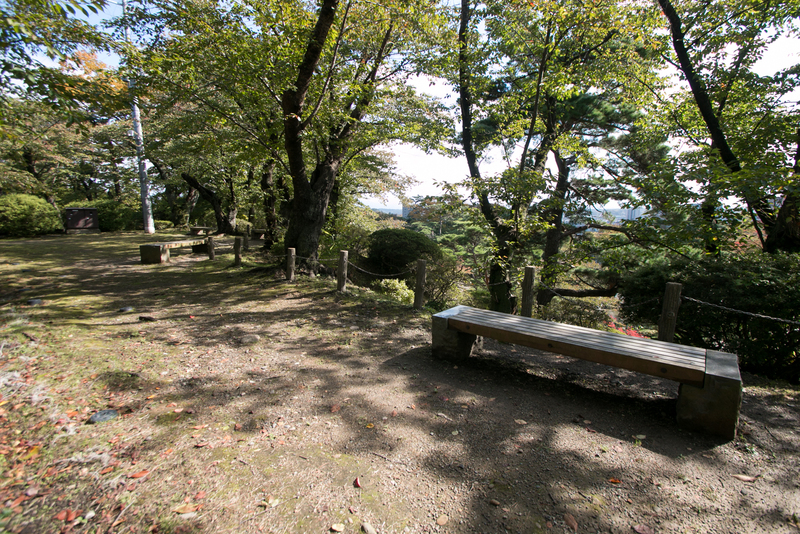 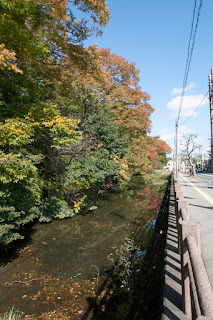 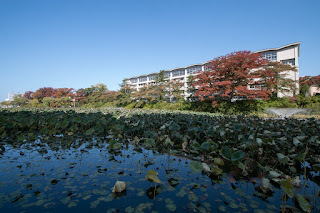 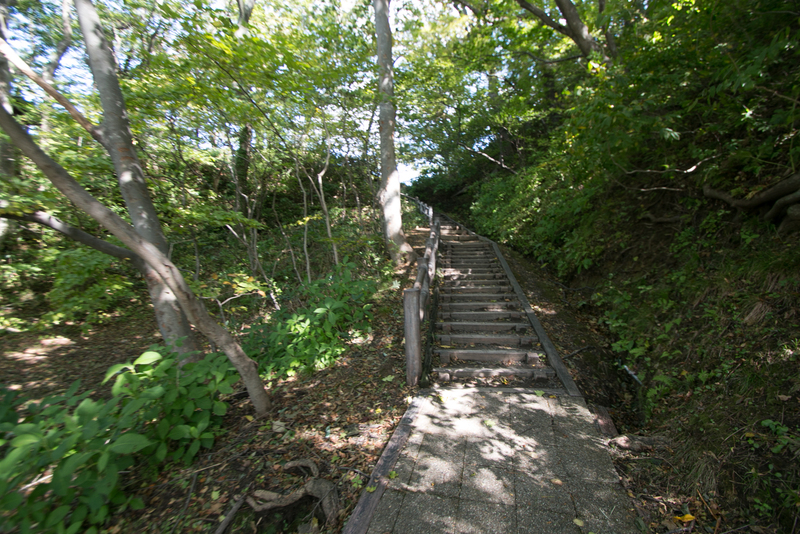 10 minutes walk from JR East Akita Shinkansen / Uetsu Honsen line Akita station. 15 minutes drive from Akita Jidoshado Expressway Akita-Chuo interchange.